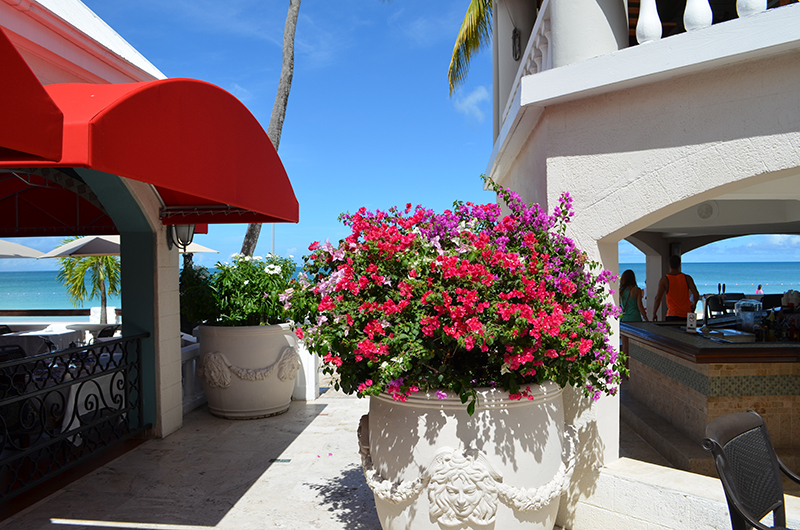 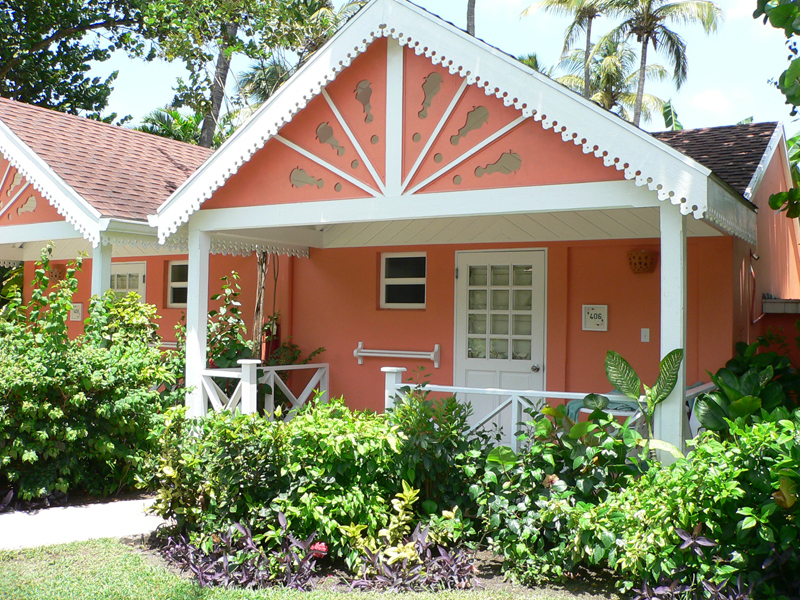 The sensation of a quaint Caribbean Grove with lush, tropical gardens highlighted by brilliant bougainvillea combined with luxurious suites incorporating Mediterranean inspired elements both nestled against a powdery white- sand beach. 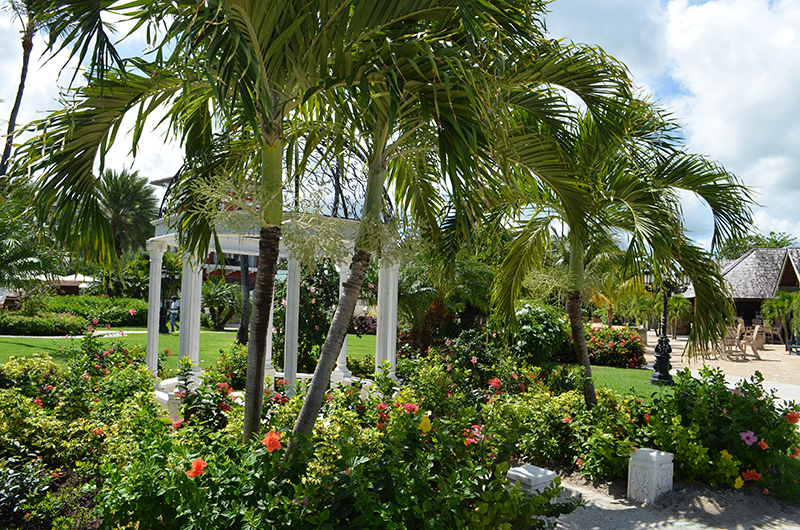 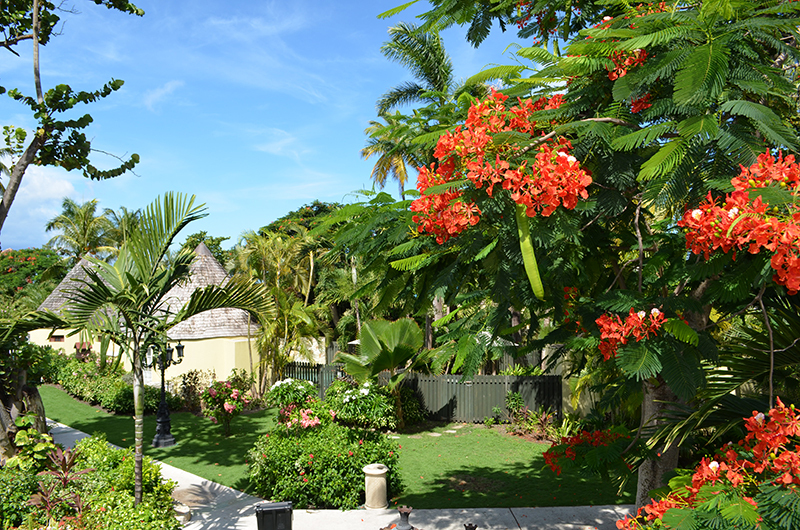 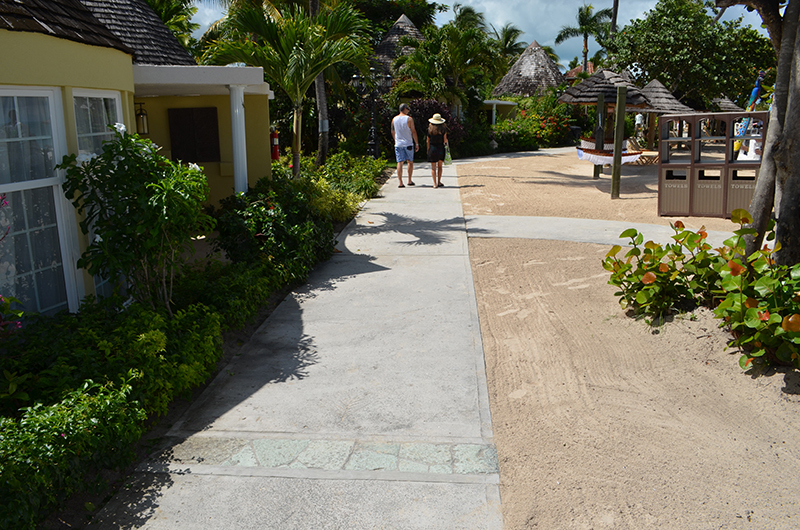 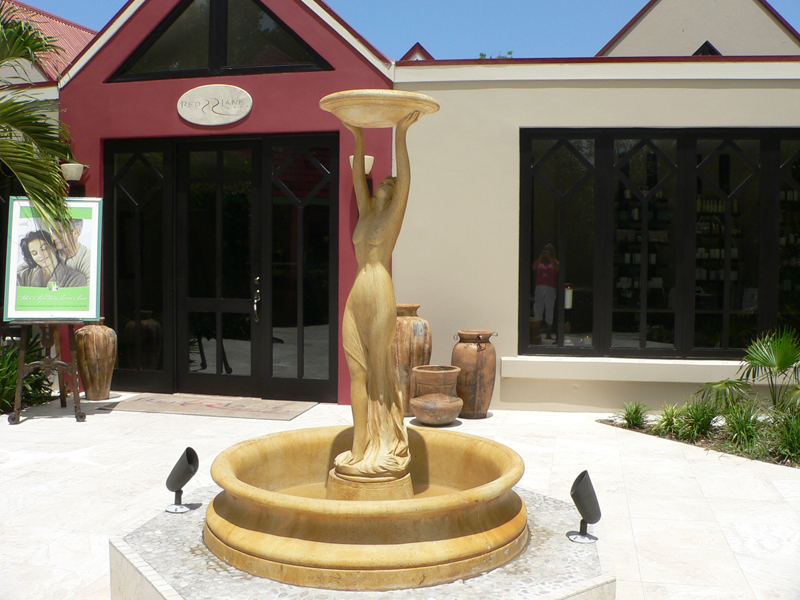 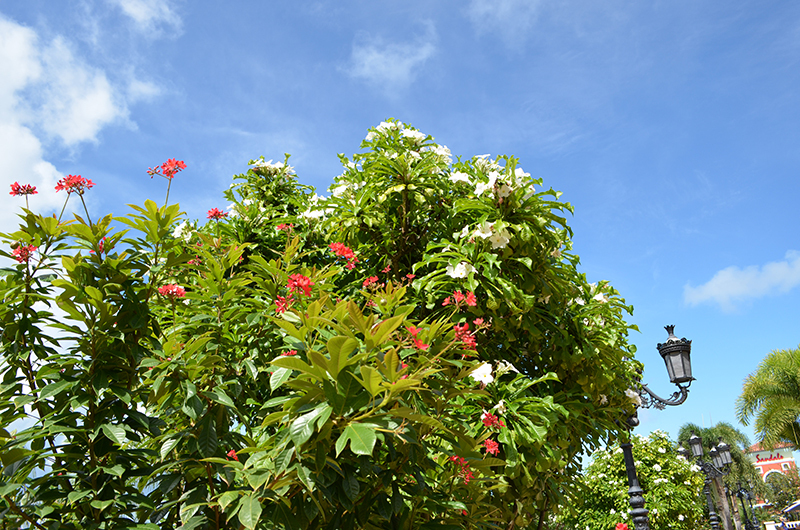 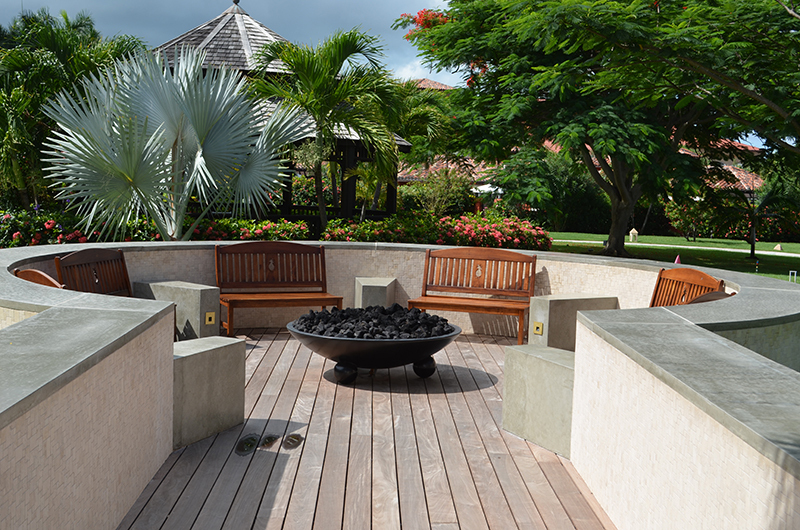 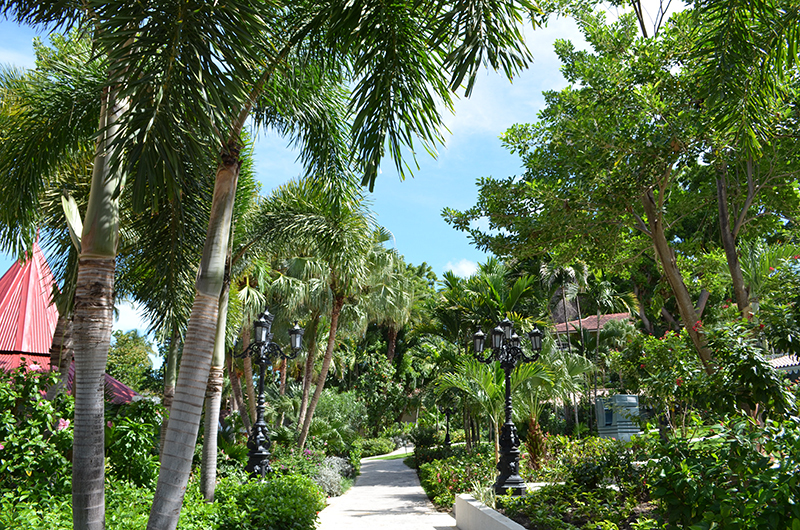 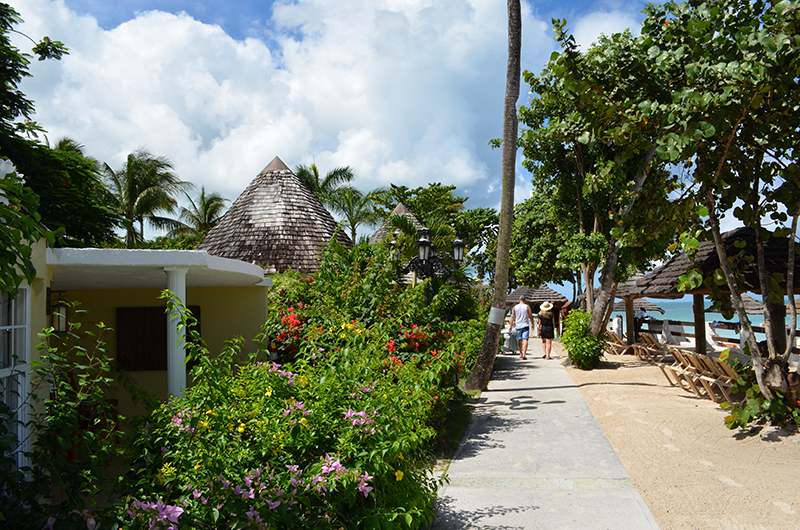 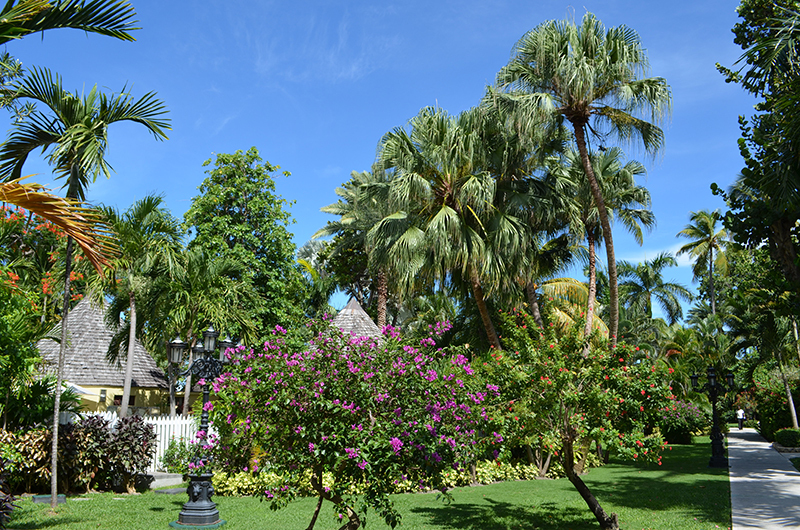 Newly designed gardens and landscaping of the Mediterranean Village to the newly refurbished Red Lane Spa add to the feeling of luxury and romance that permeates Sandals Grande Antigua Resort & Spa. 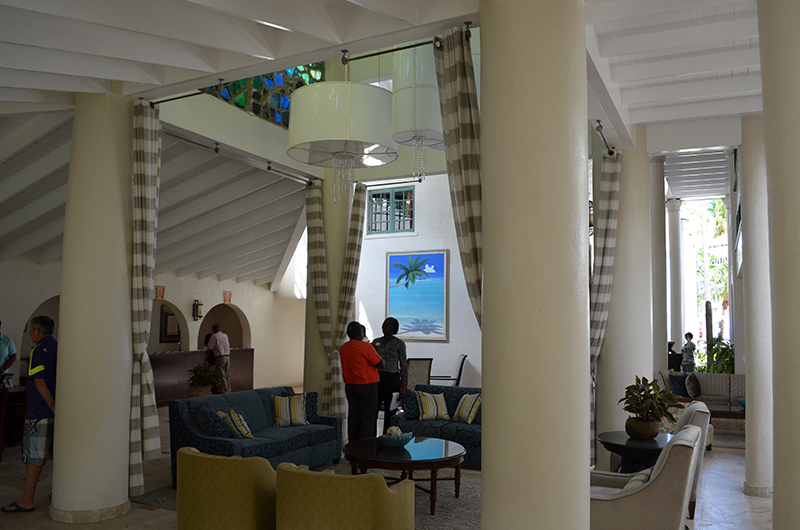 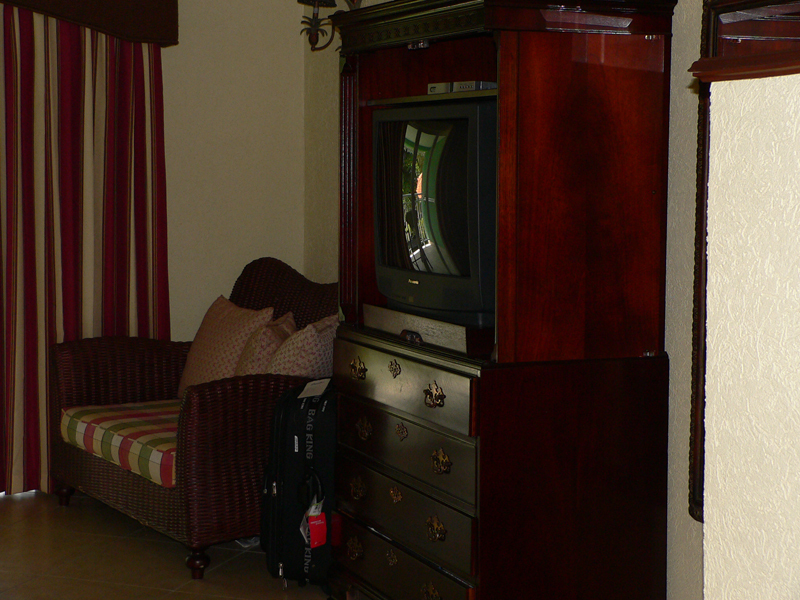 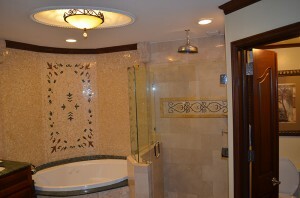 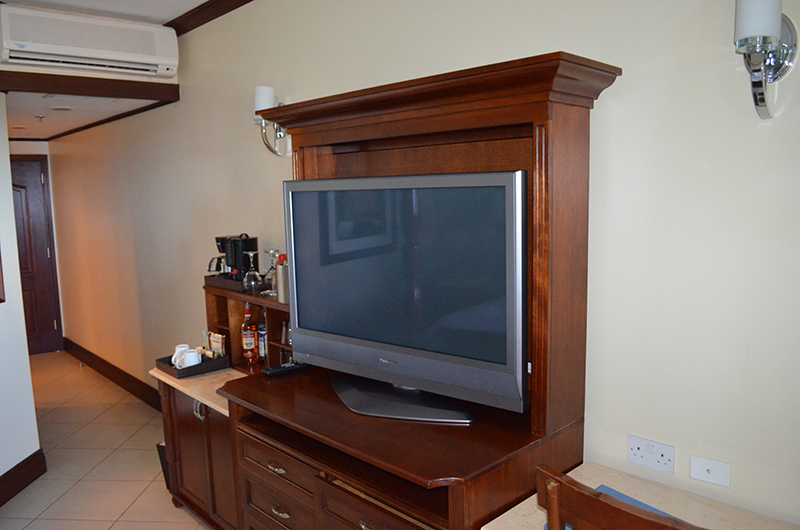 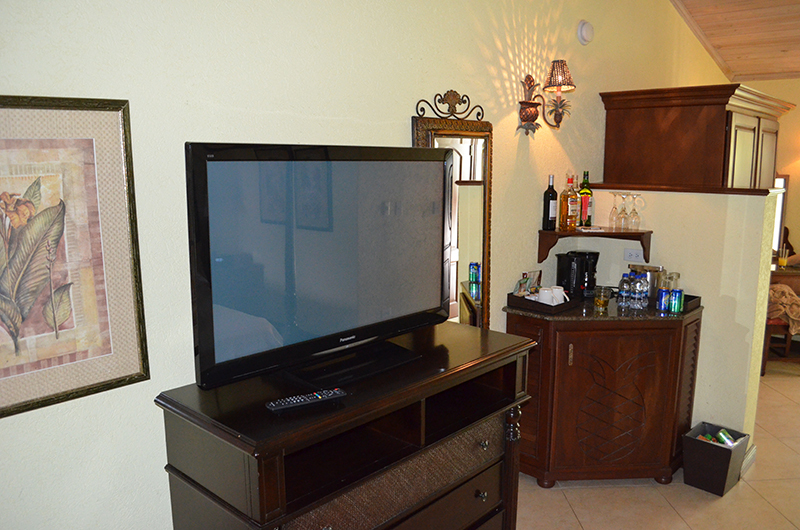 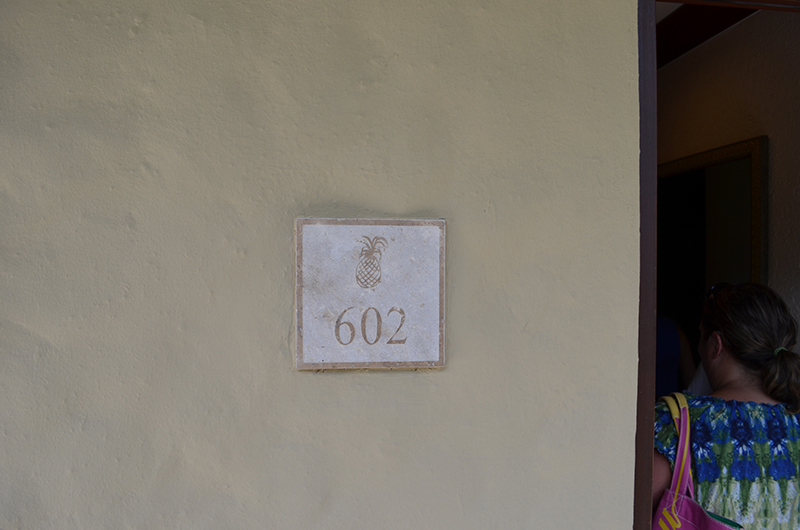 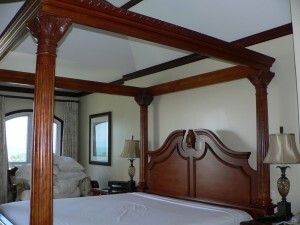 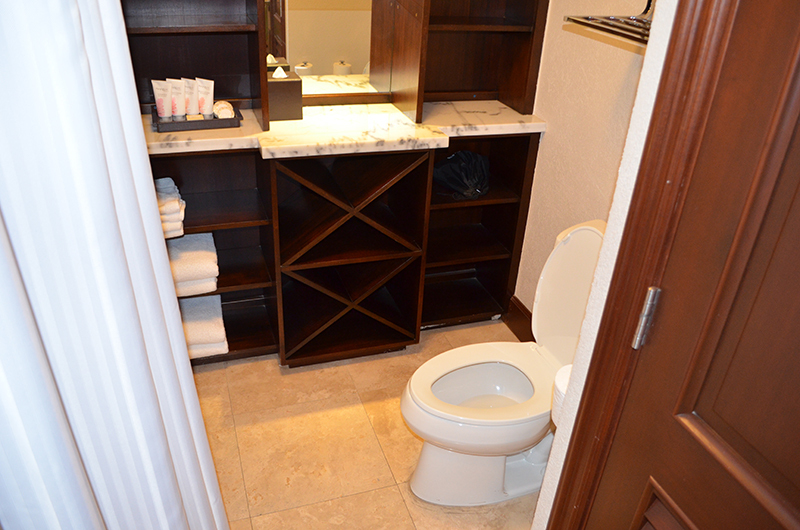 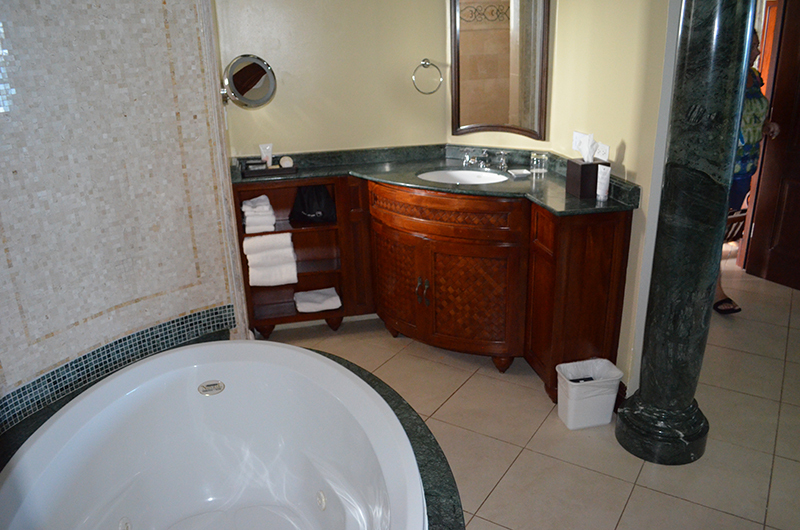 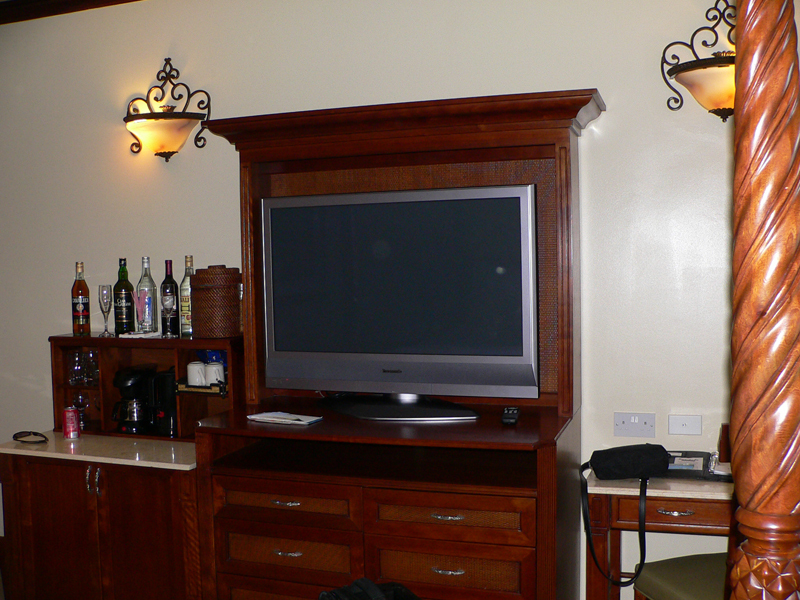 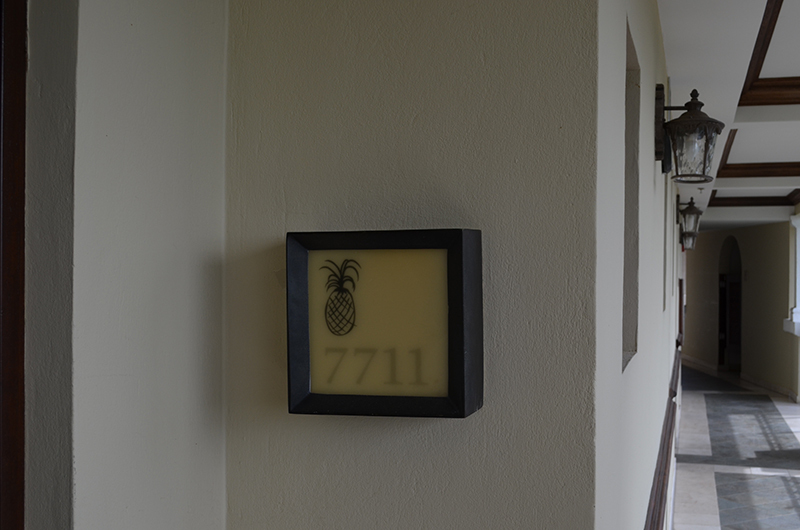 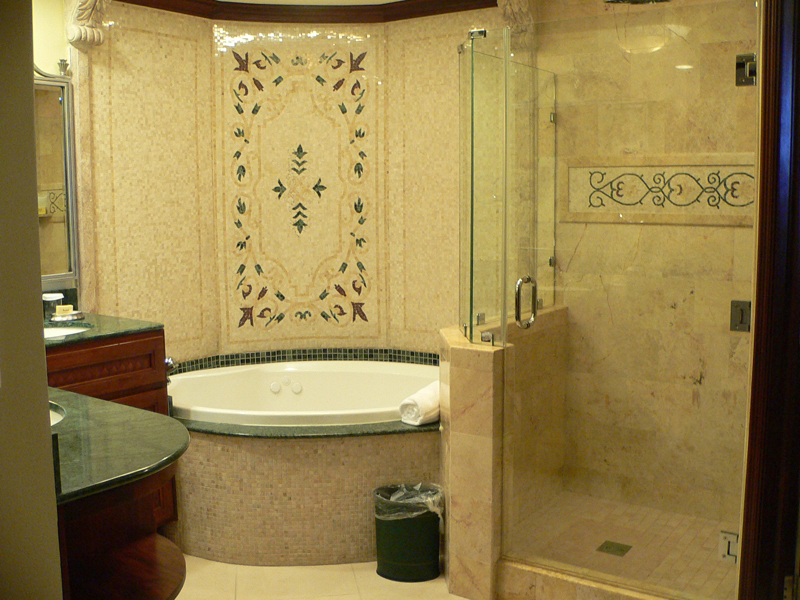 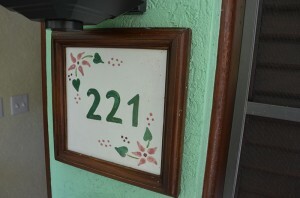 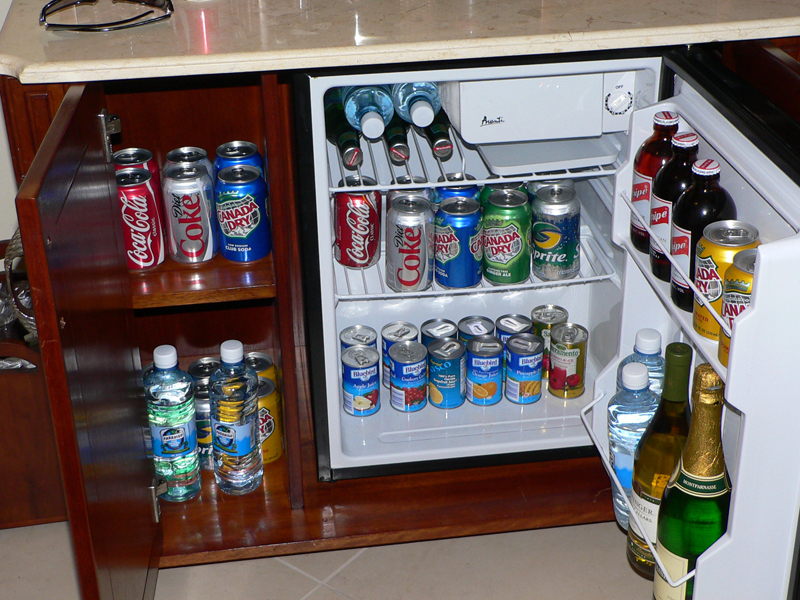 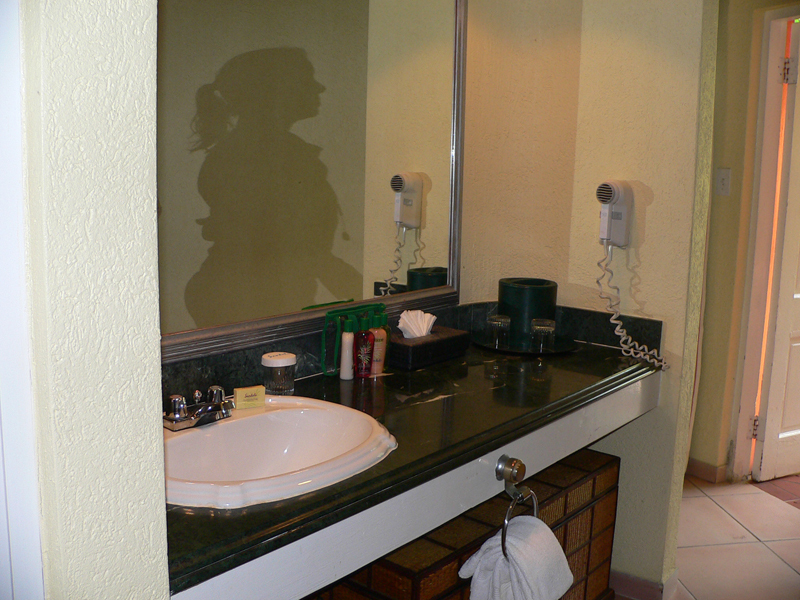 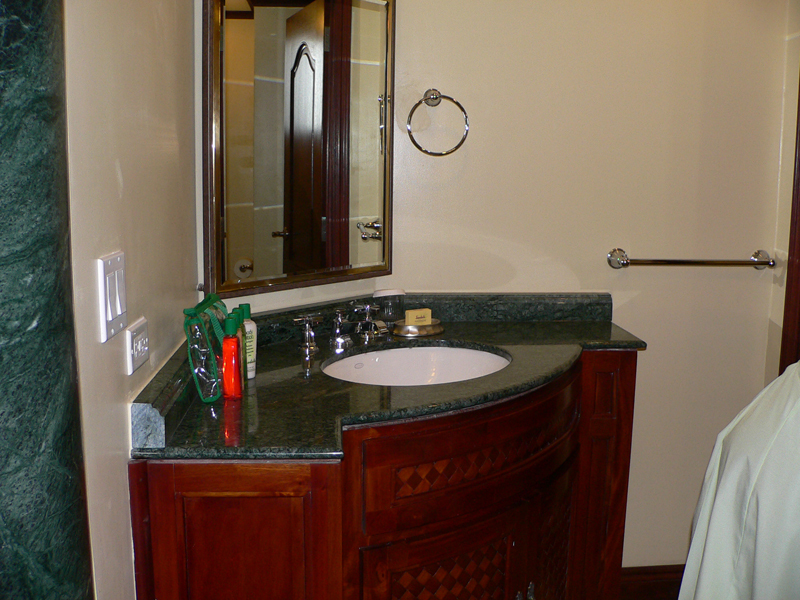 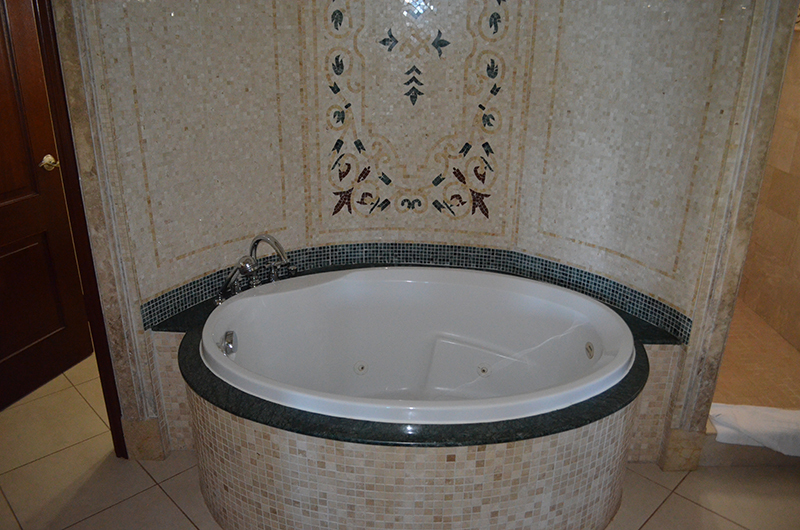 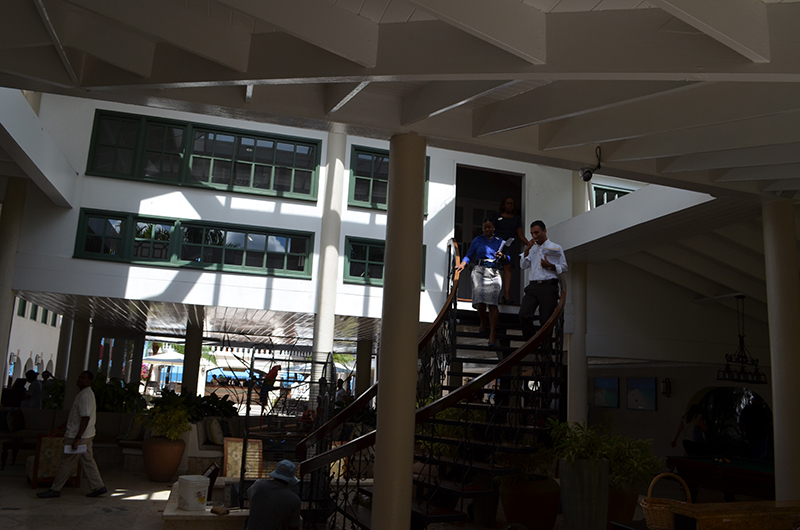 There are 373 Rooms and suites in 25 categories. 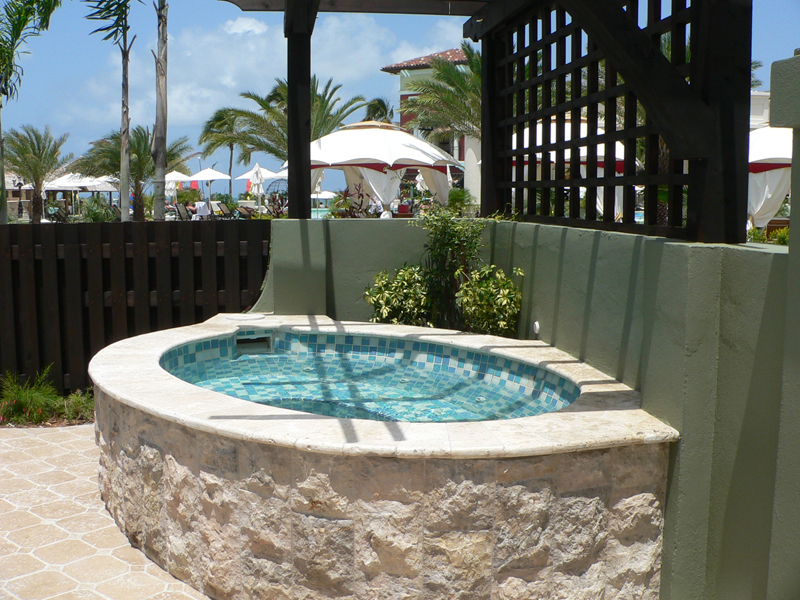 Accommodations range from one story buildings with patios to Honeymoon Garden Rondovals with Private Plunge pool to exotic Mediterranean Honeymoon Penthouse One Bedroom Oceanview Suites and Luxury Ocean Villa One Bedroom Suites with Private Pool. 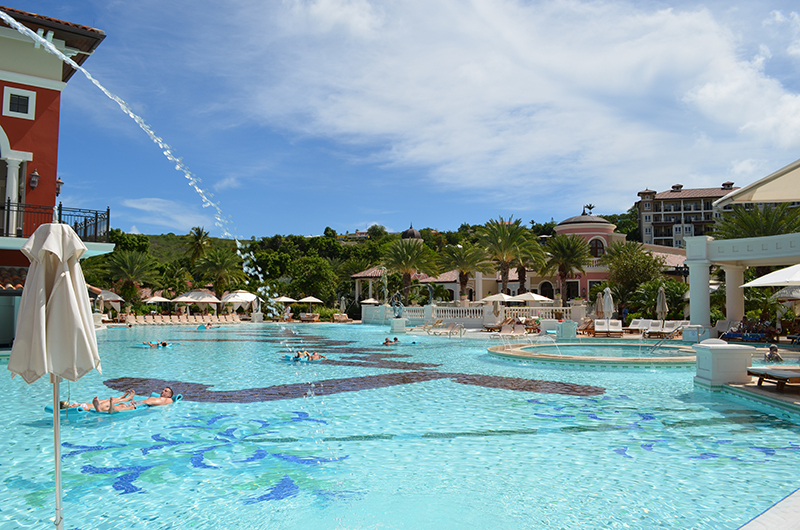 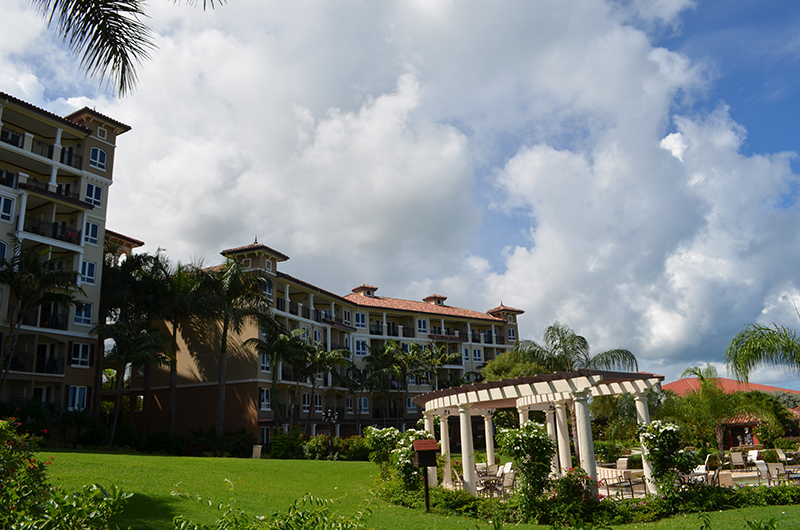 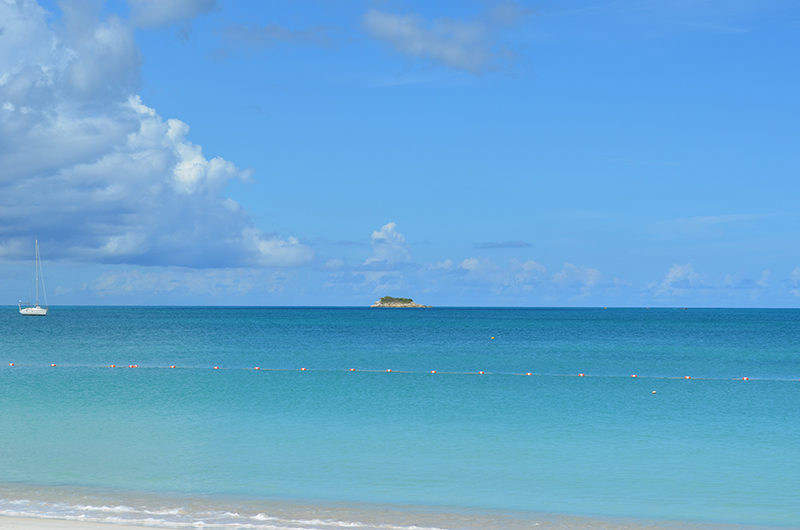 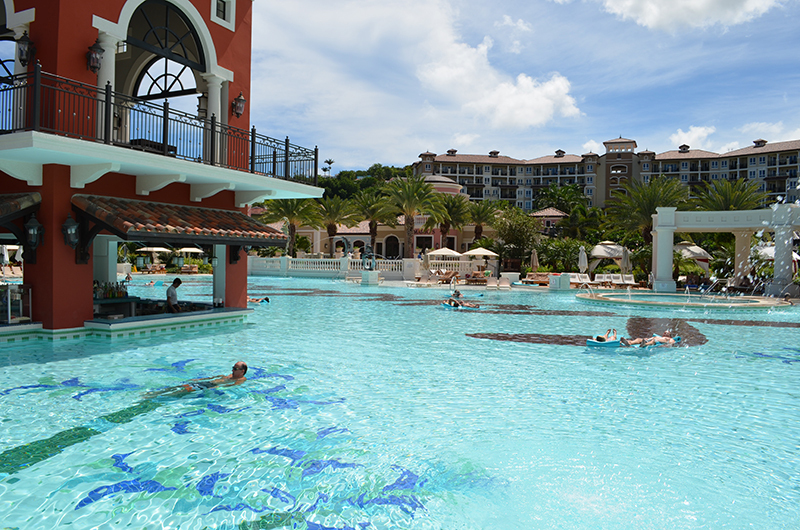 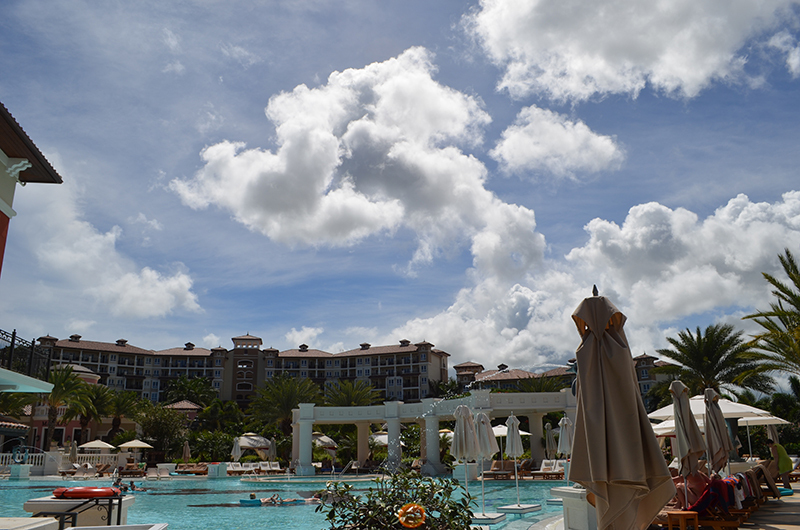 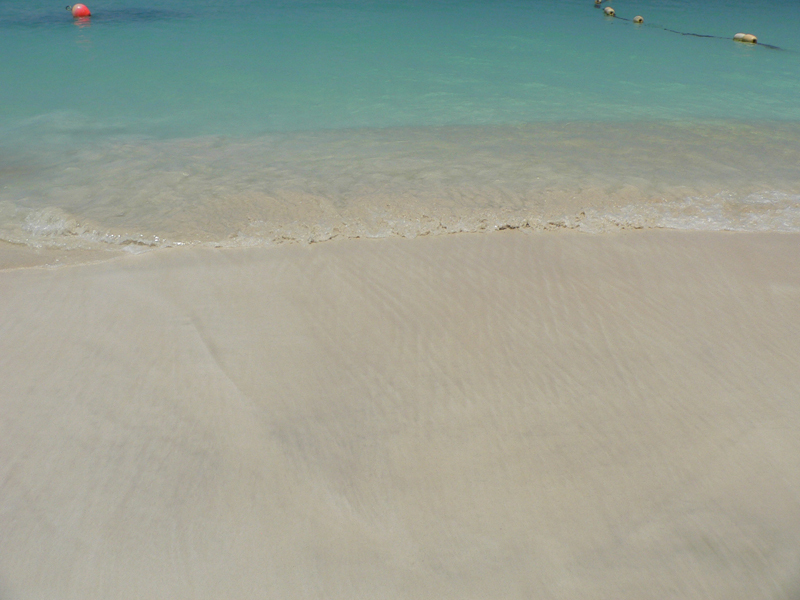 Sandals Grande Antigua is like two resorts in one. 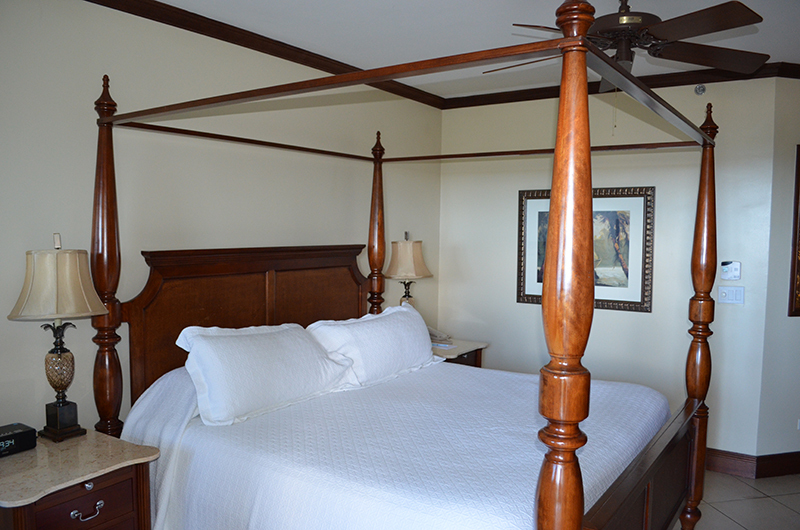 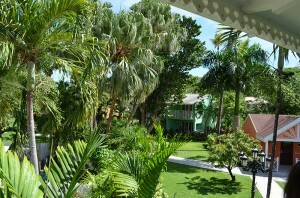 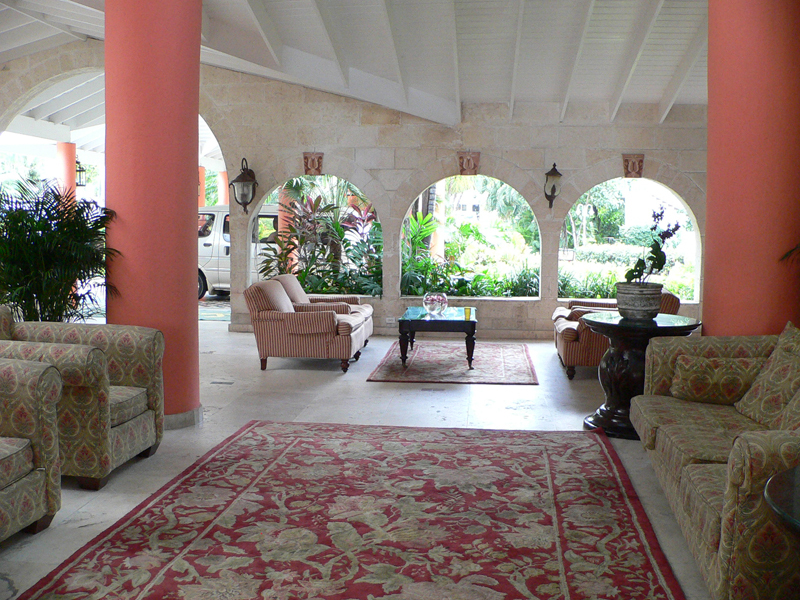 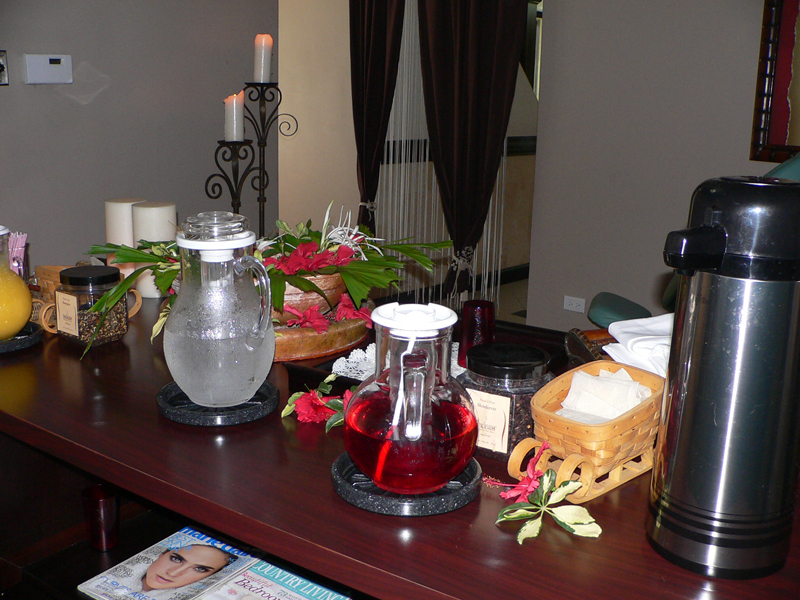 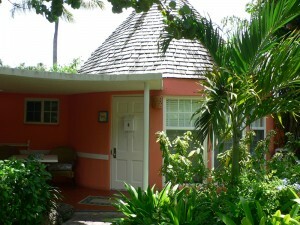 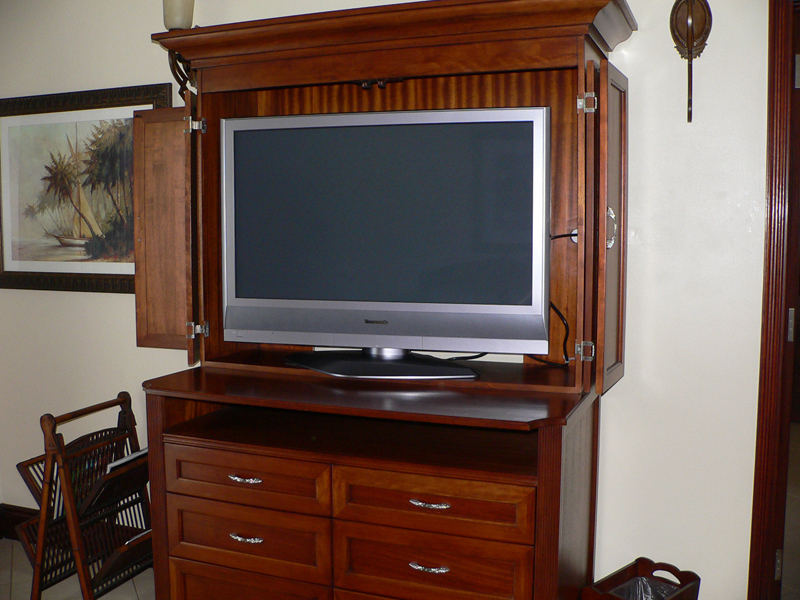 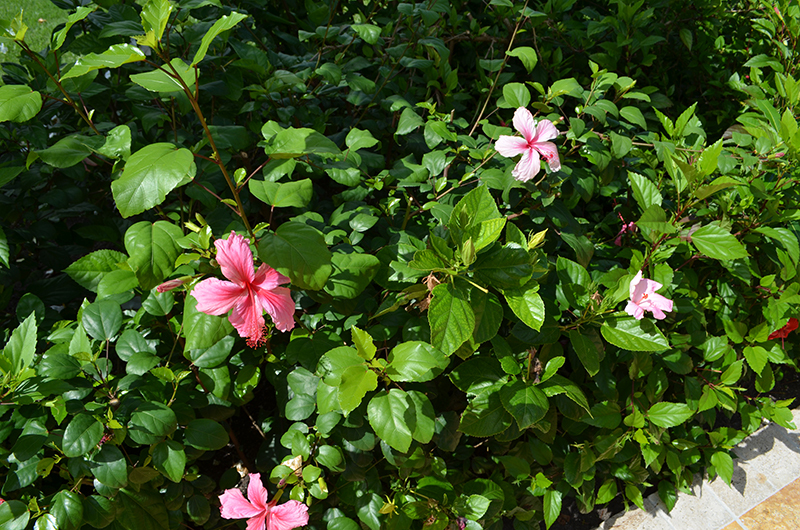 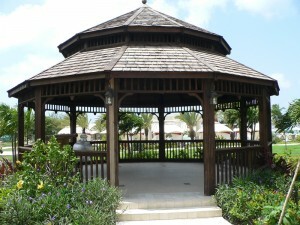 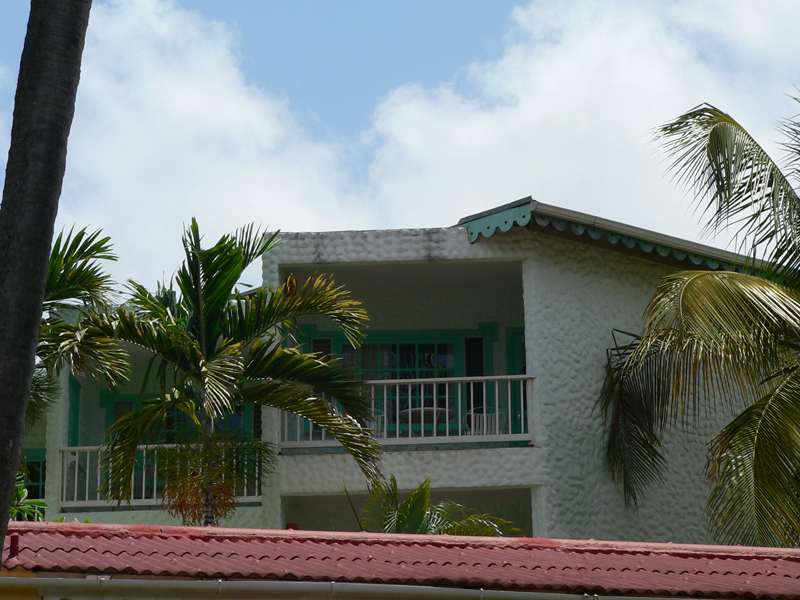 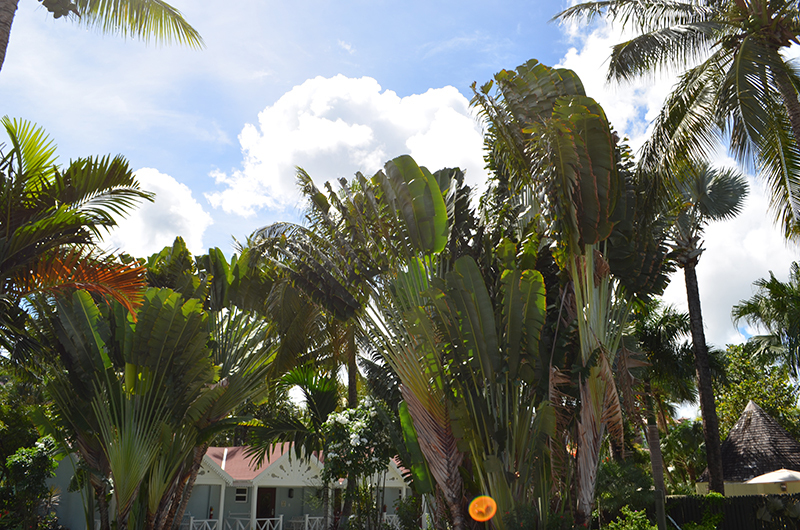 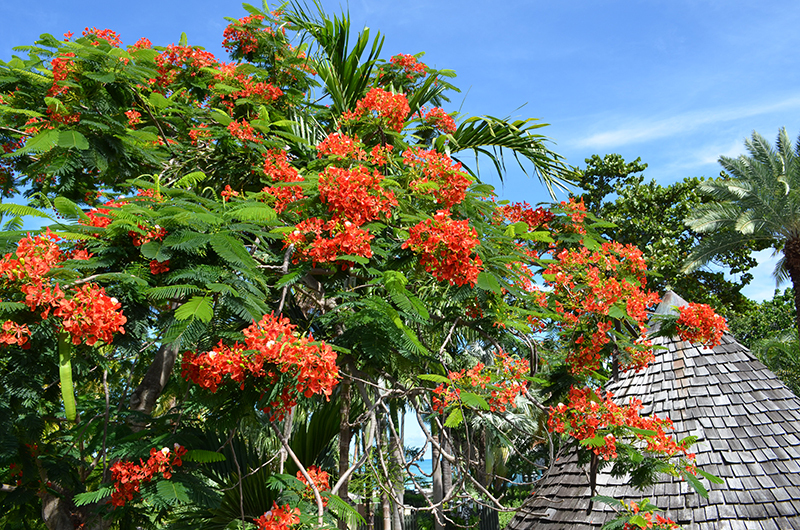 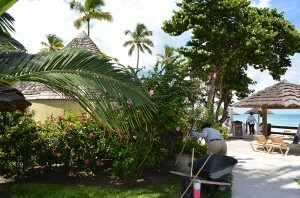 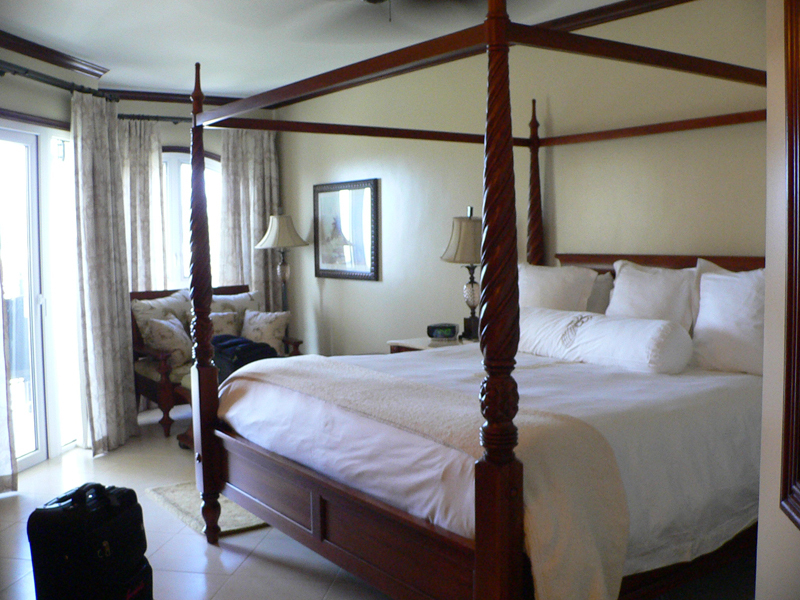 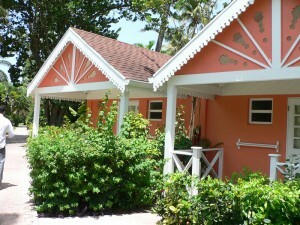 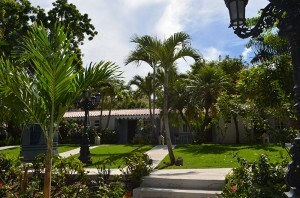 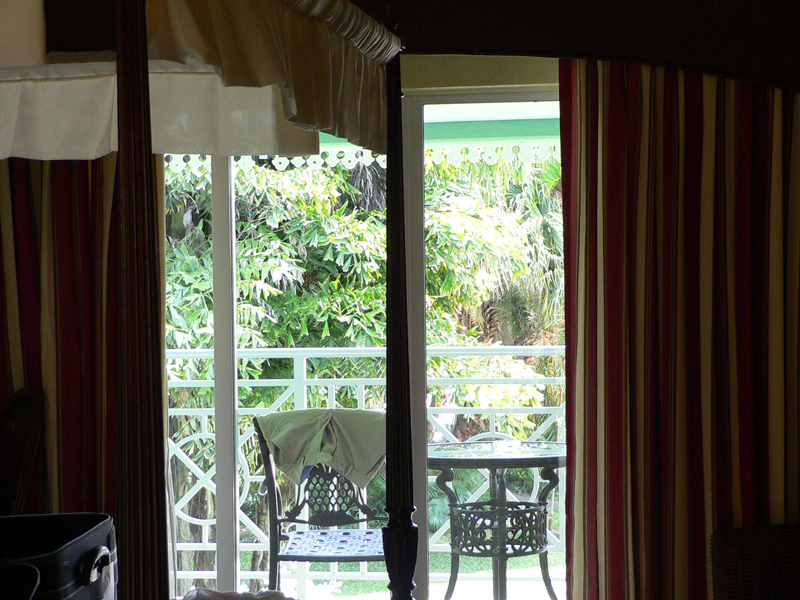 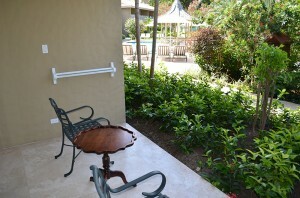 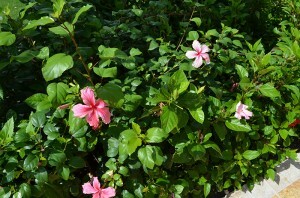 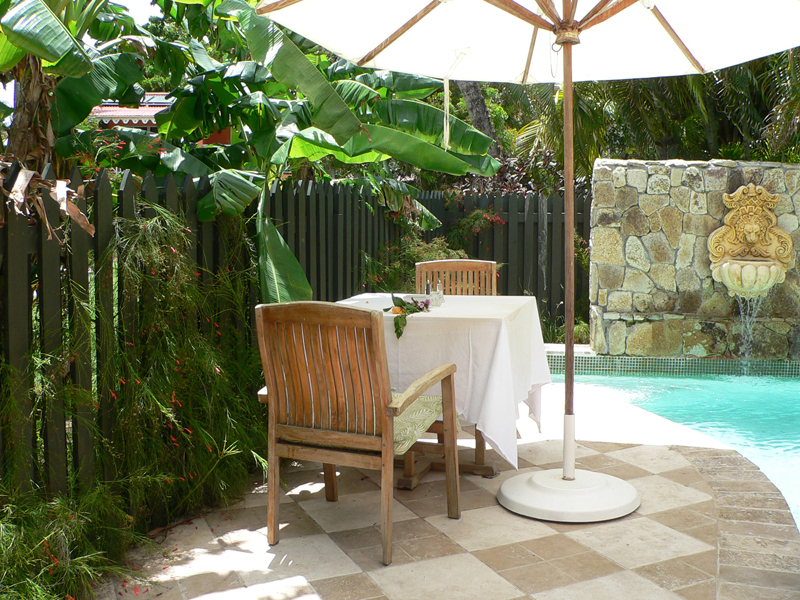 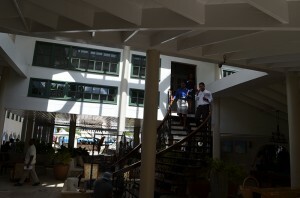 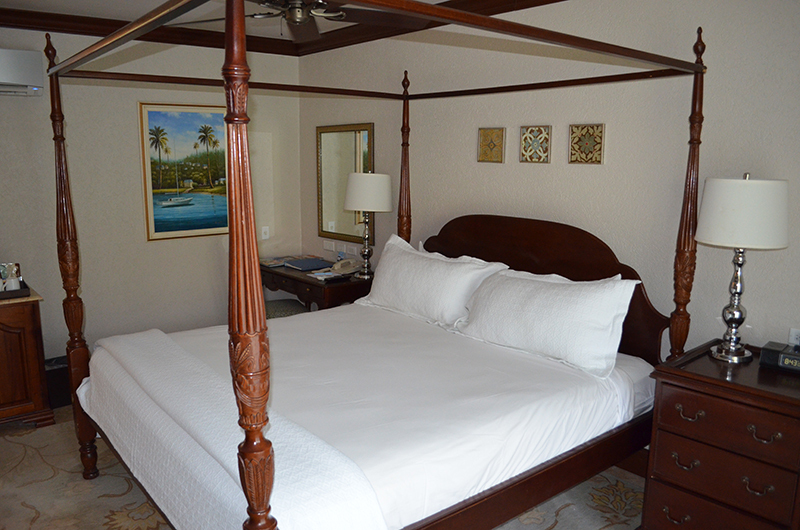 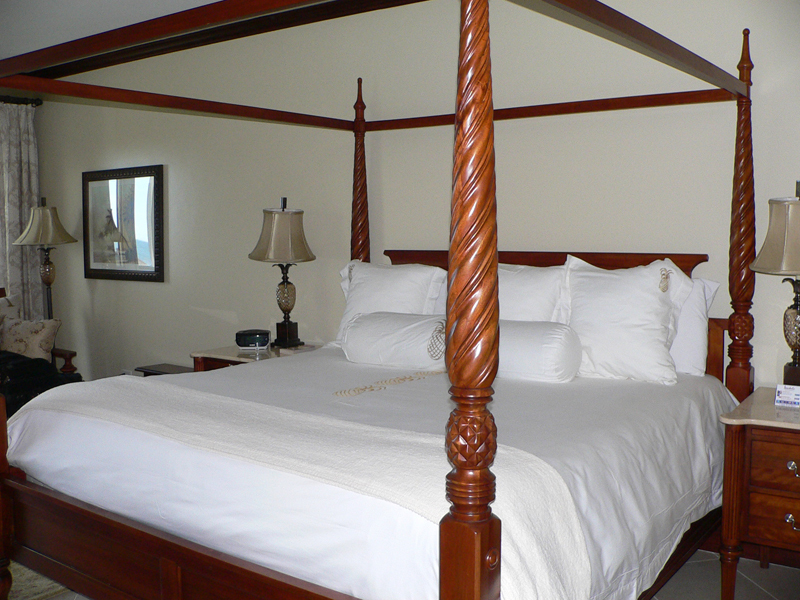 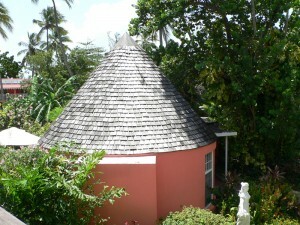 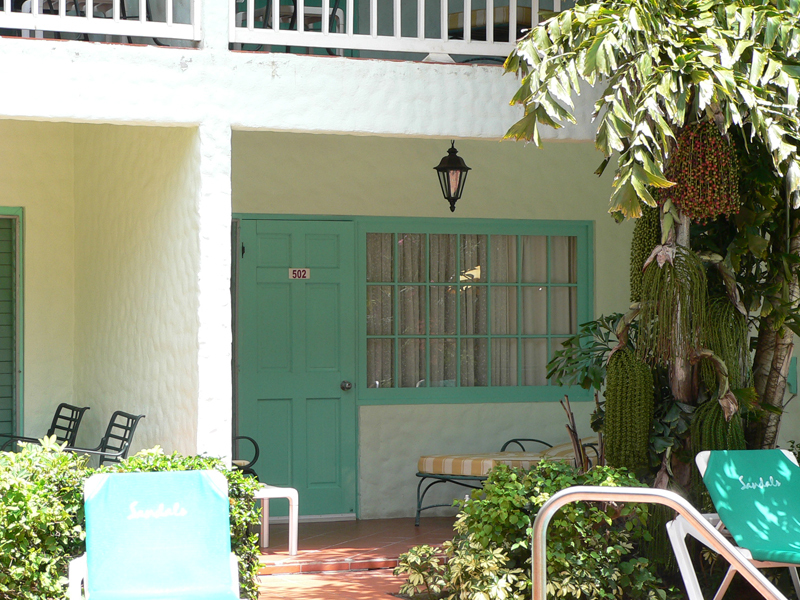 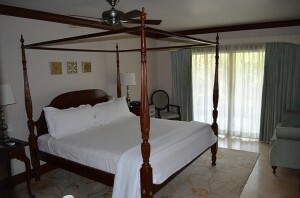 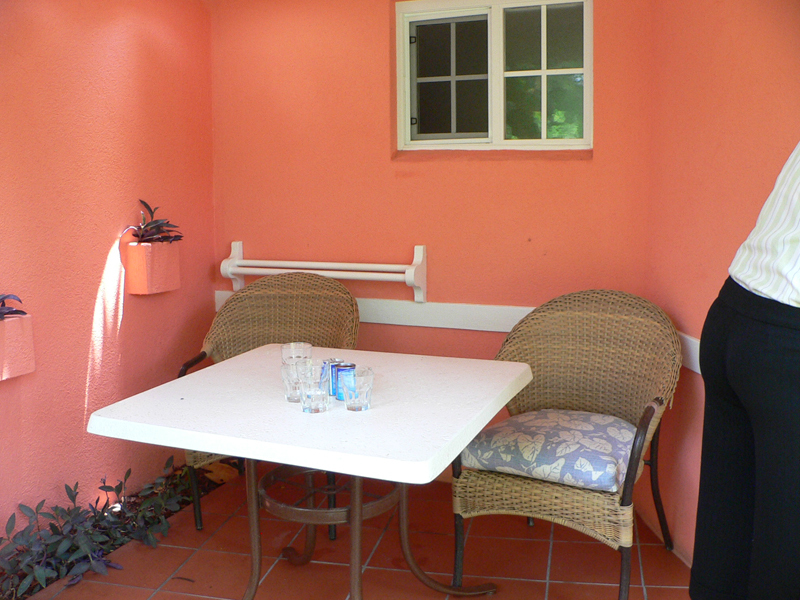 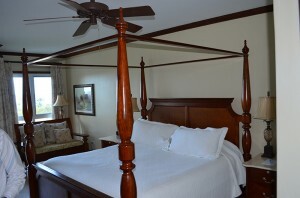 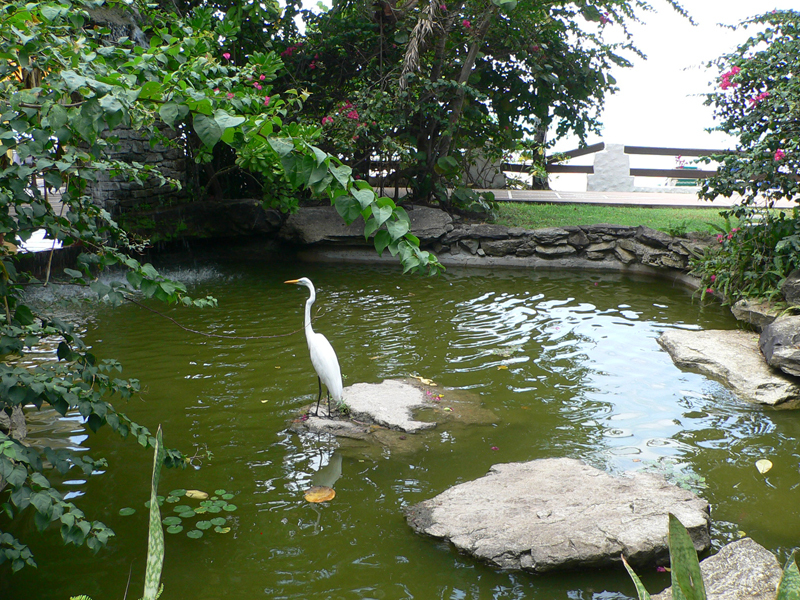 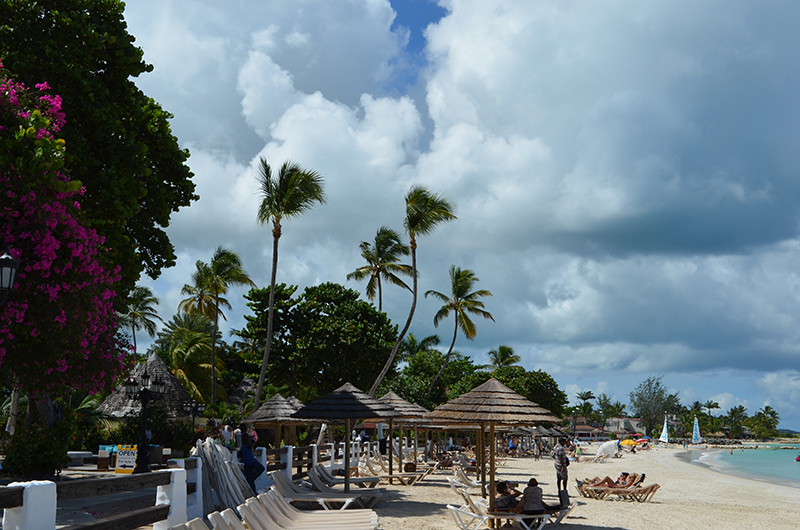 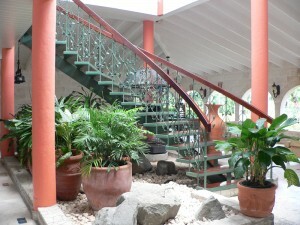 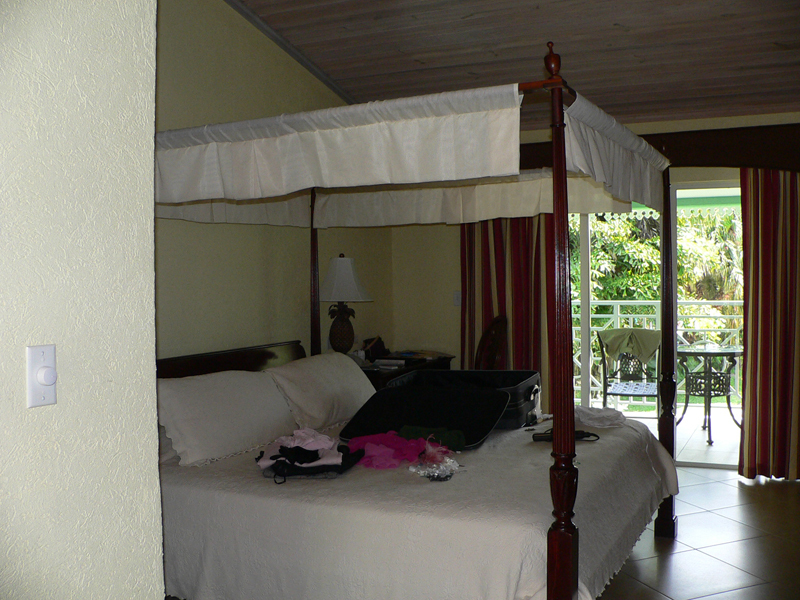 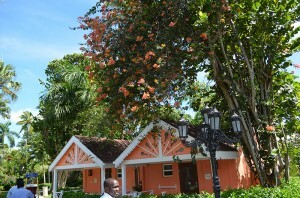 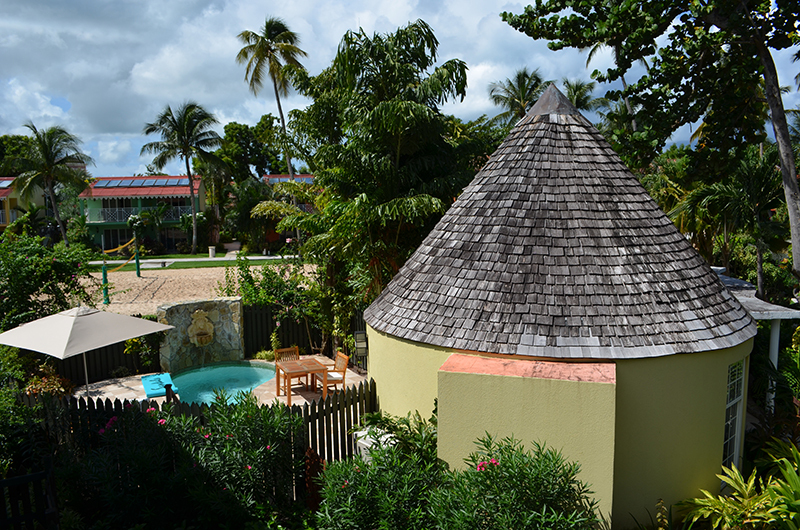 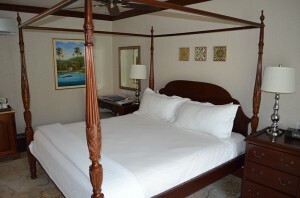 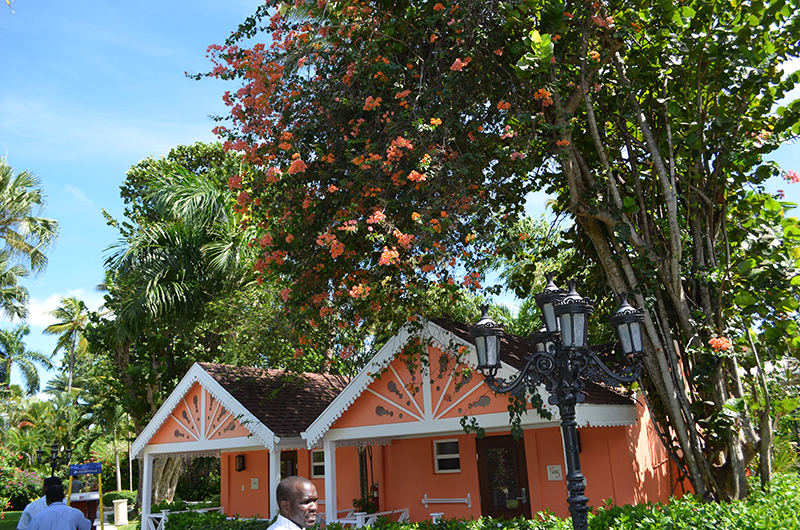 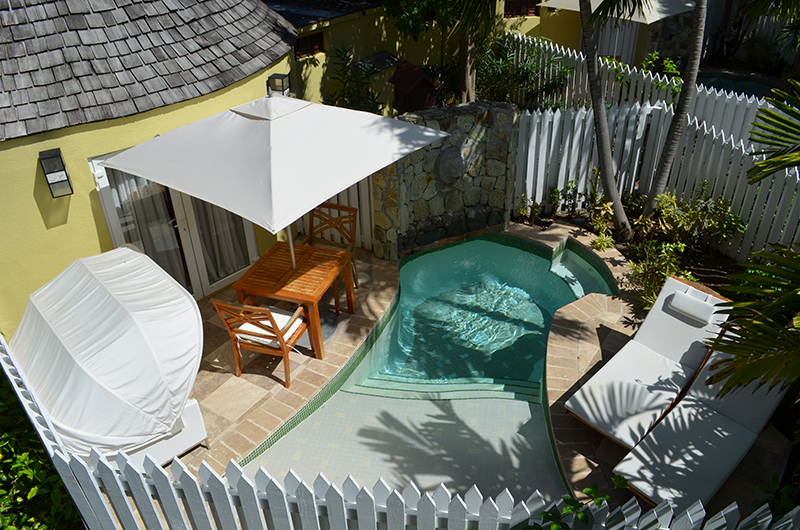 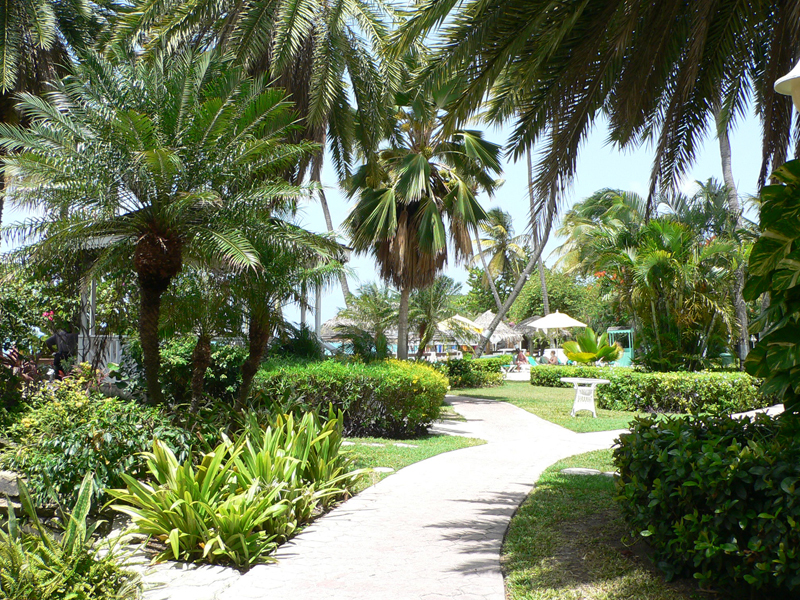 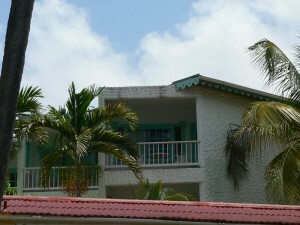 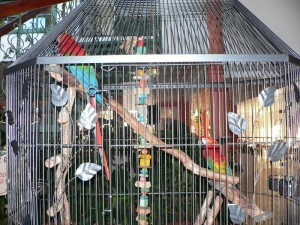 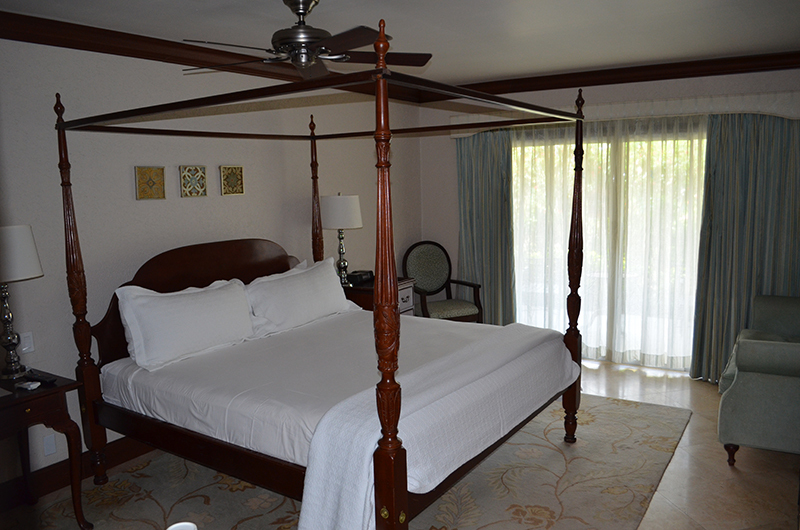 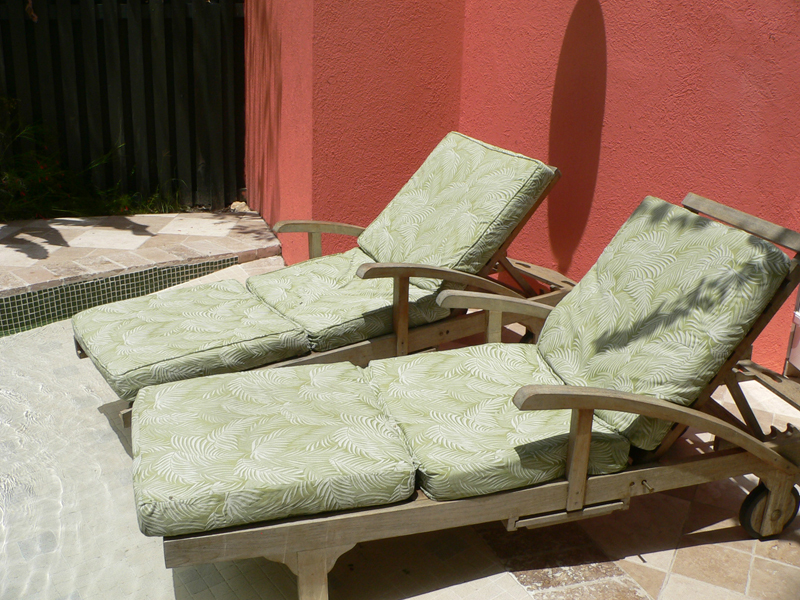 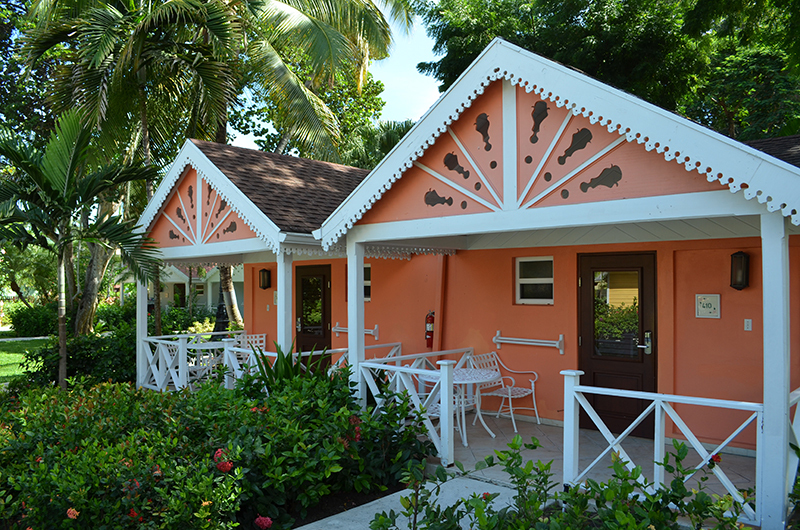 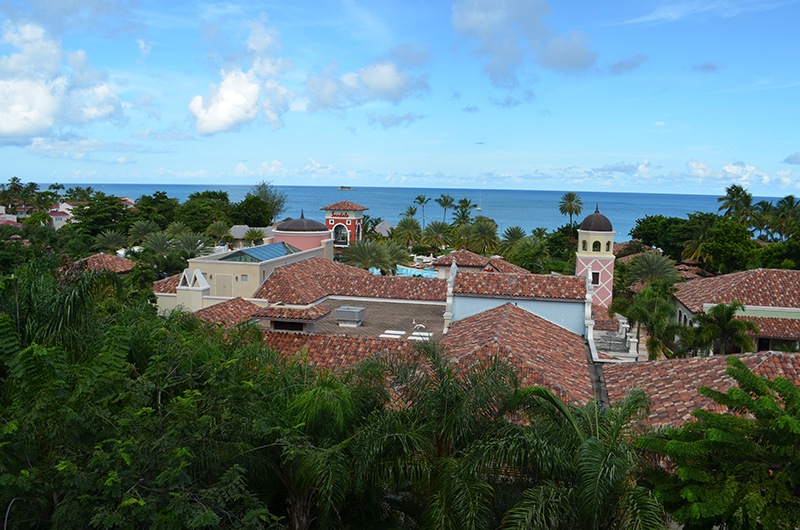 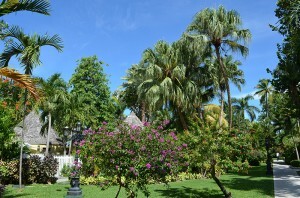 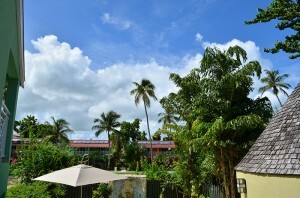 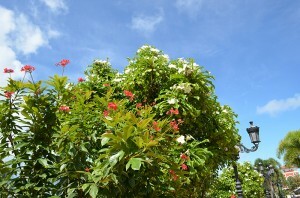 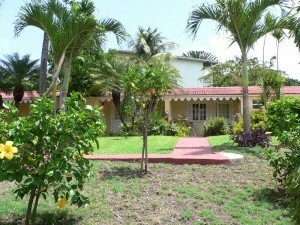 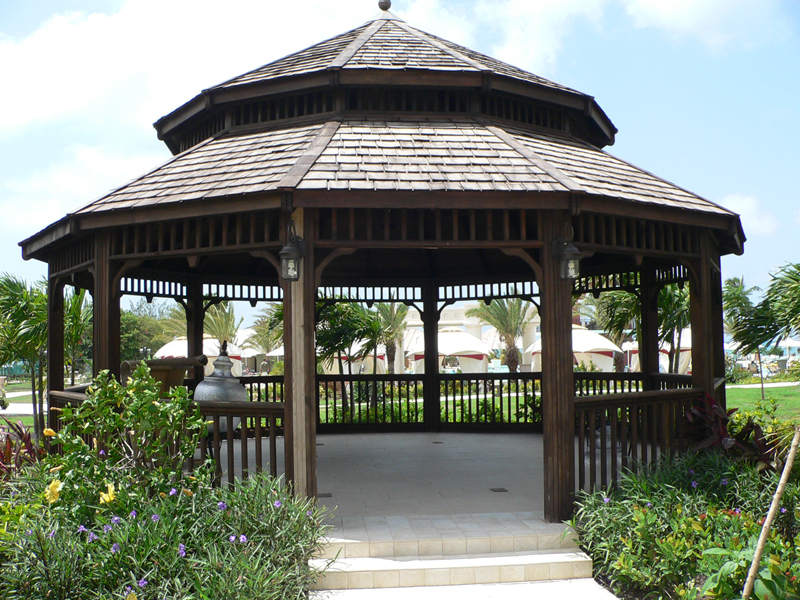 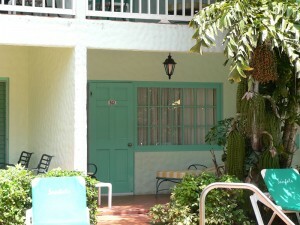 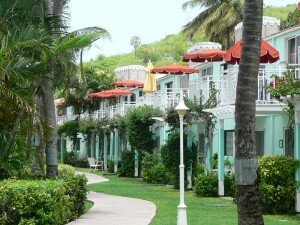 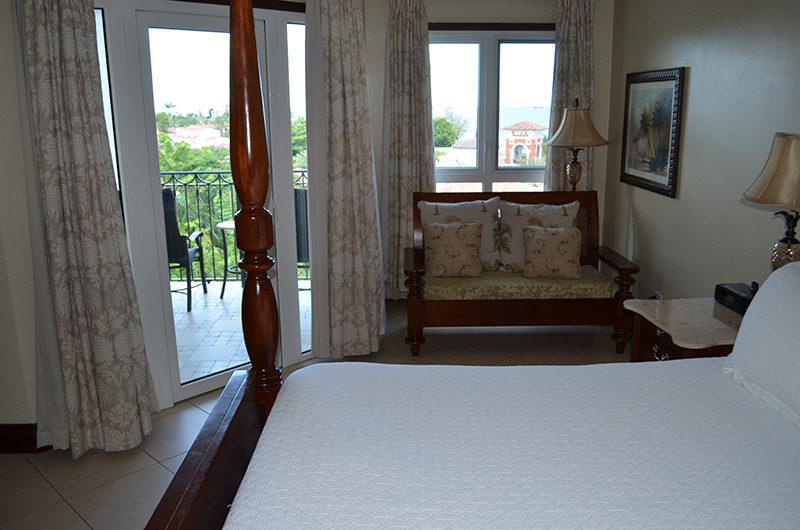 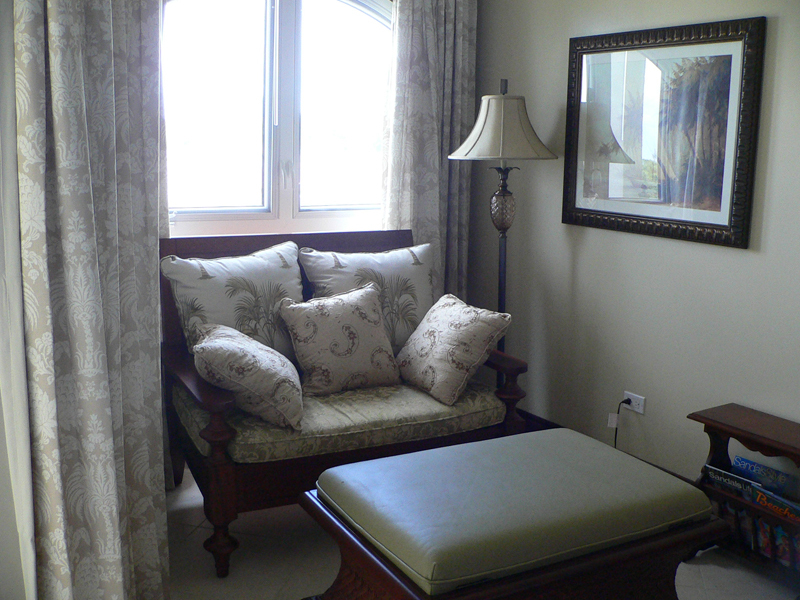 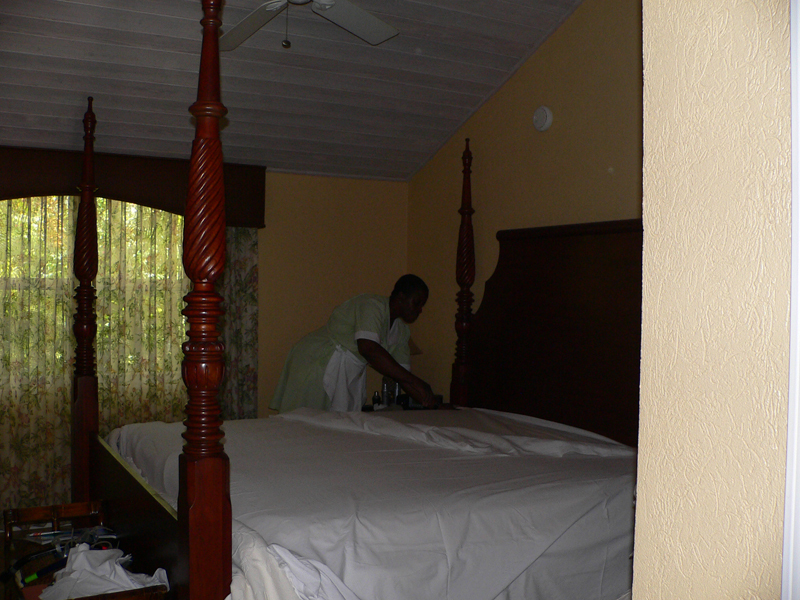 The Caribbean Village is quaint with cottage like accommodations nestled in lush foliage. 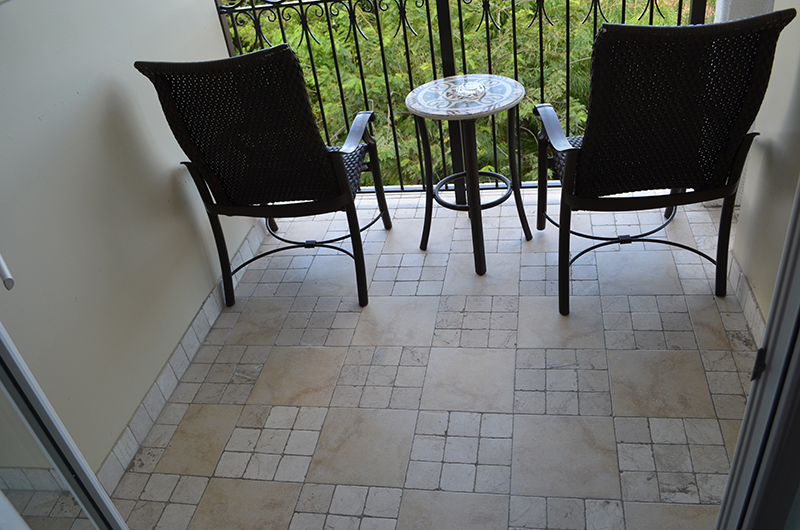 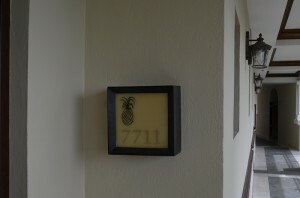 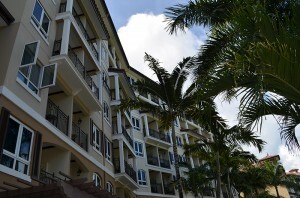 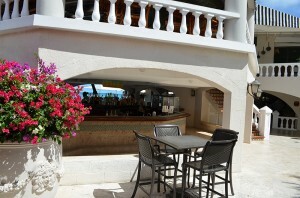 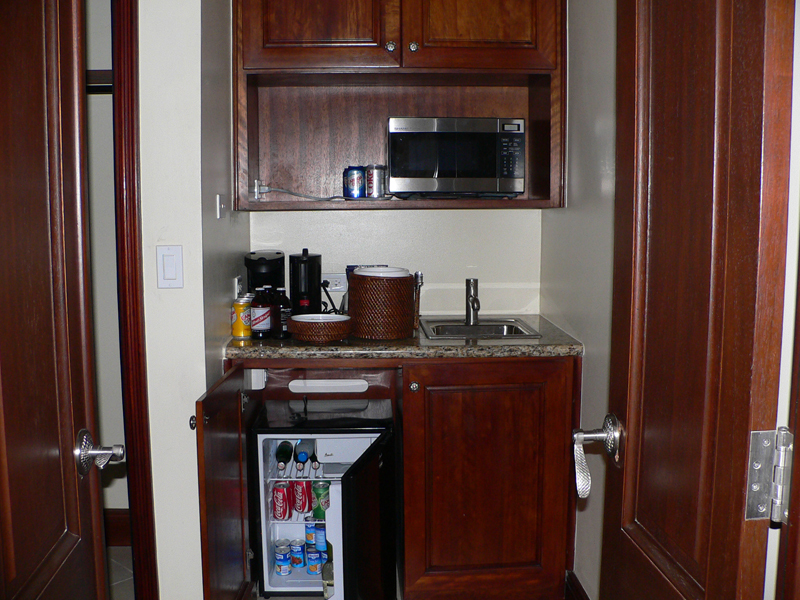 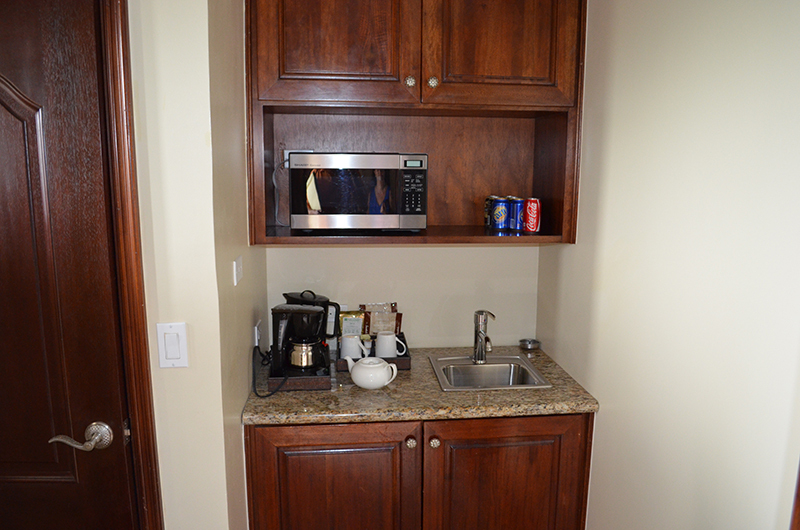 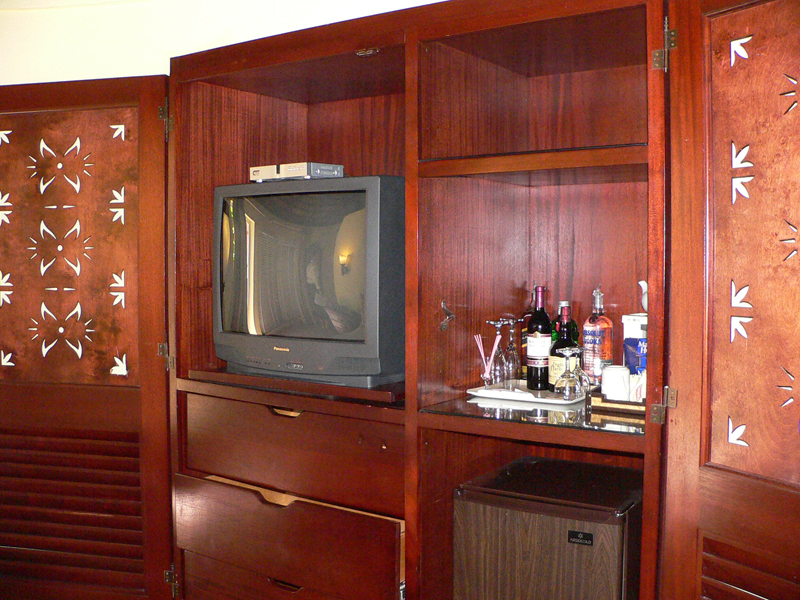 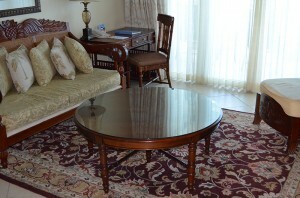 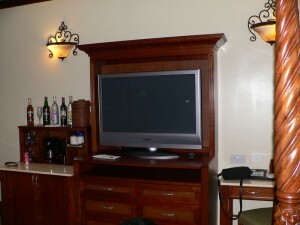 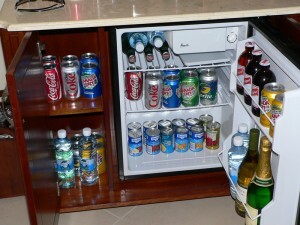 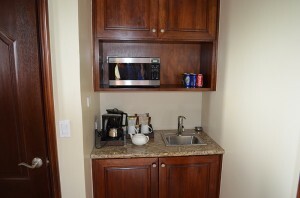 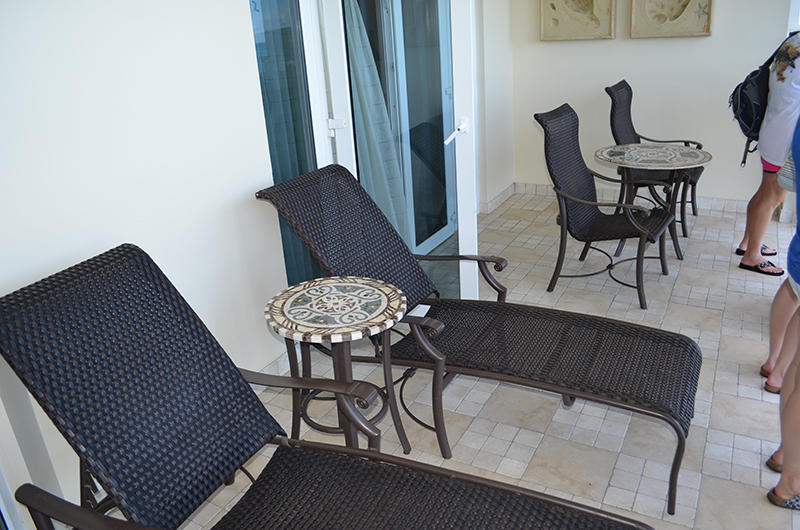 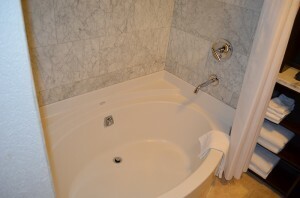 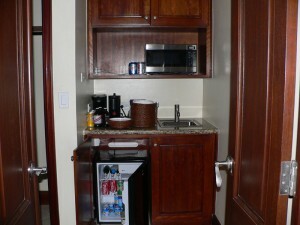 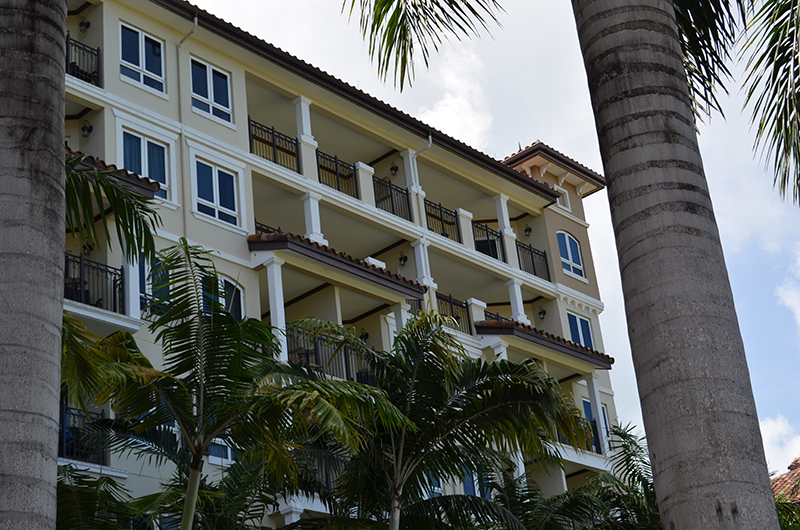 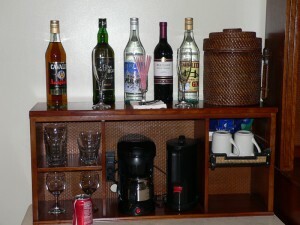 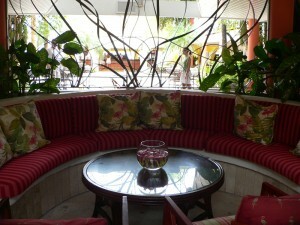 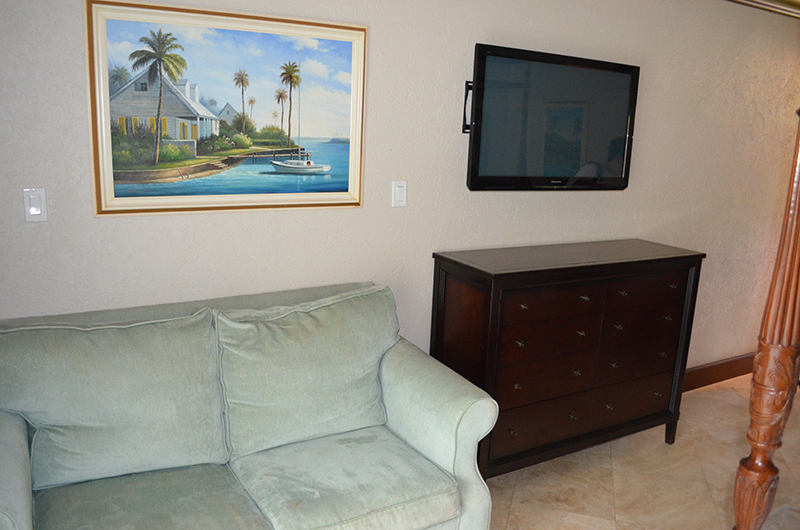 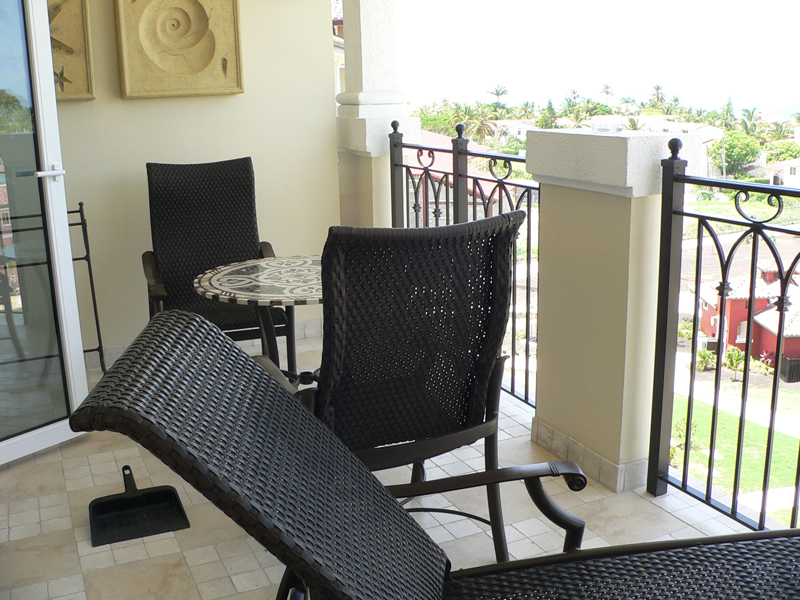 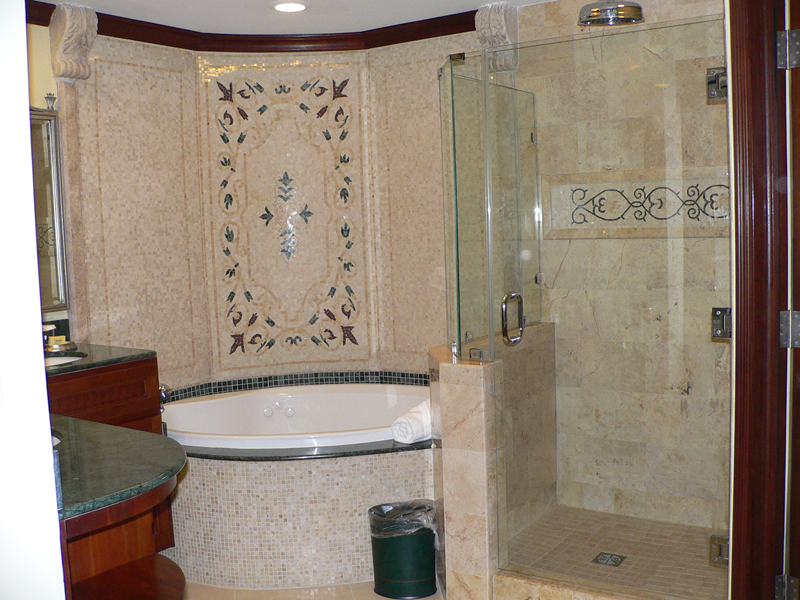 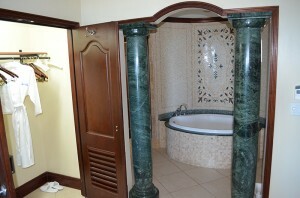 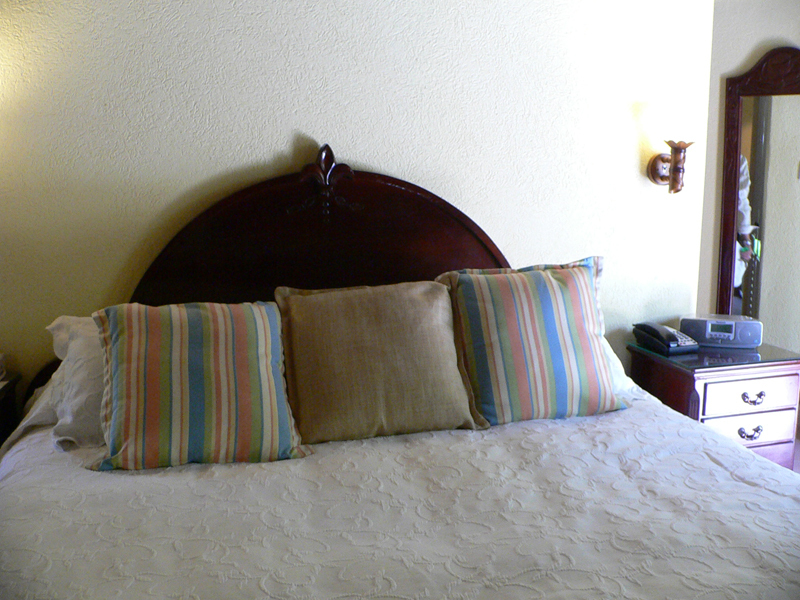 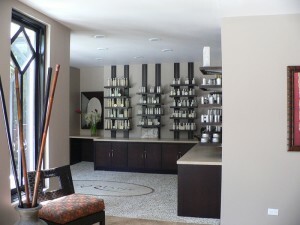 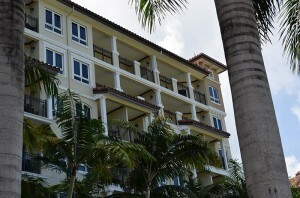 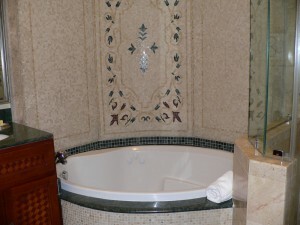 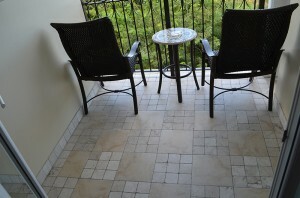 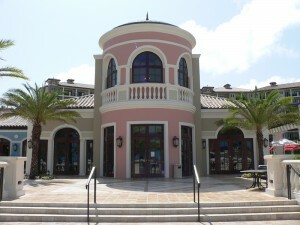 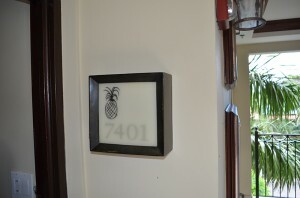 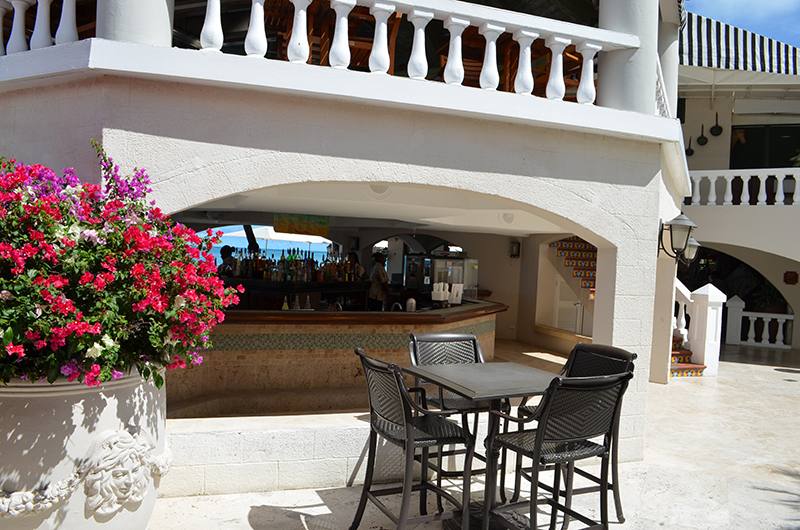 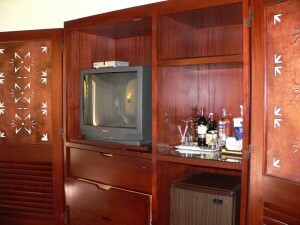 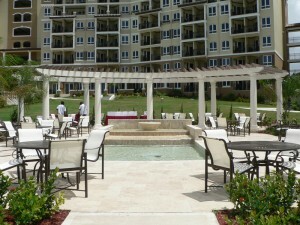 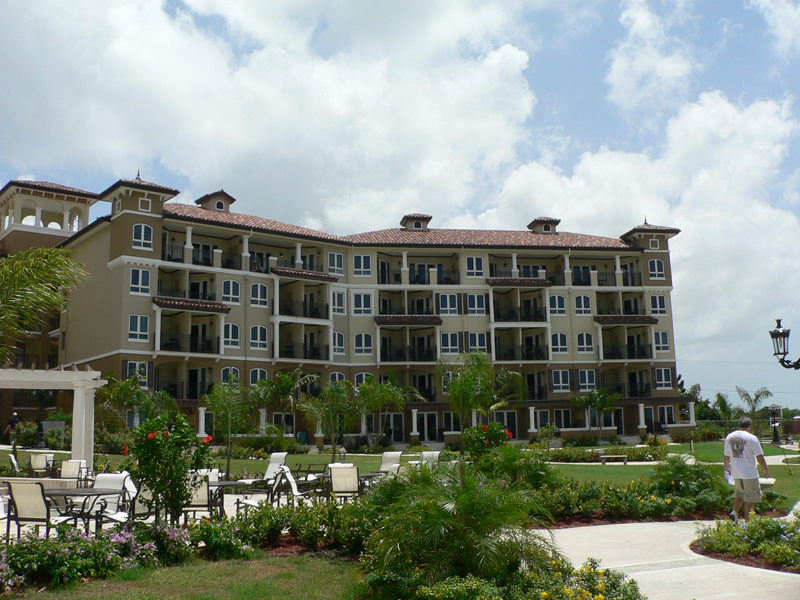 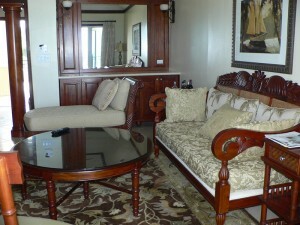 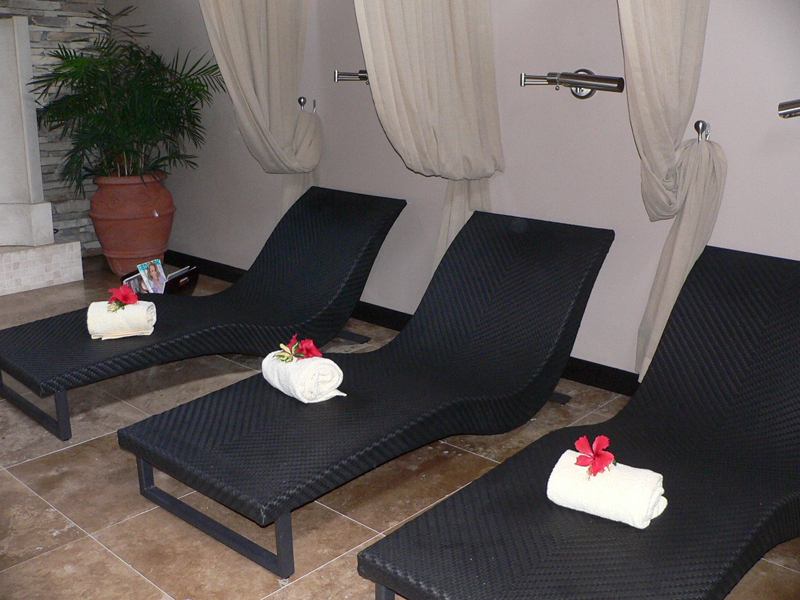 The Mediterranean Village is all club level suites in high rise buildings. 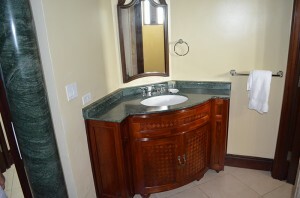 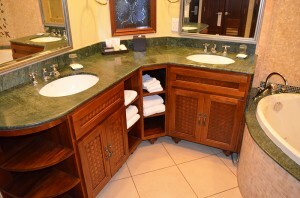 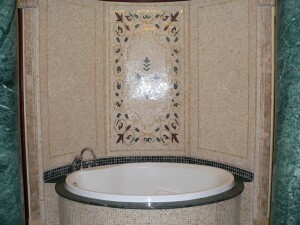 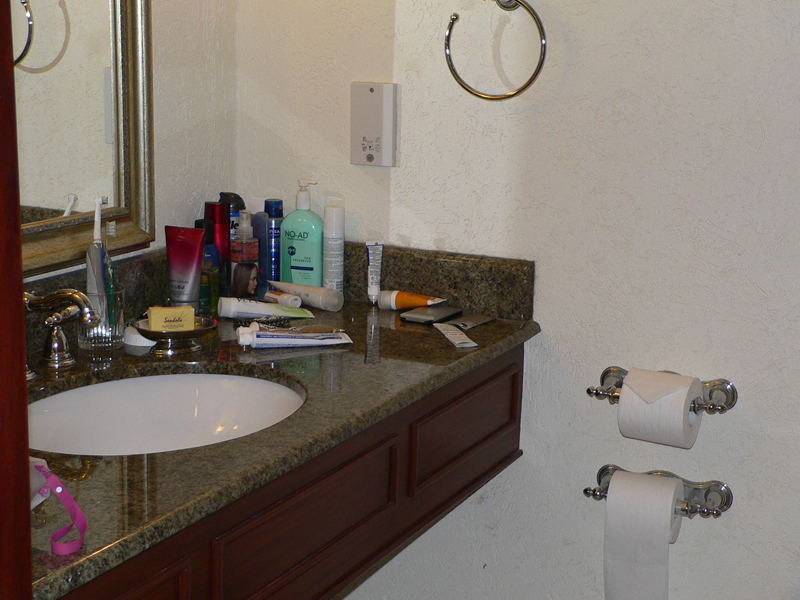 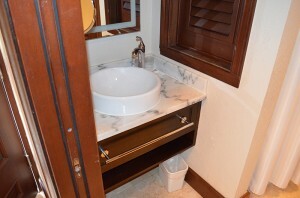 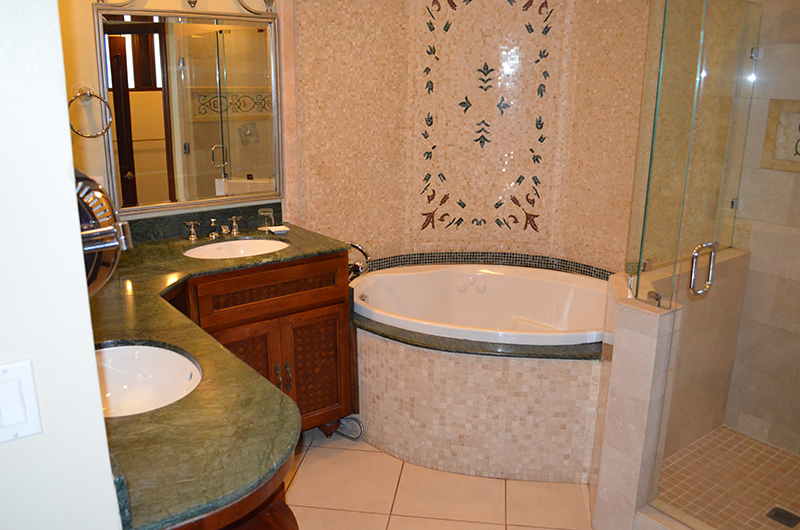 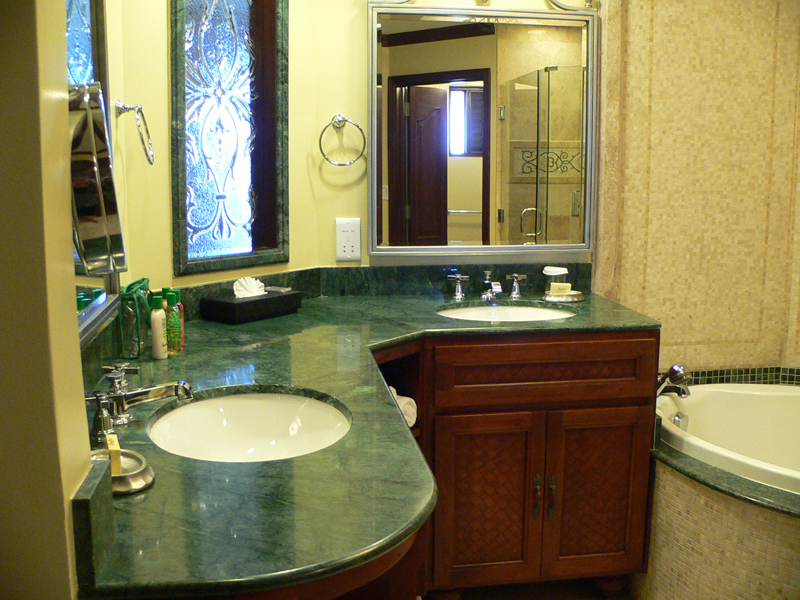 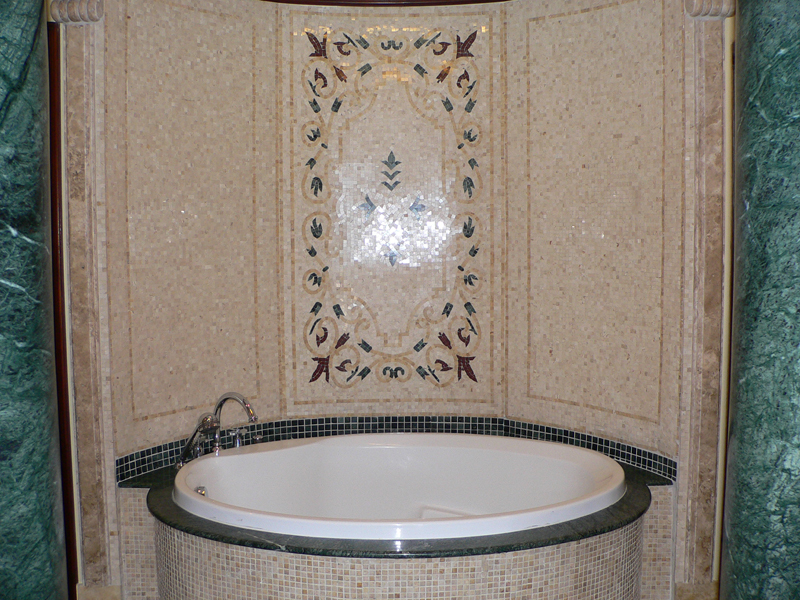 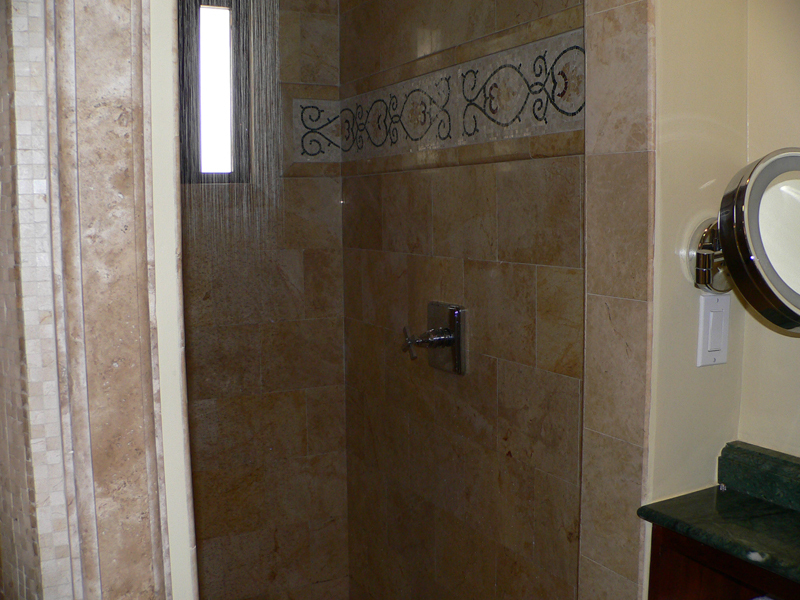 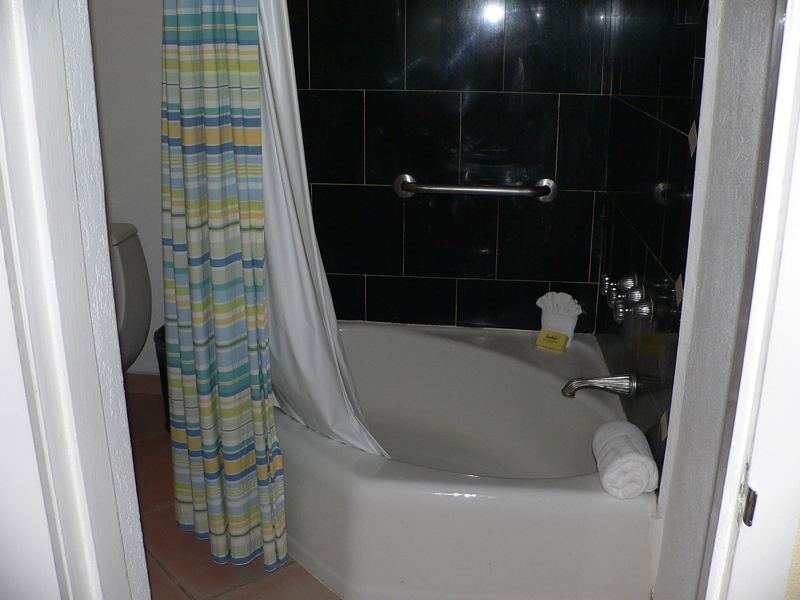 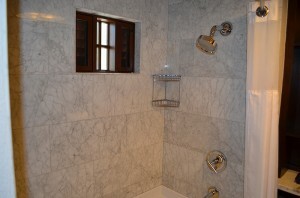 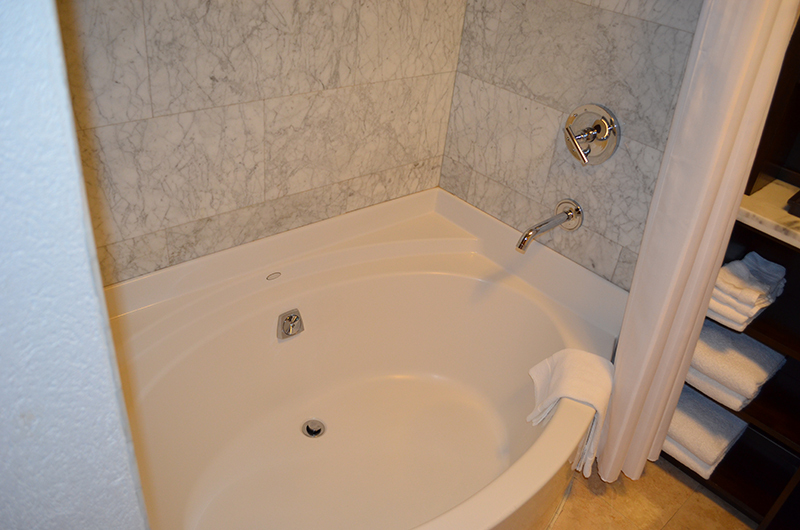 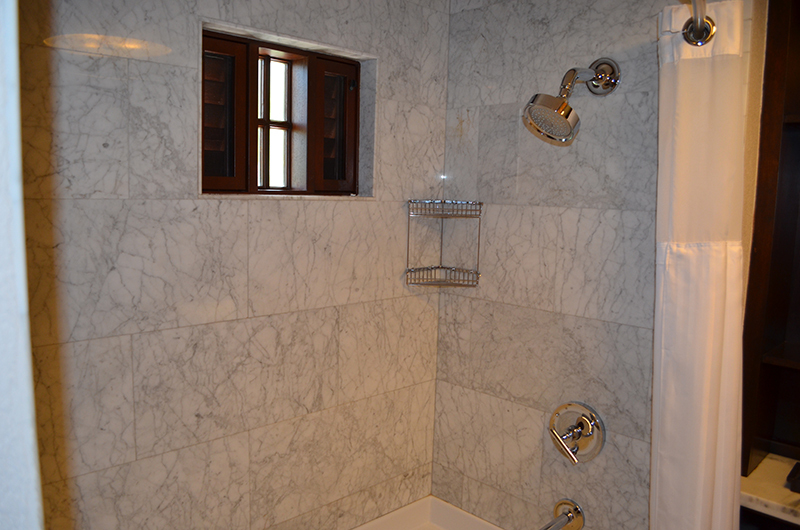 The Mediterranean Village opened in 2008 and houses the modern 600+ square feet suites with large bathrooms, double vanity, soaking tub, separate shower, fully stocked bar and room service. 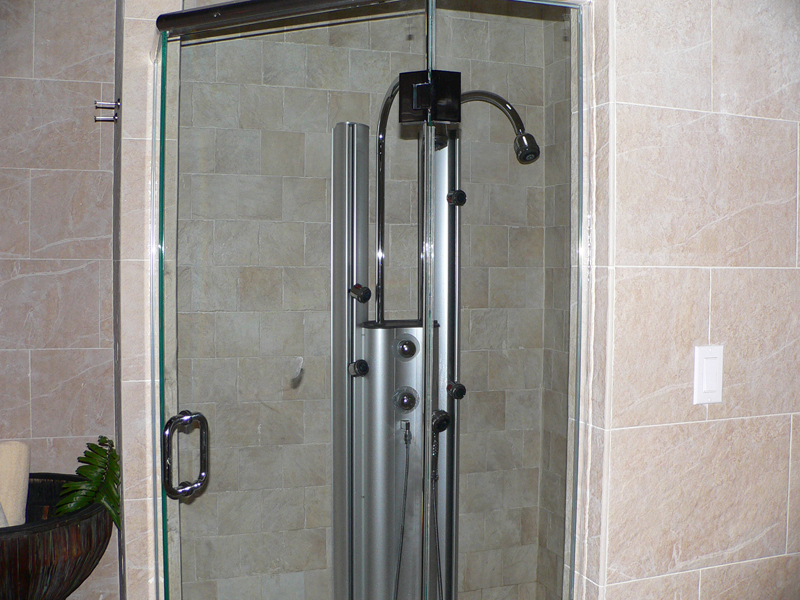 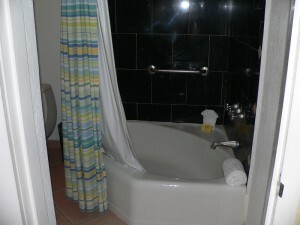 These are my preferred accommodations. 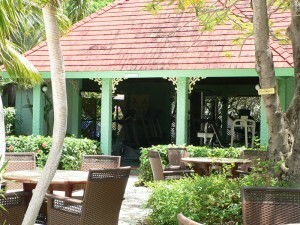 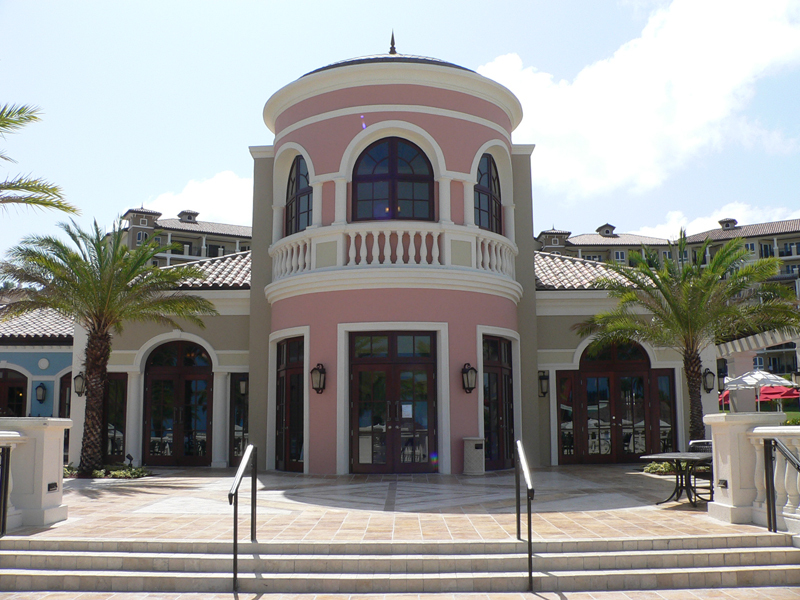 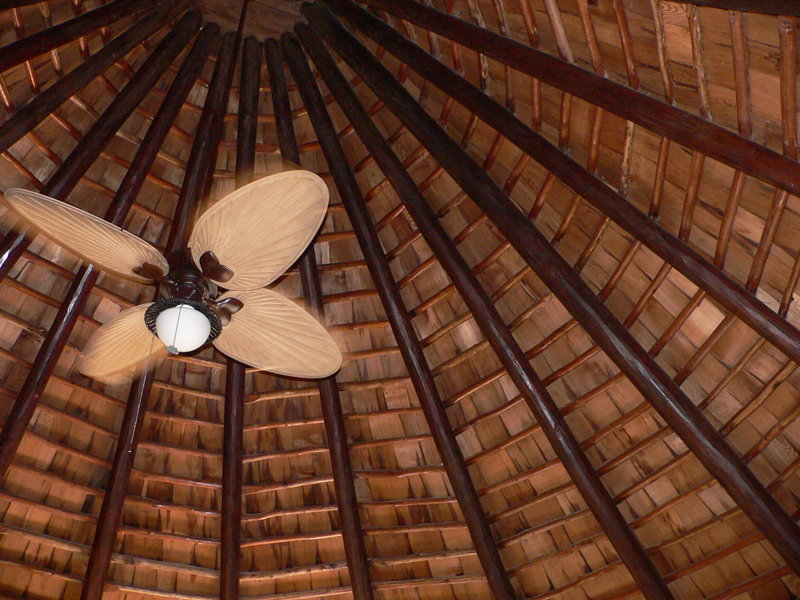 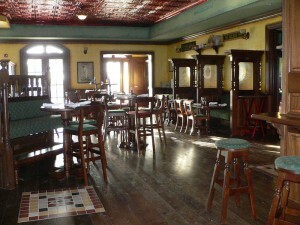 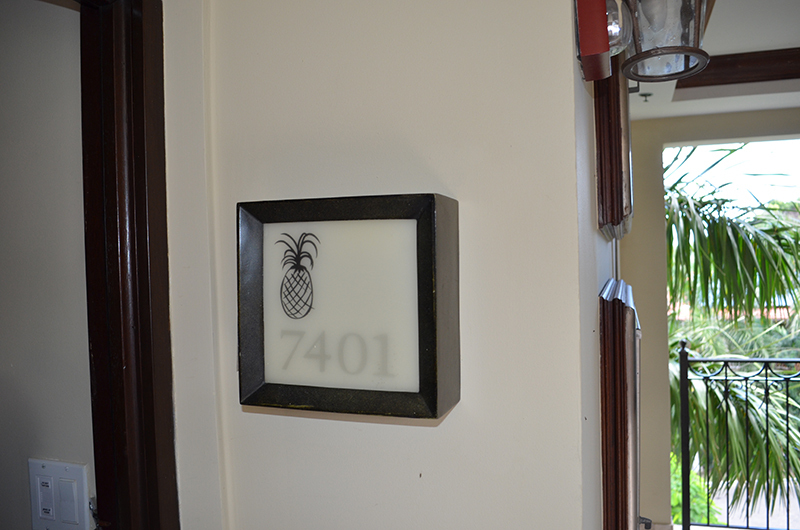 The Caribbean Village is charming, but dated in décor. 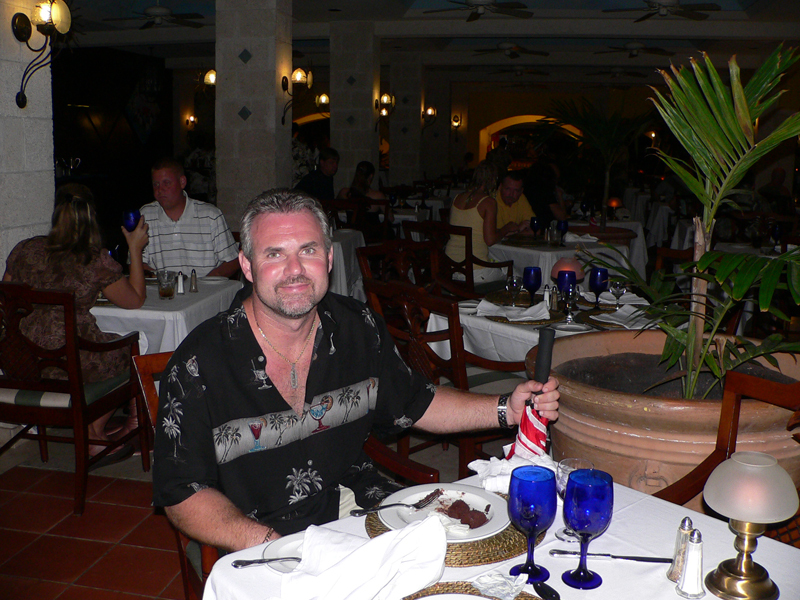 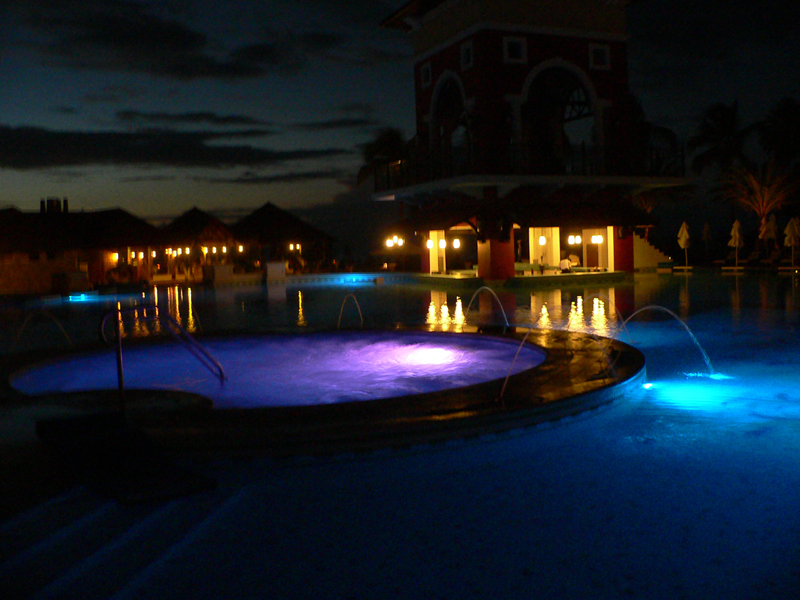 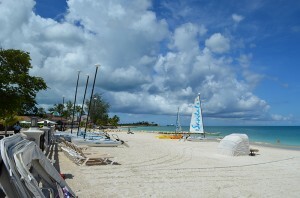 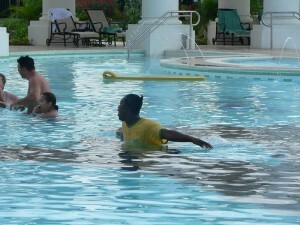 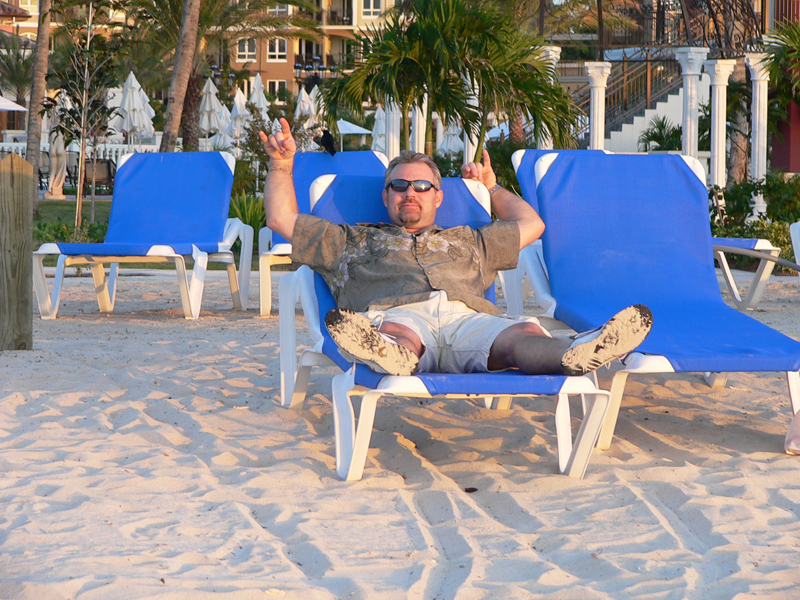 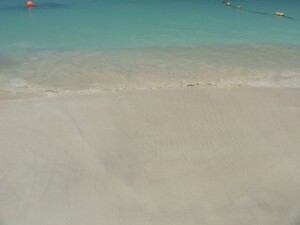 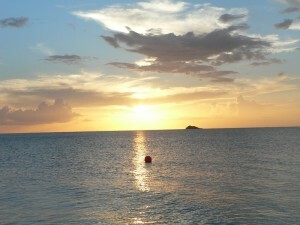 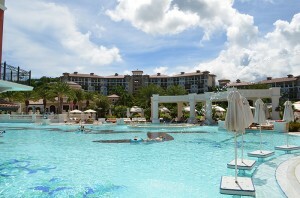 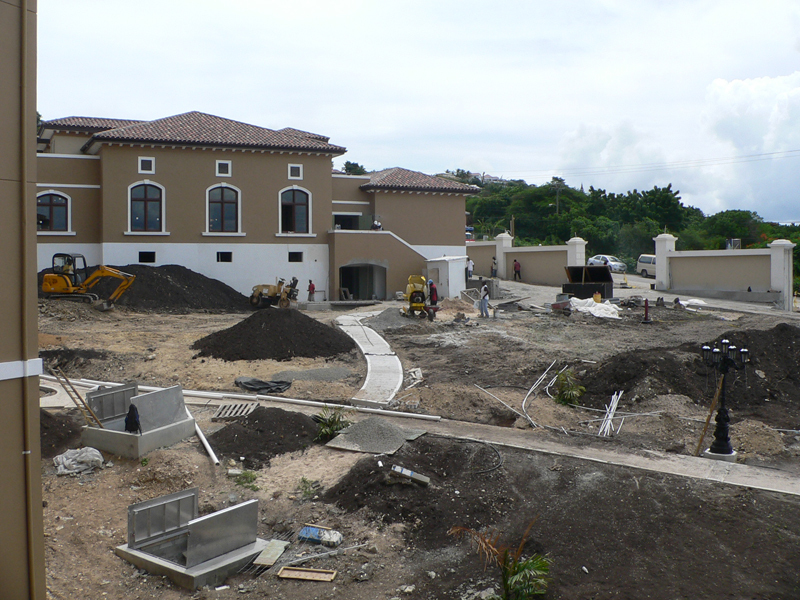 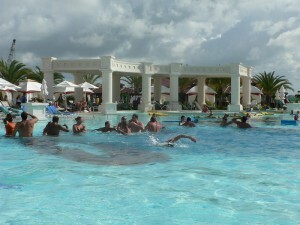 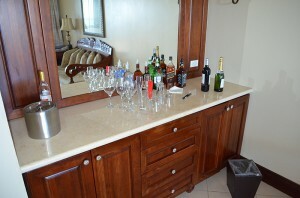 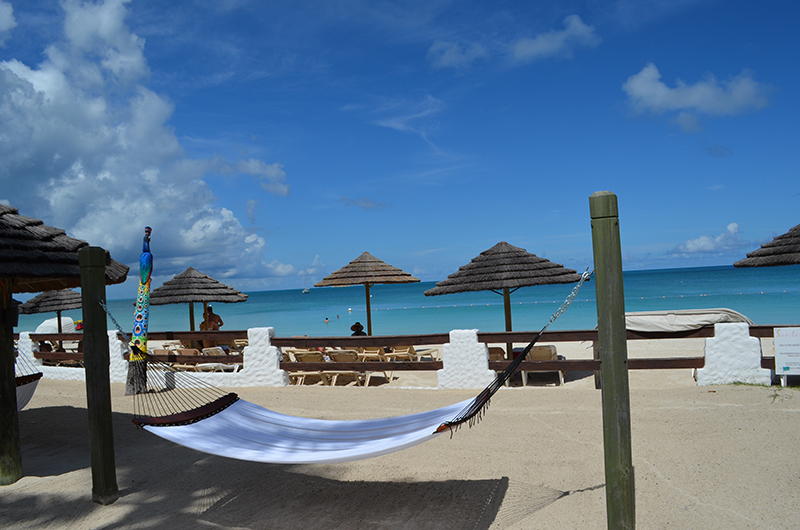 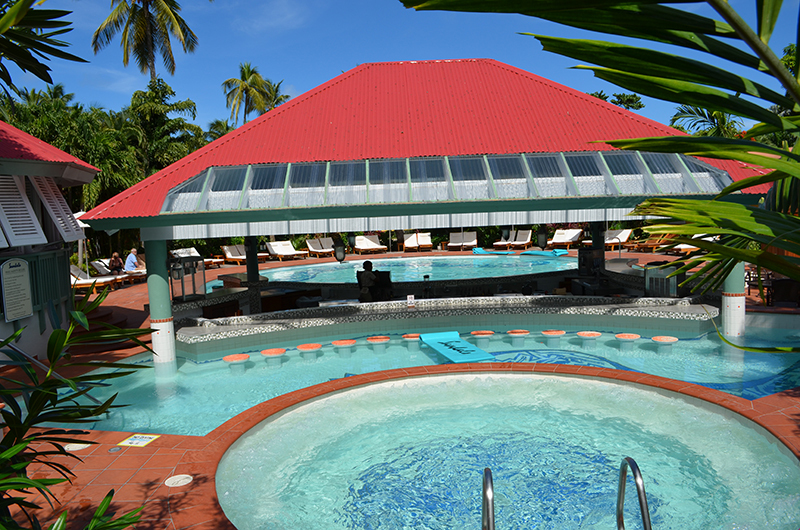 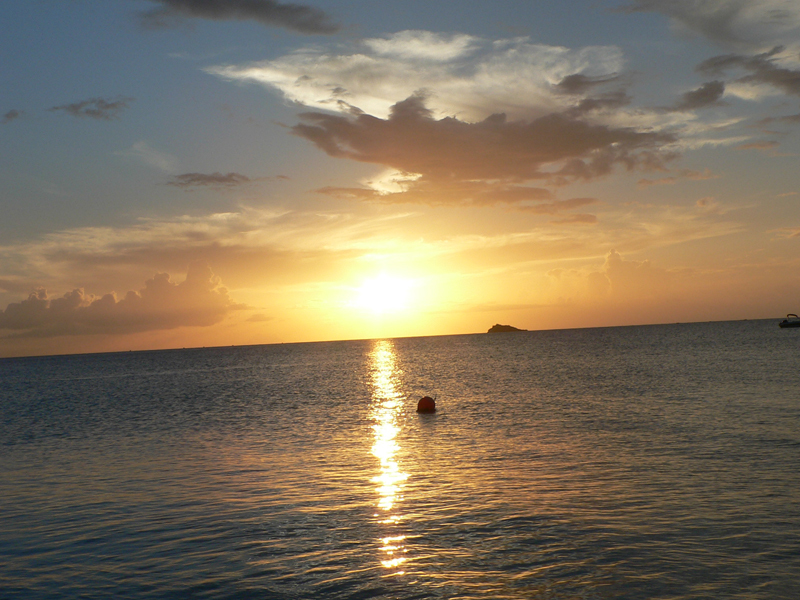 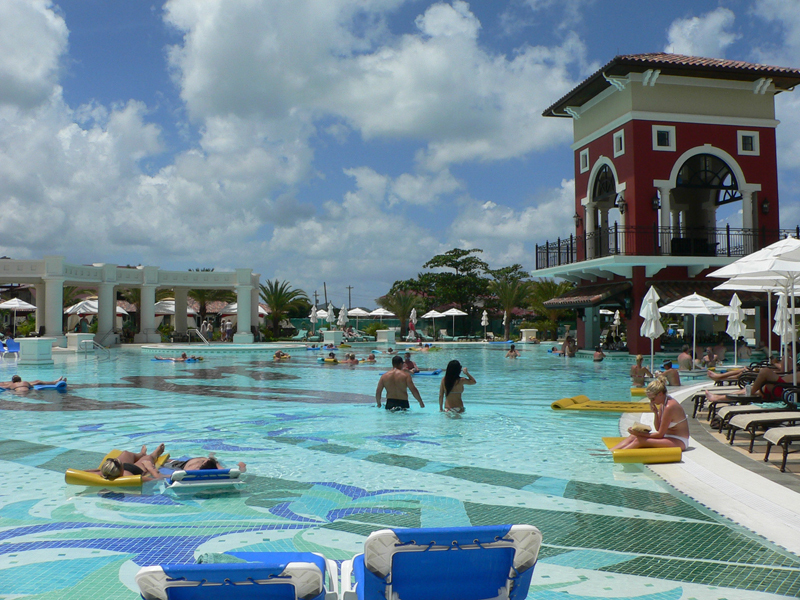 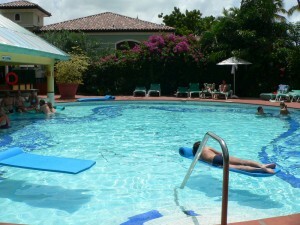 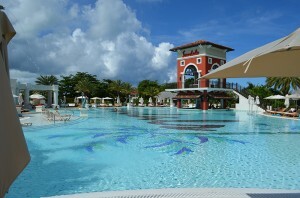 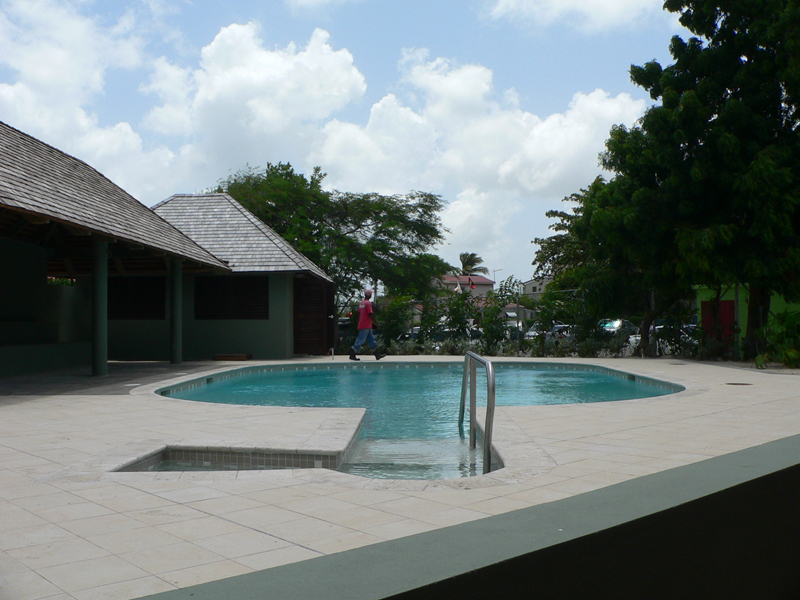 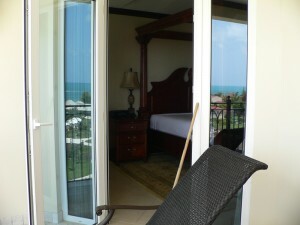 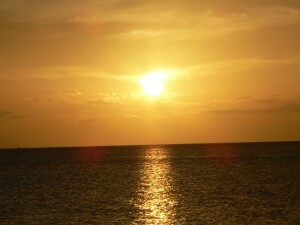 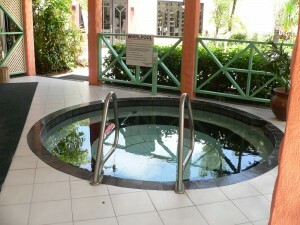 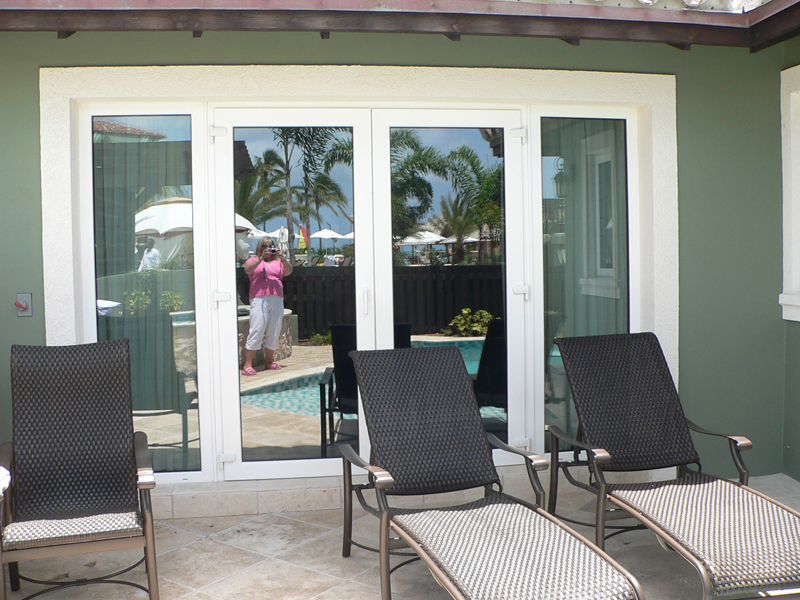 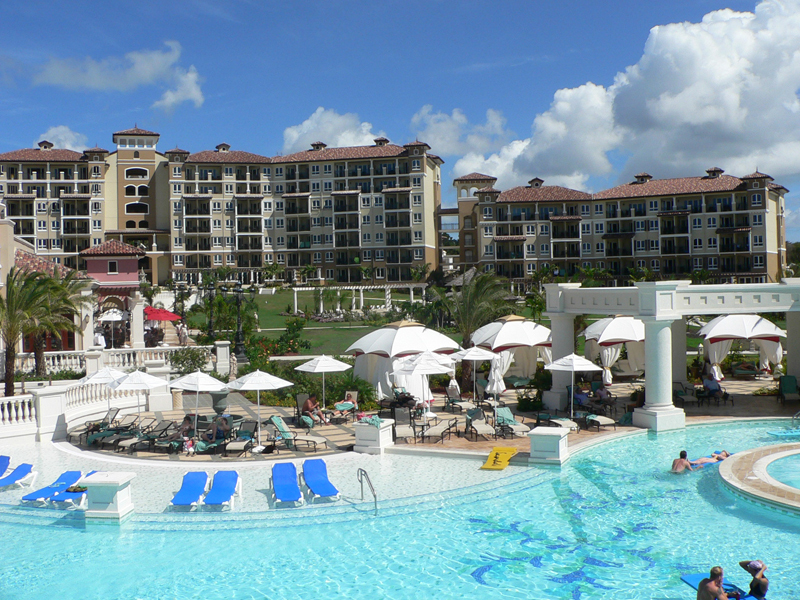 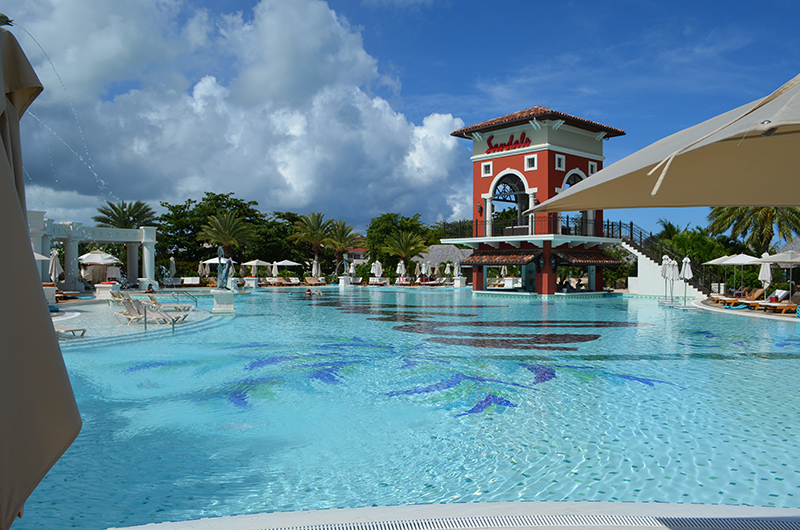 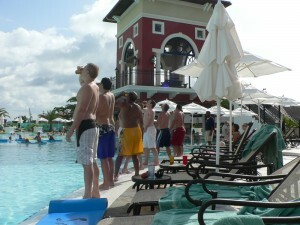 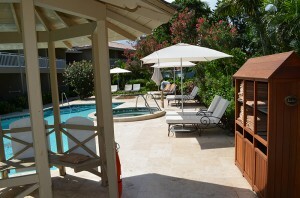 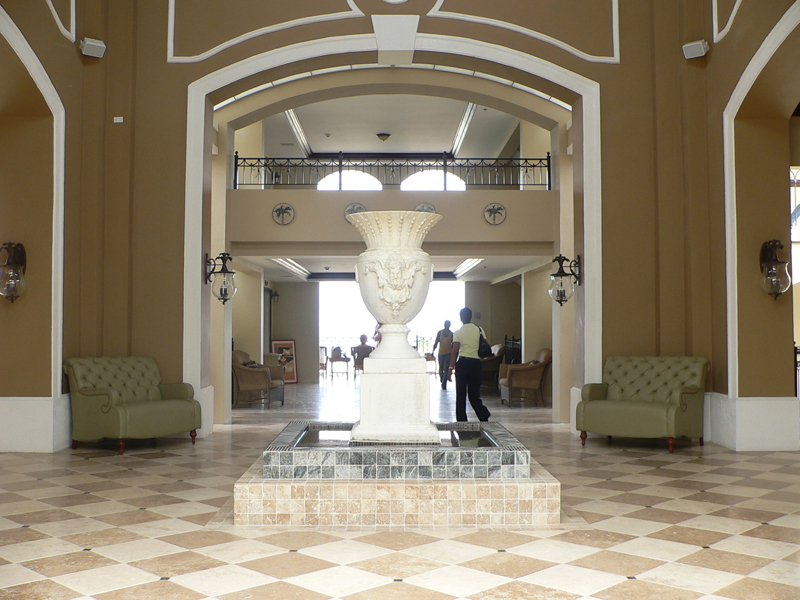 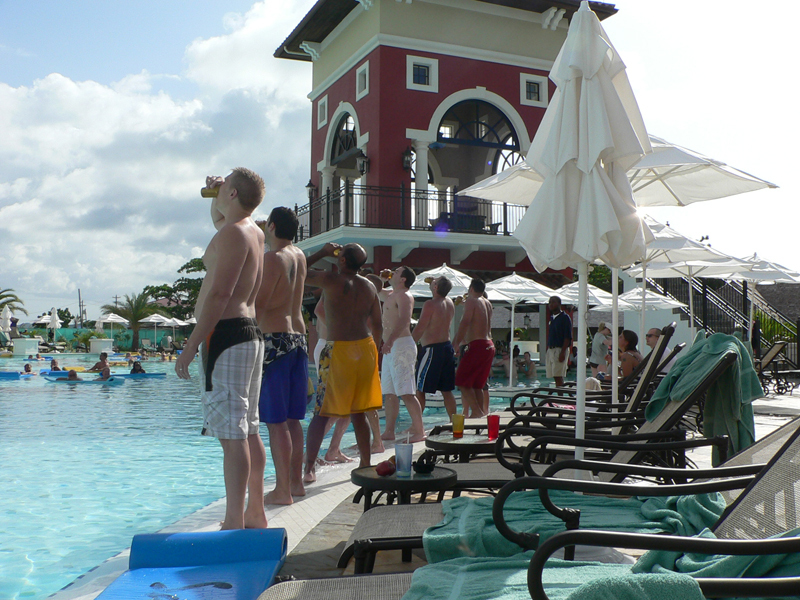 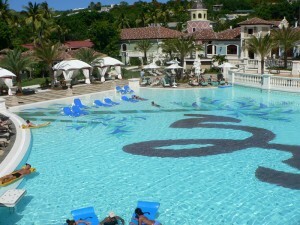 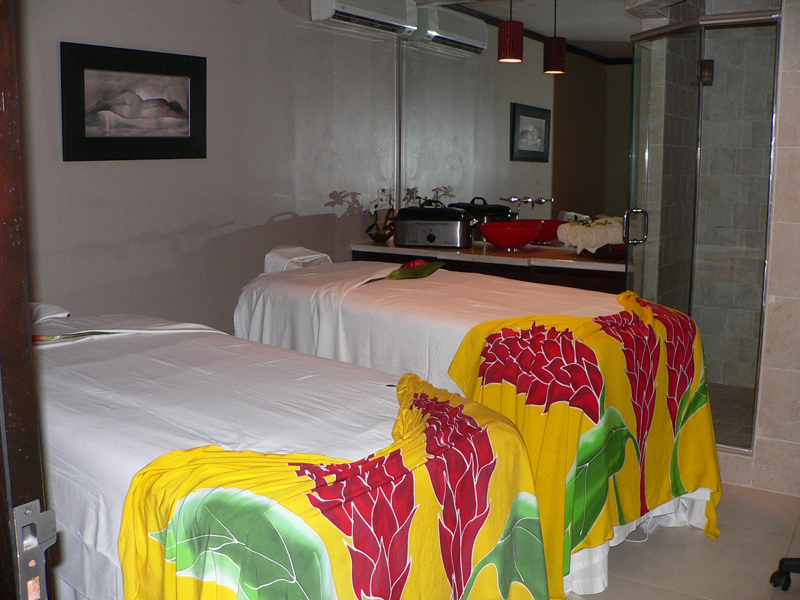 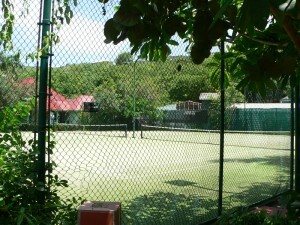 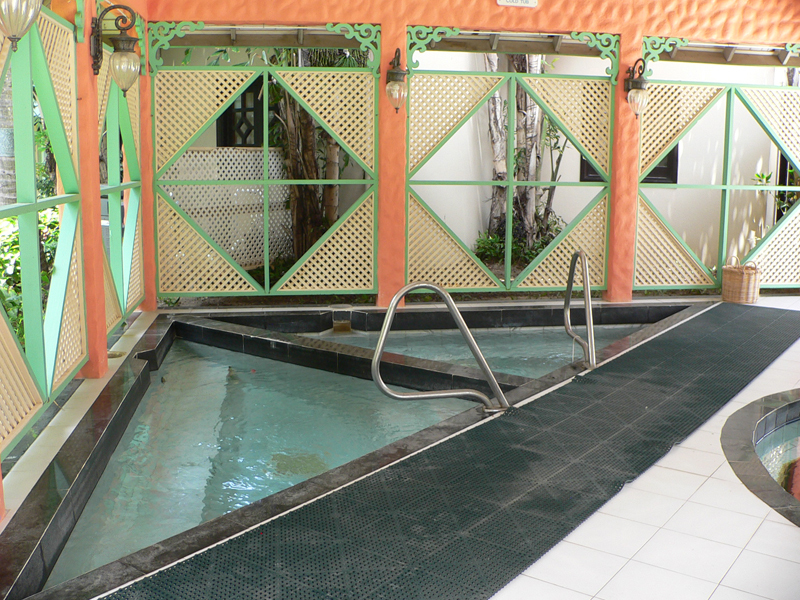 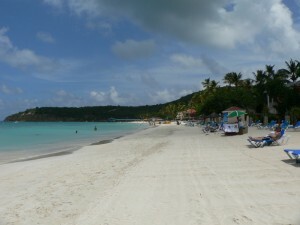 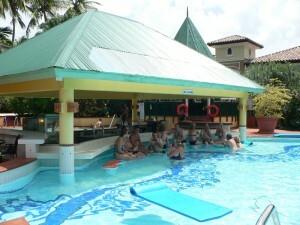 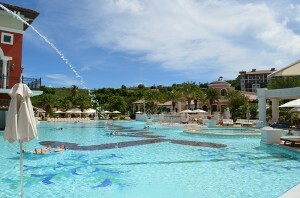 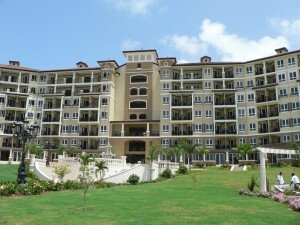 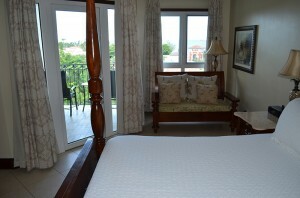 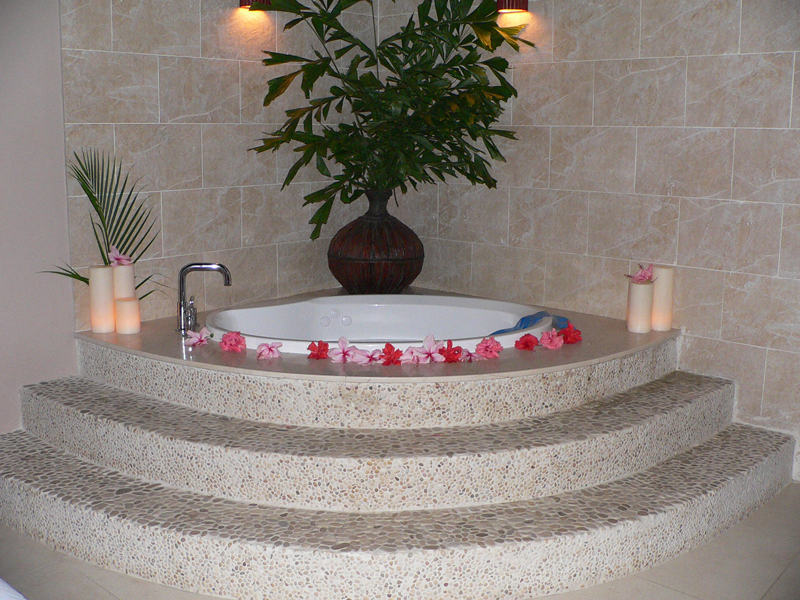 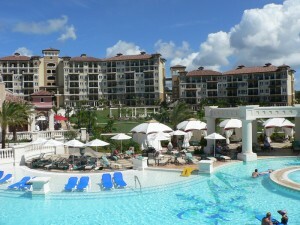 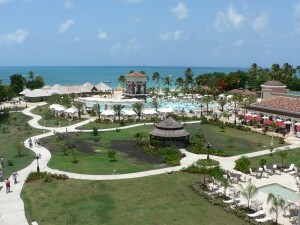 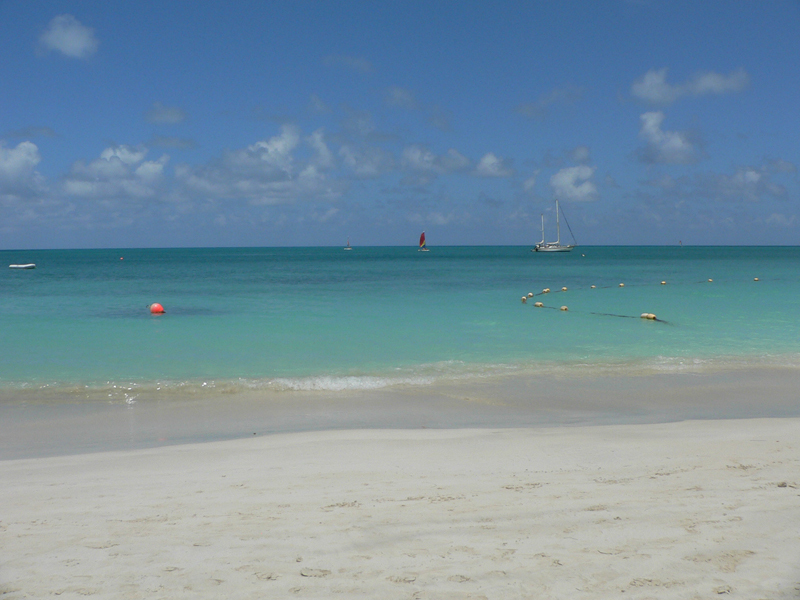 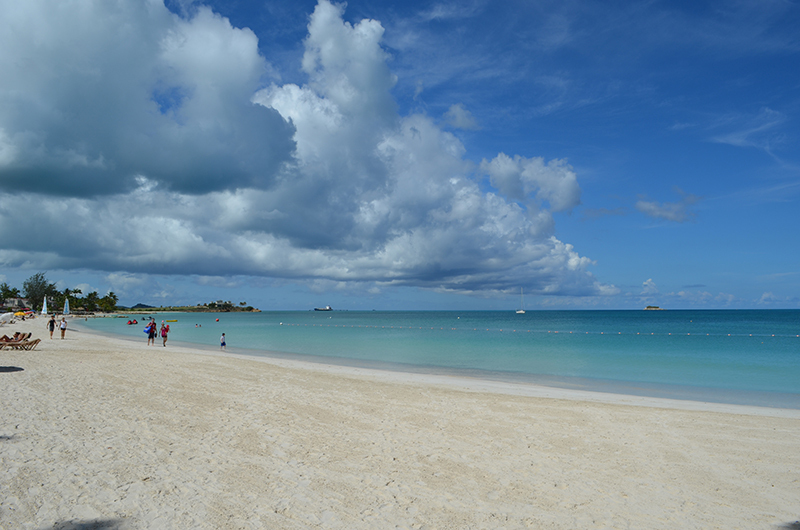 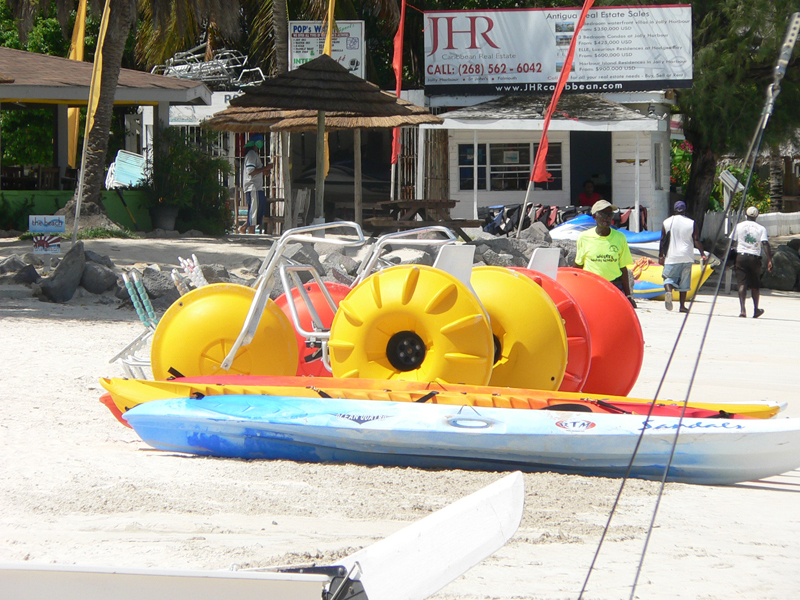 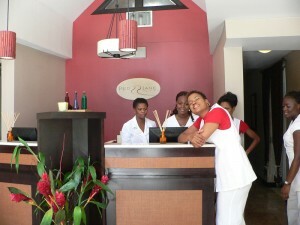 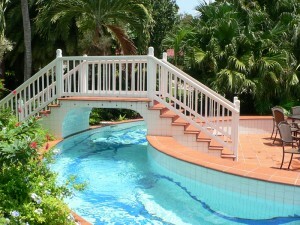 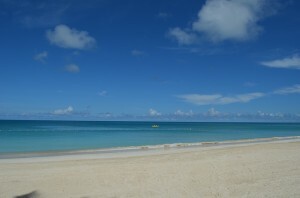 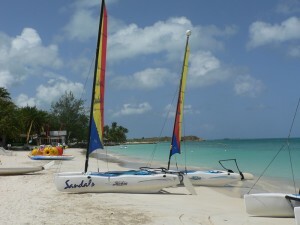 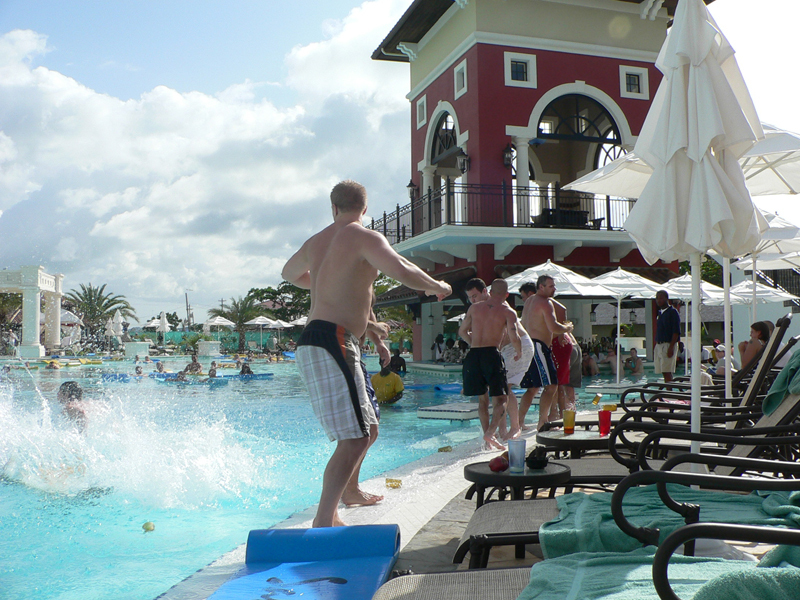 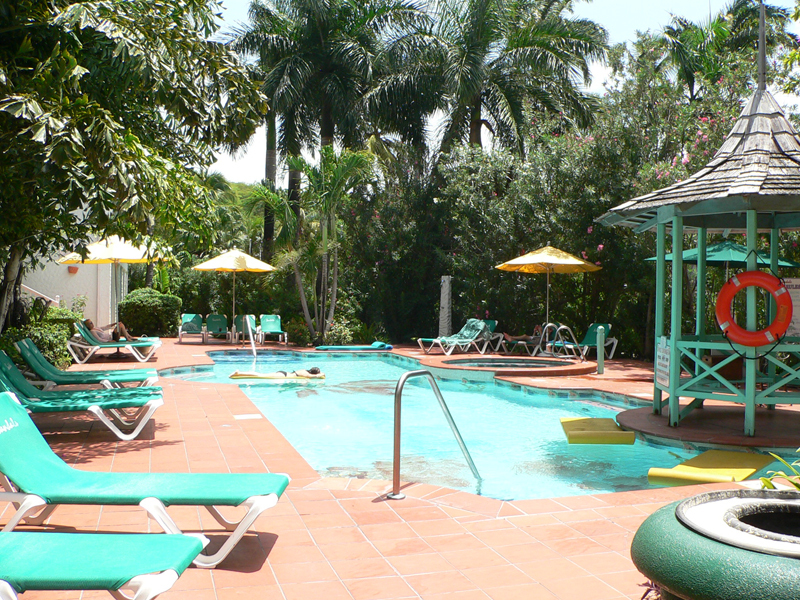 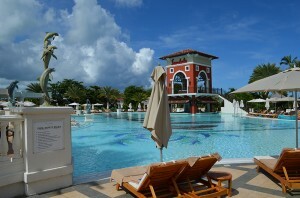 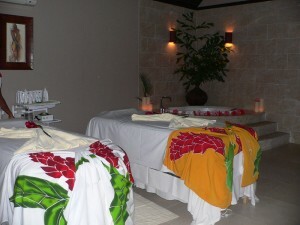 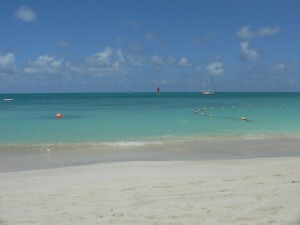 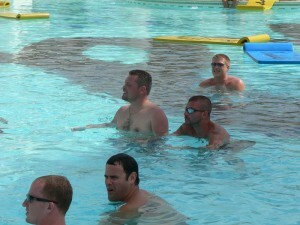 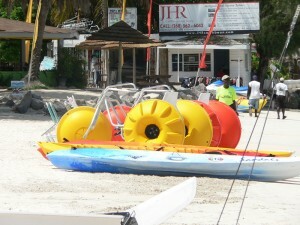 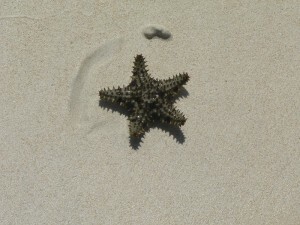 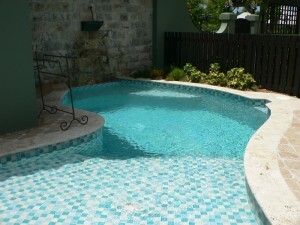 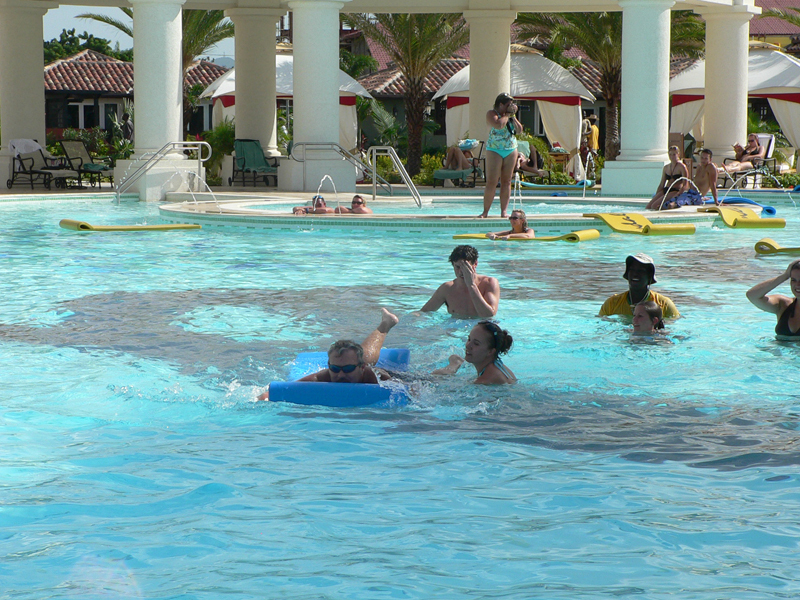 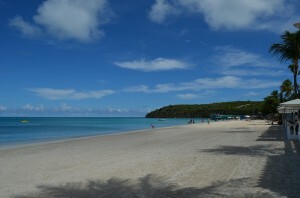 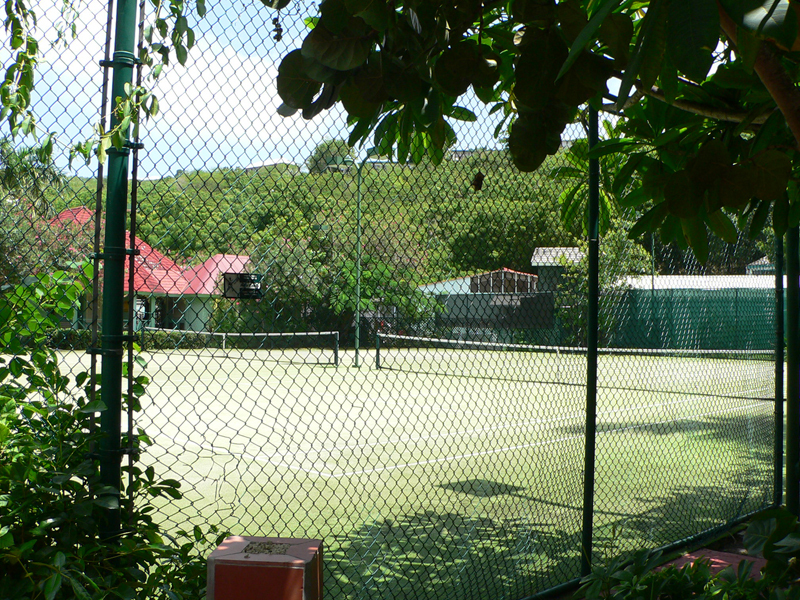 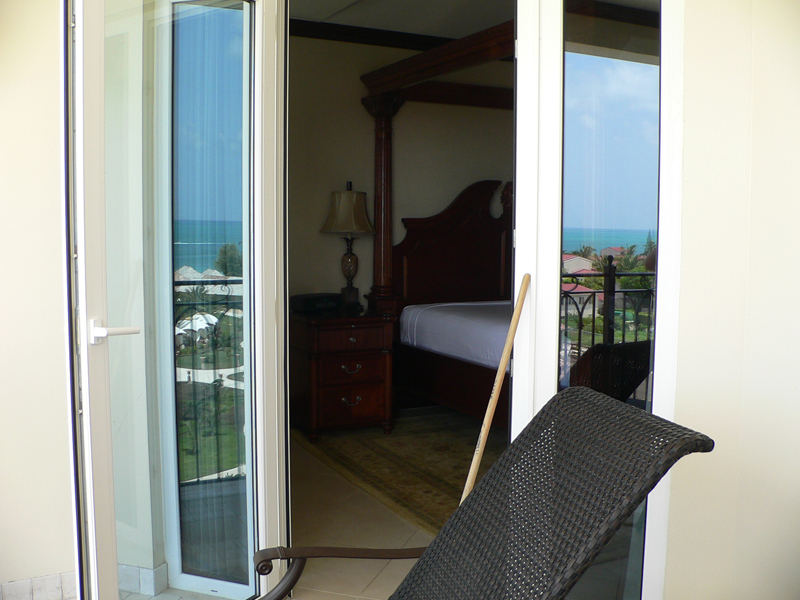 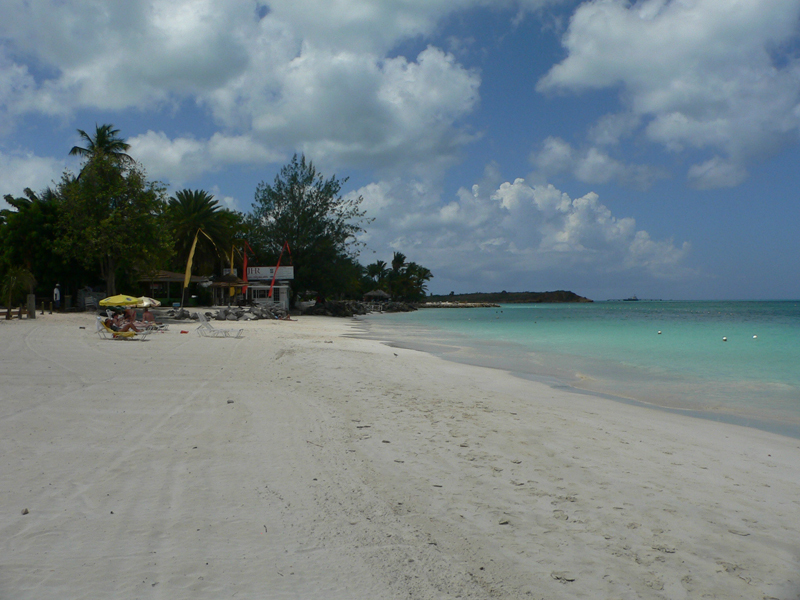 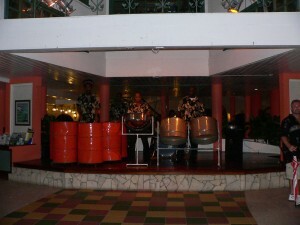 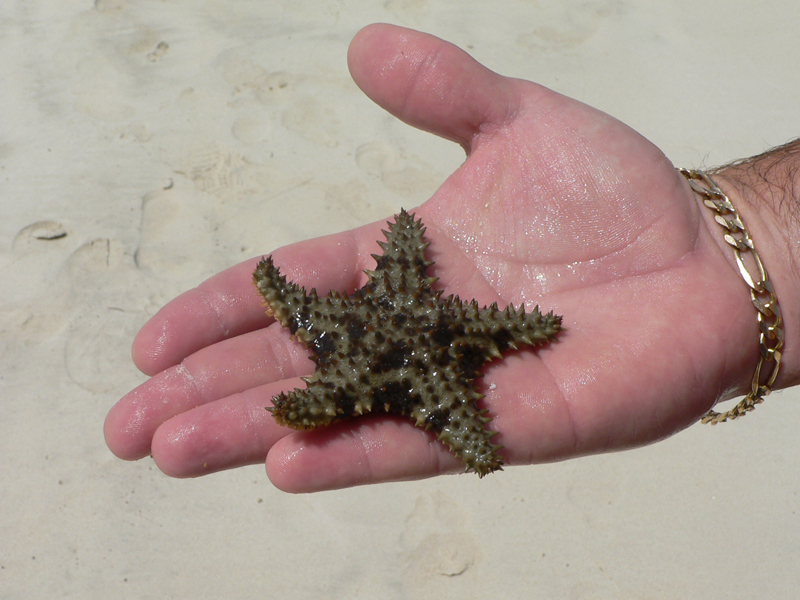 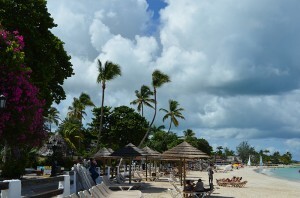 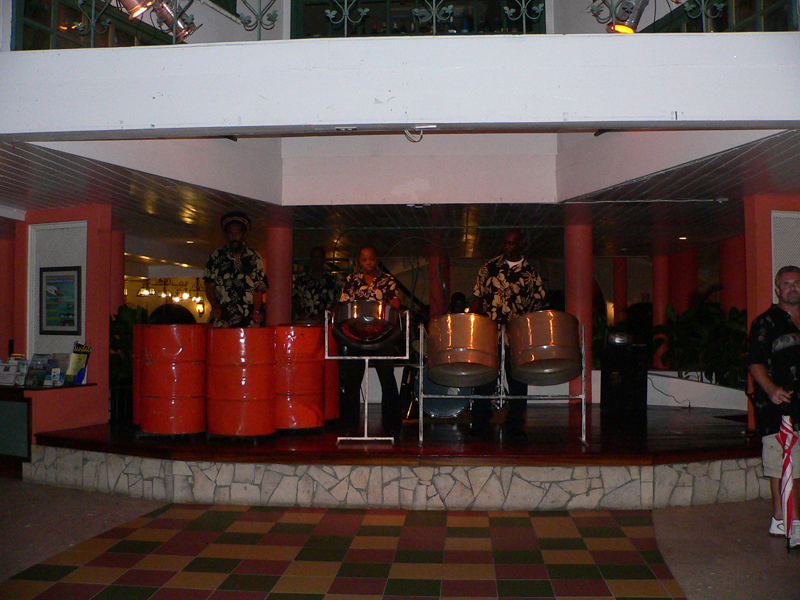 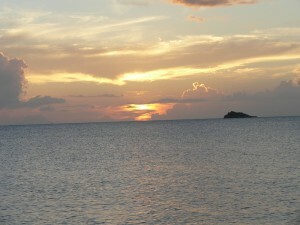 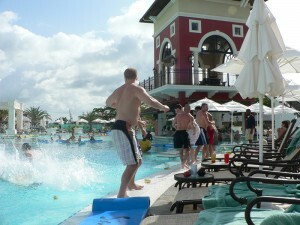 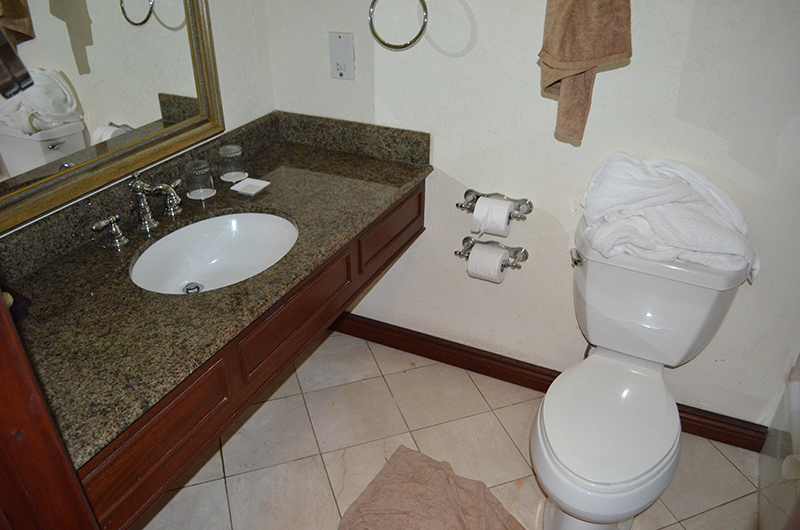 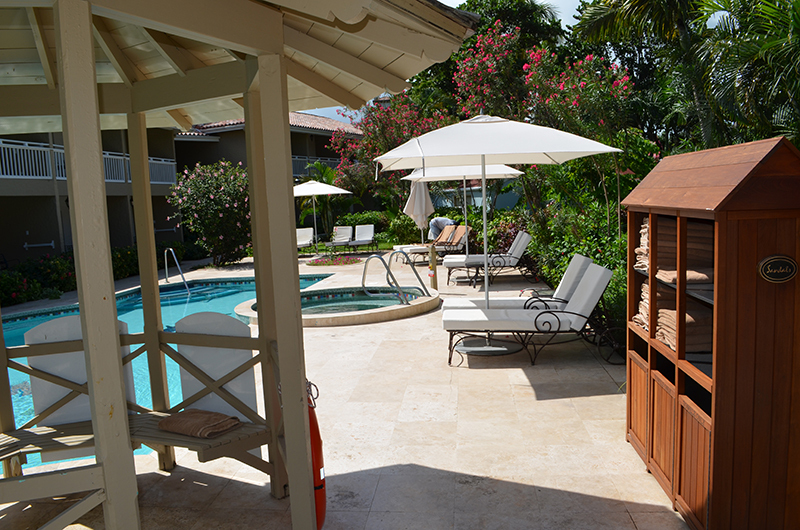 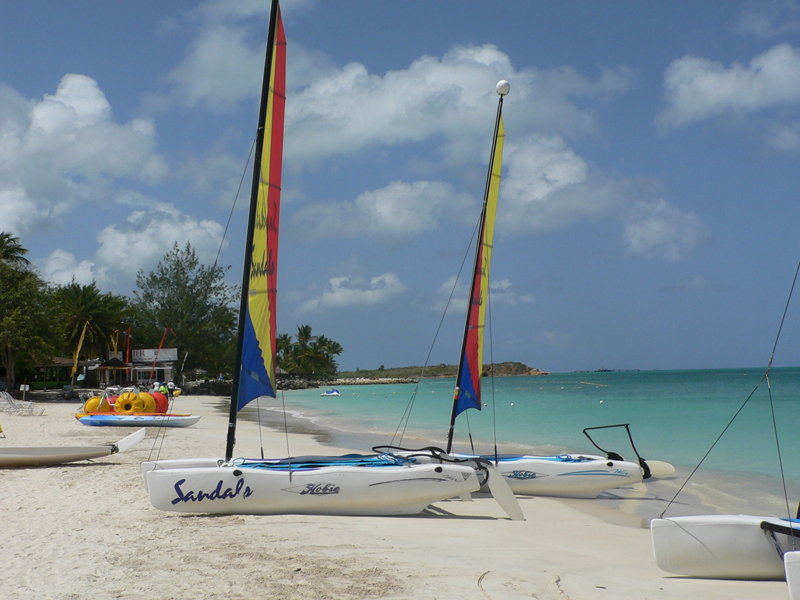 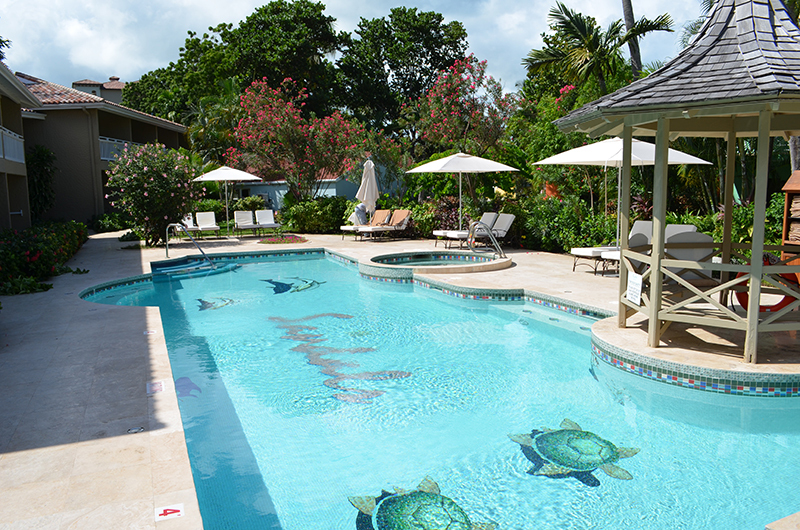 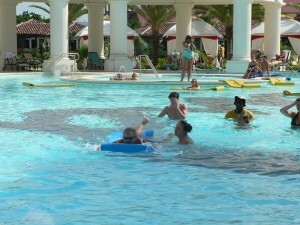 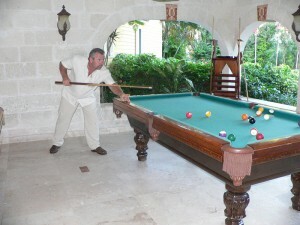 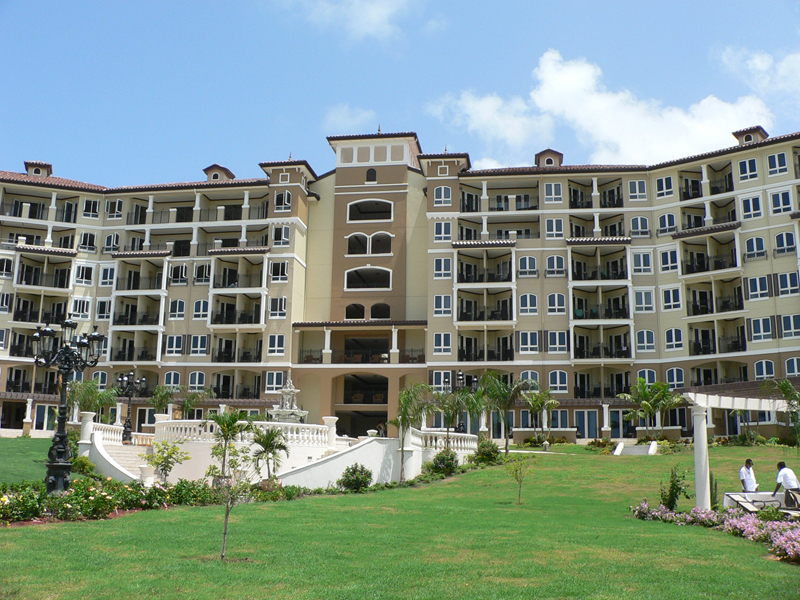 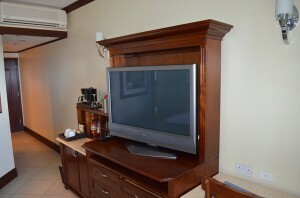 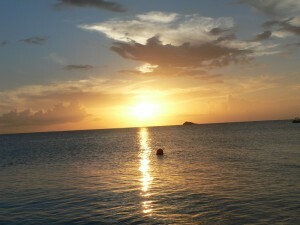 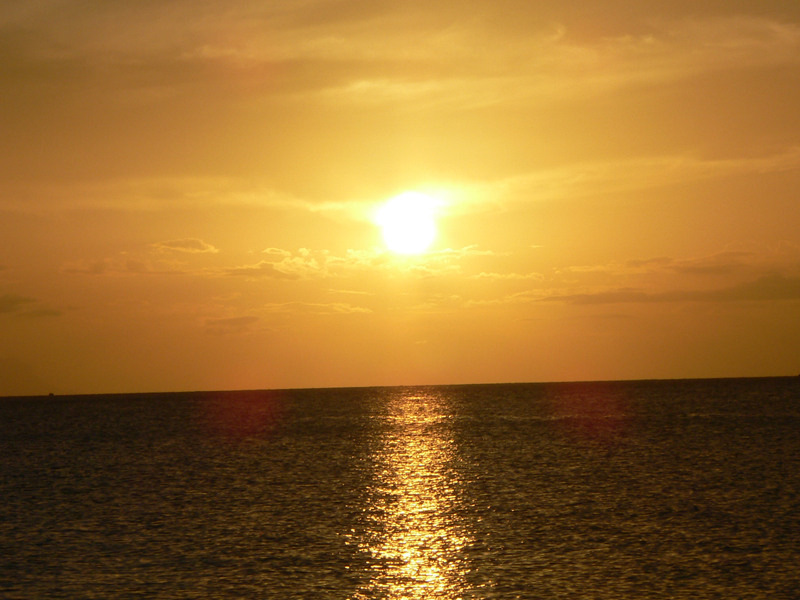 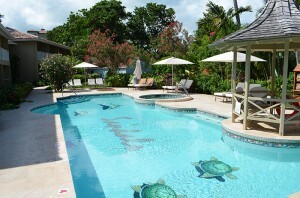 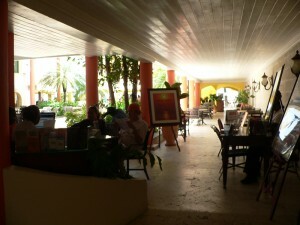 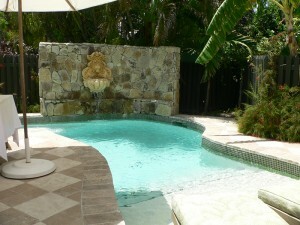 The resort is situated in a pristine stretch of Dickenson Bay with the largest pool in the Eastern Caribbean. 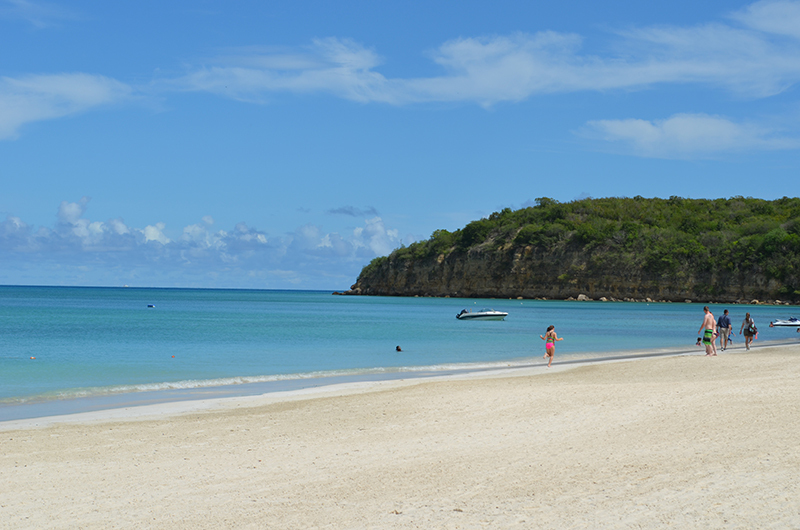 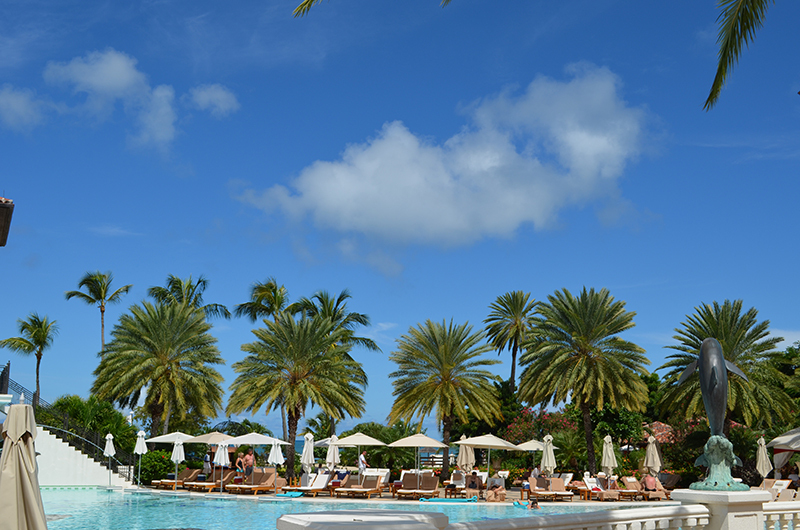 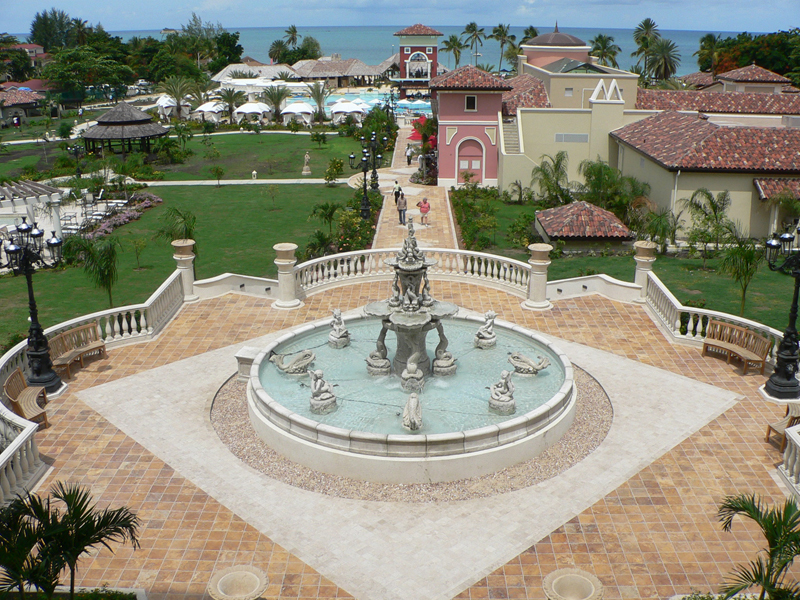 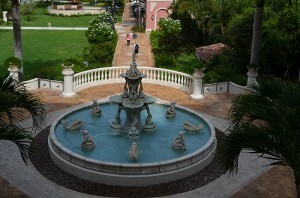 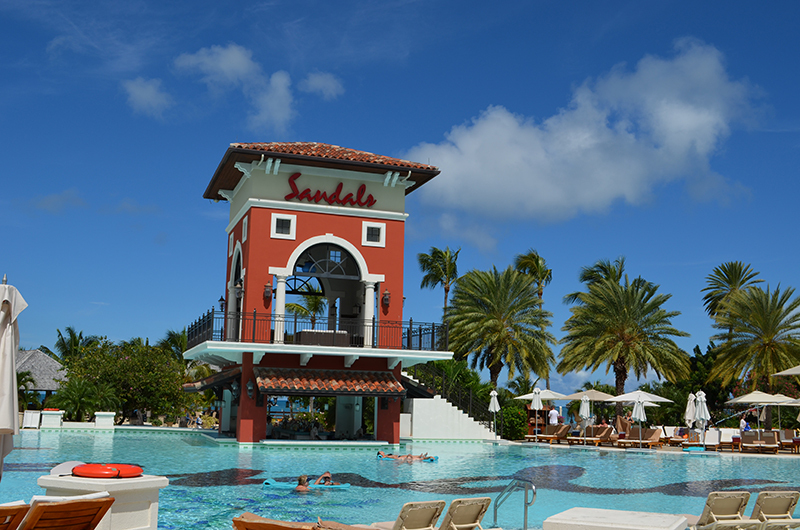 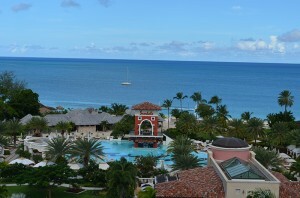 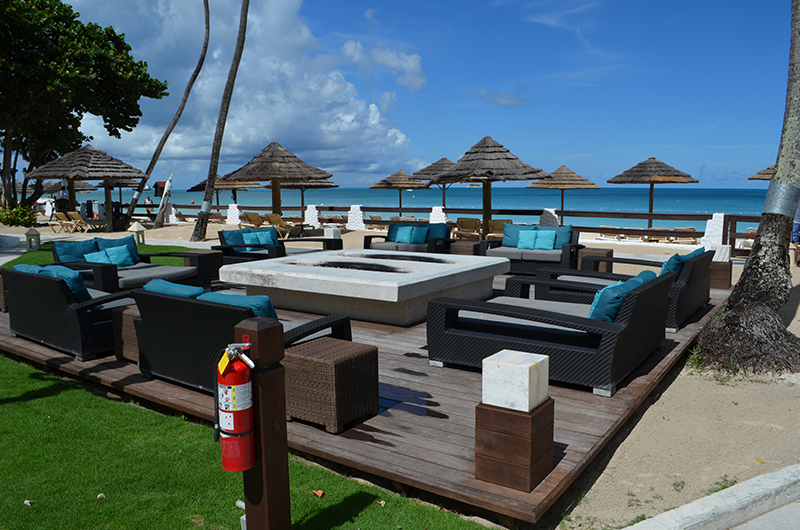 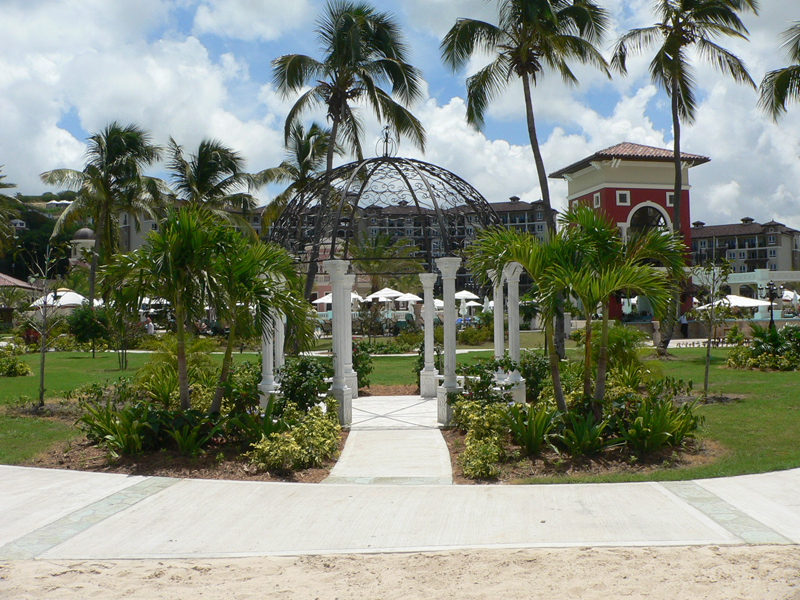 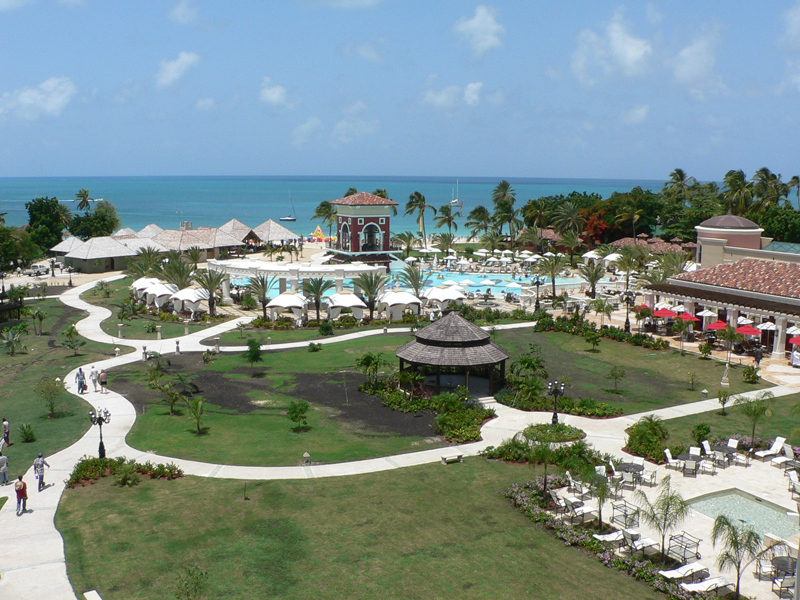 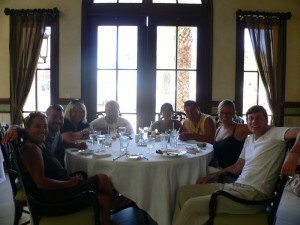 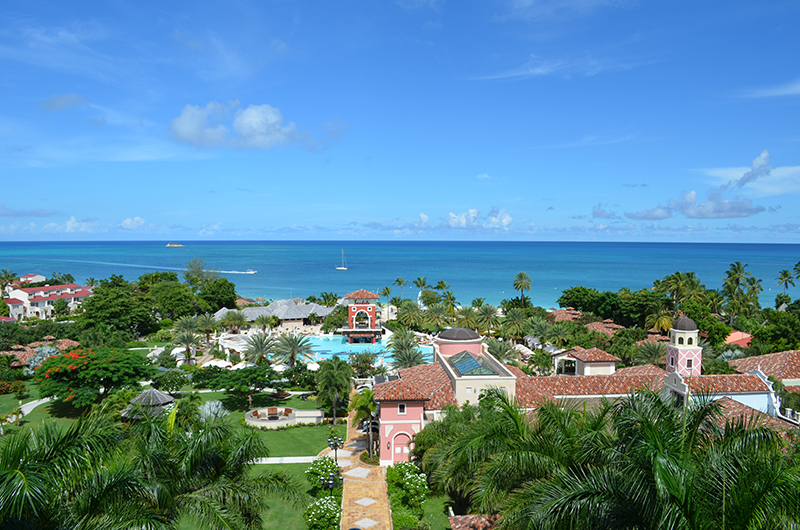 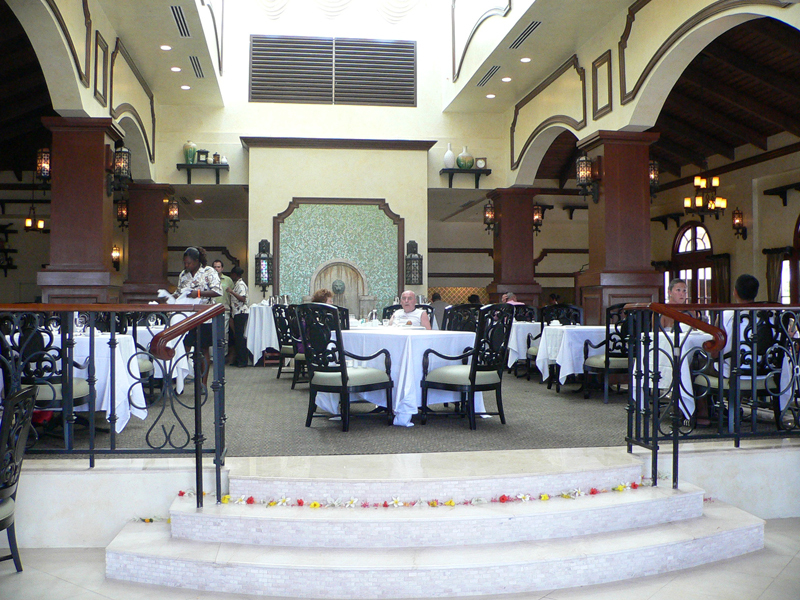 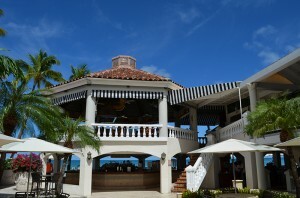 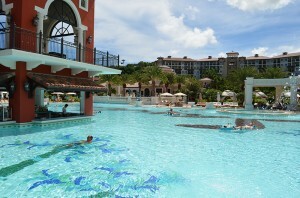 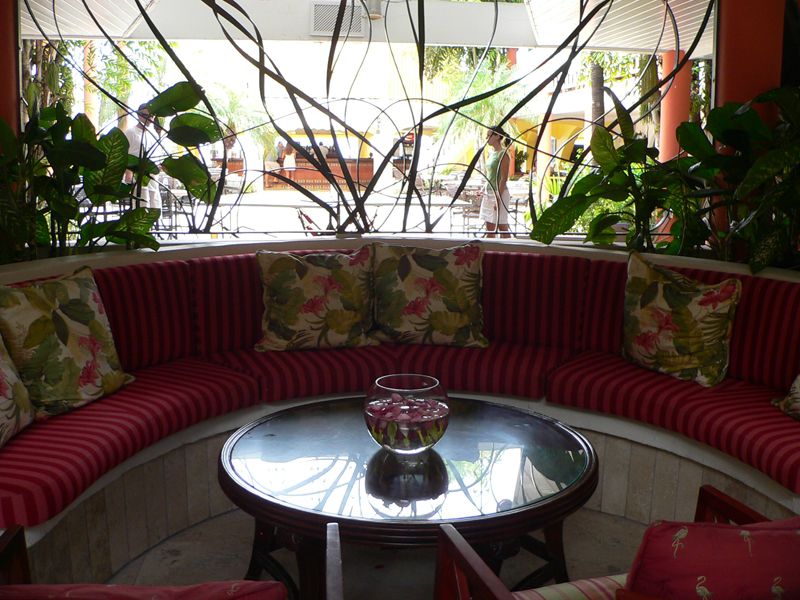 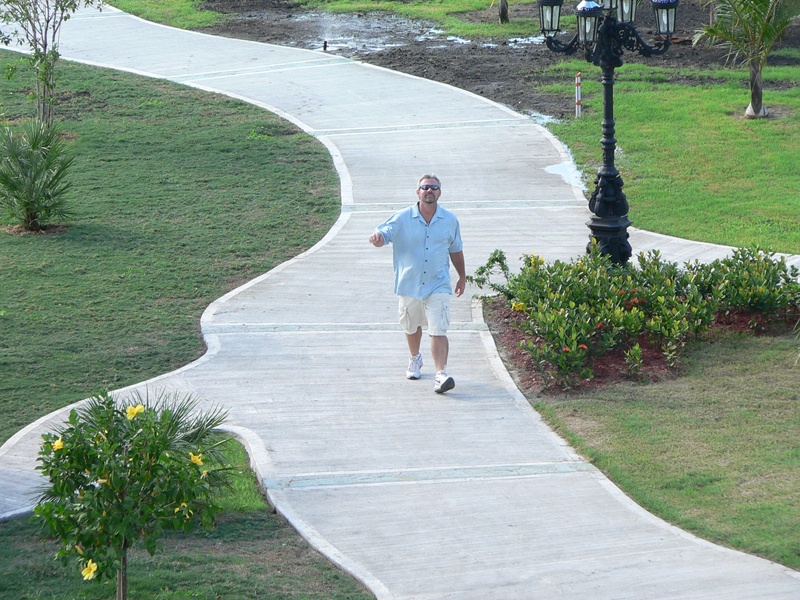 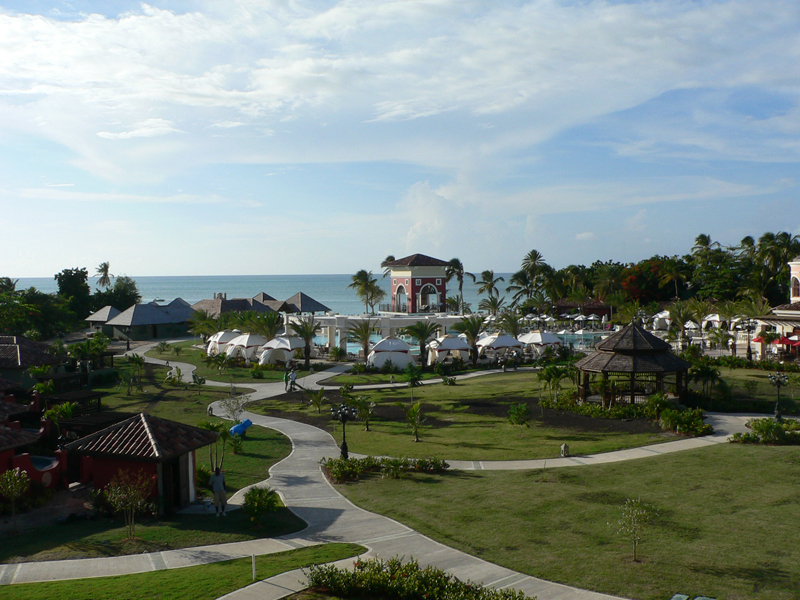 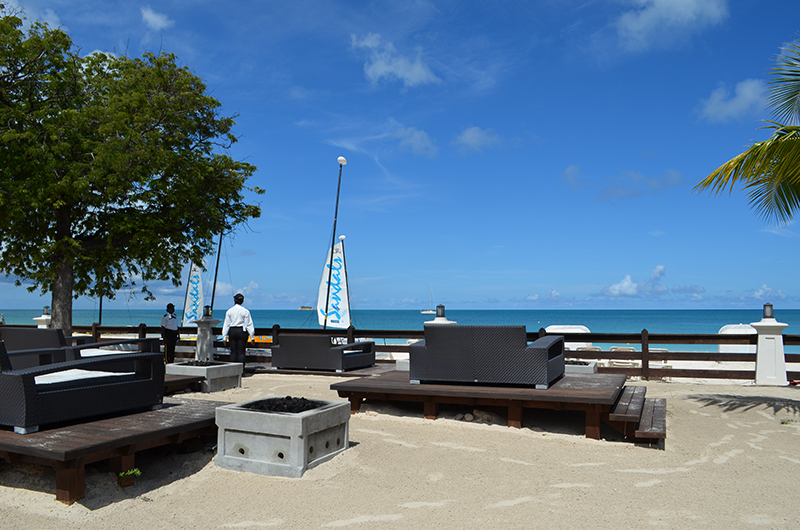 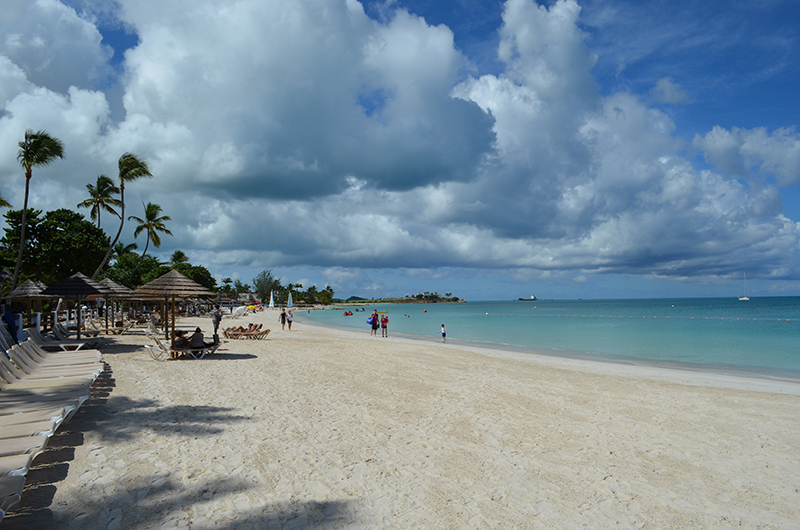 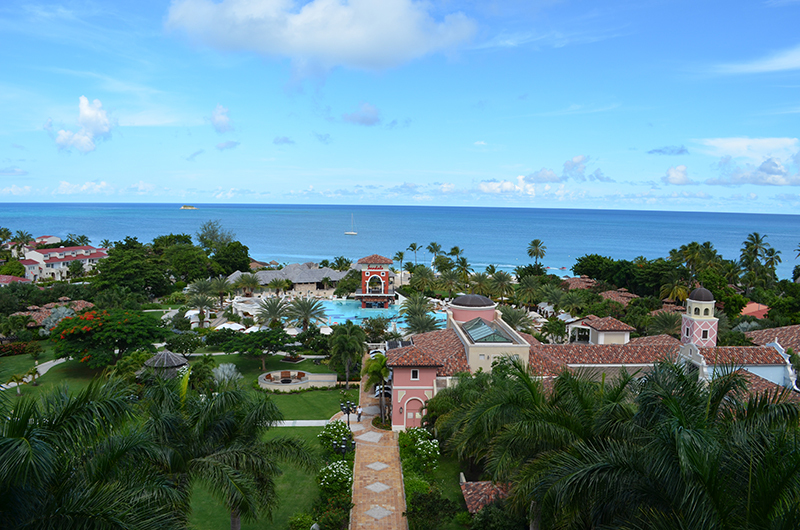 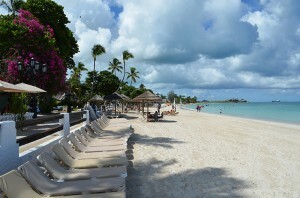 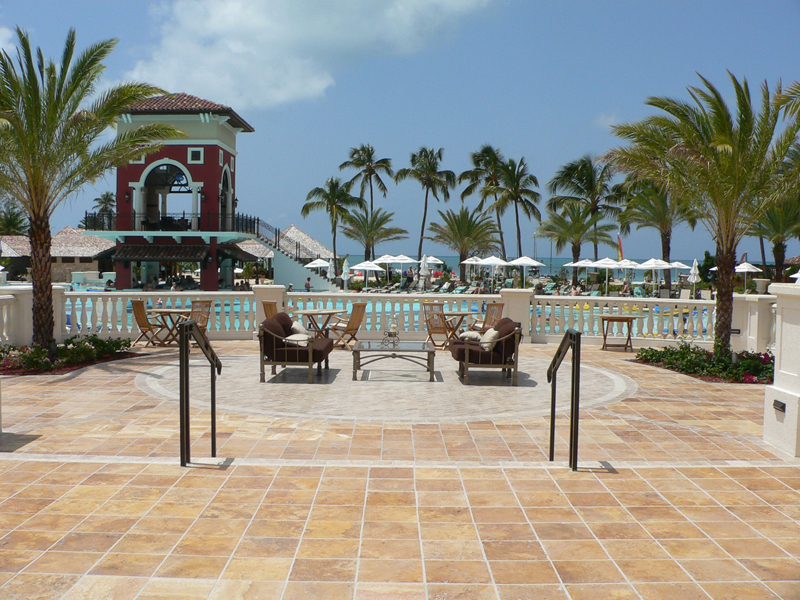 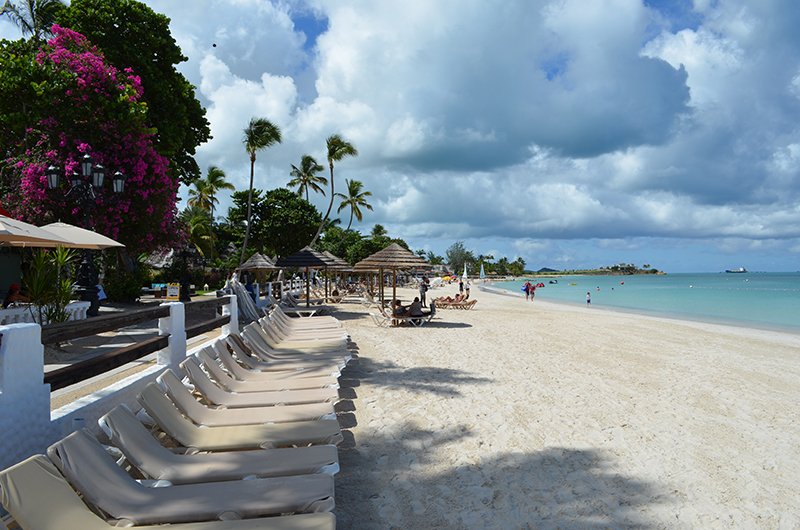 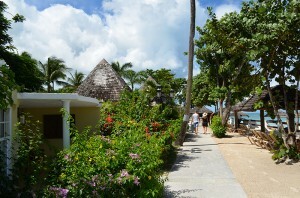 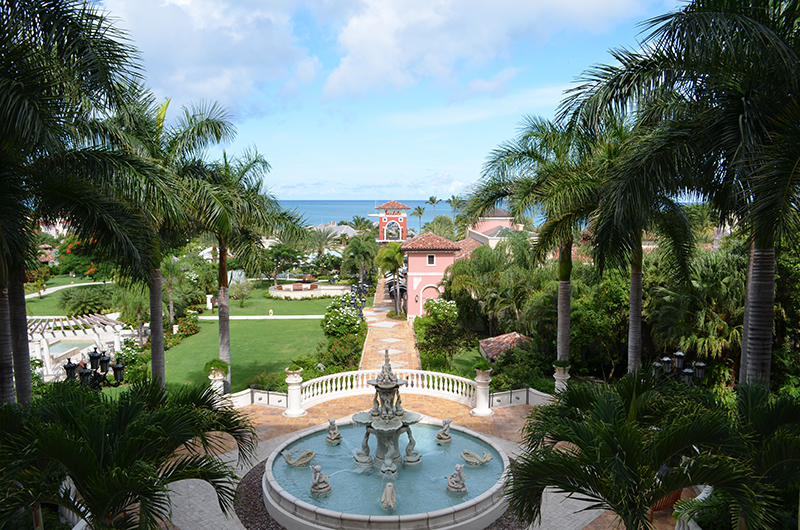 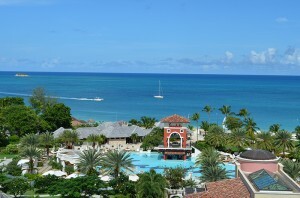 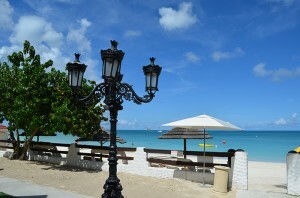 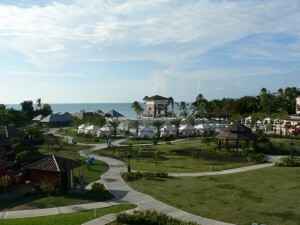 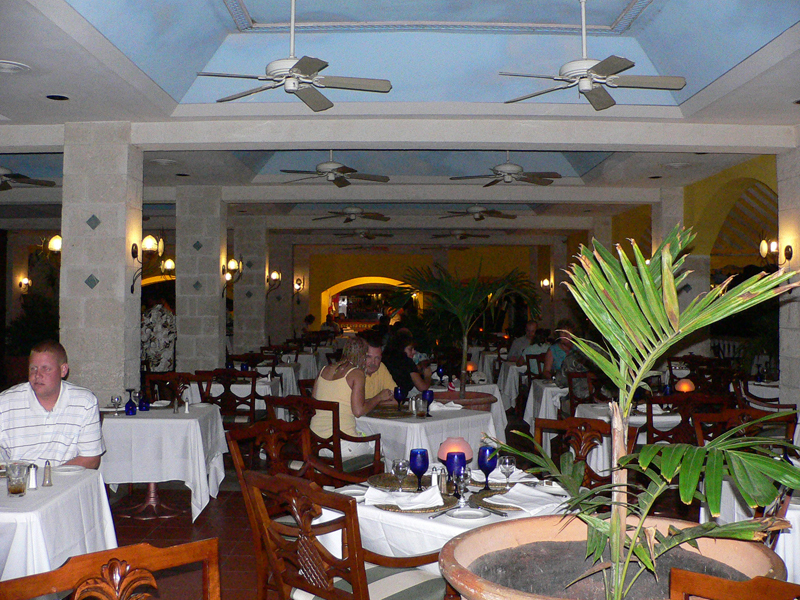 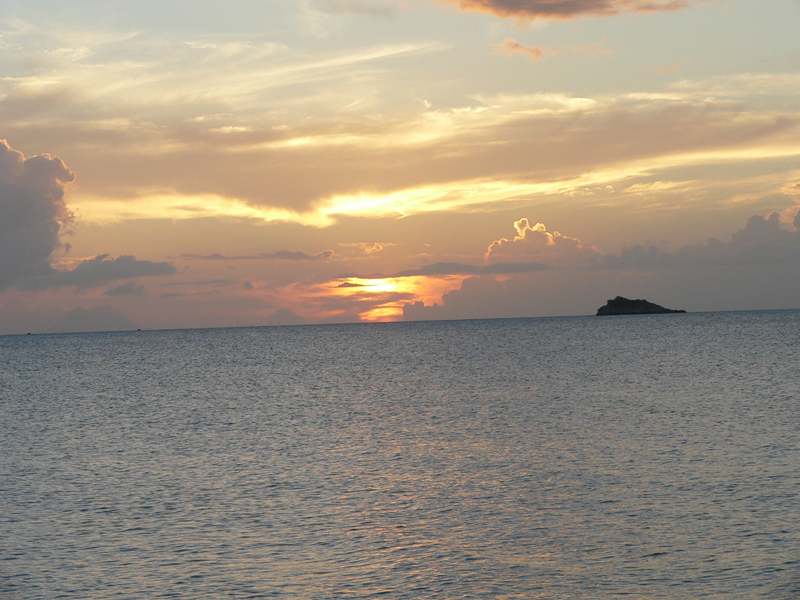 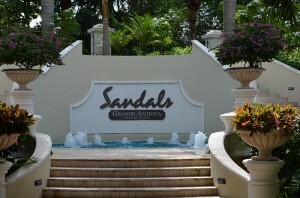 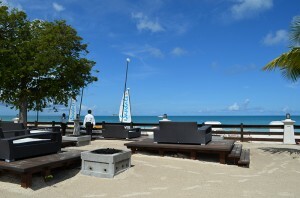 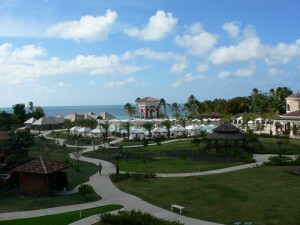 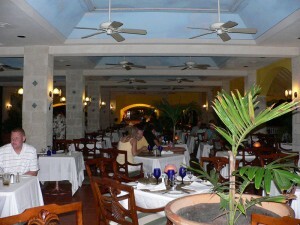 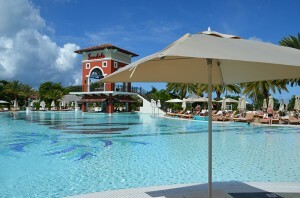 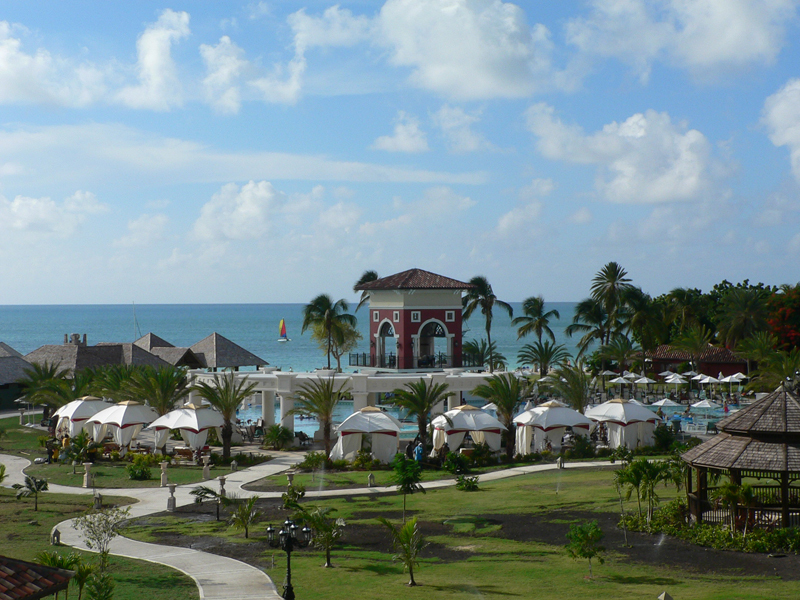 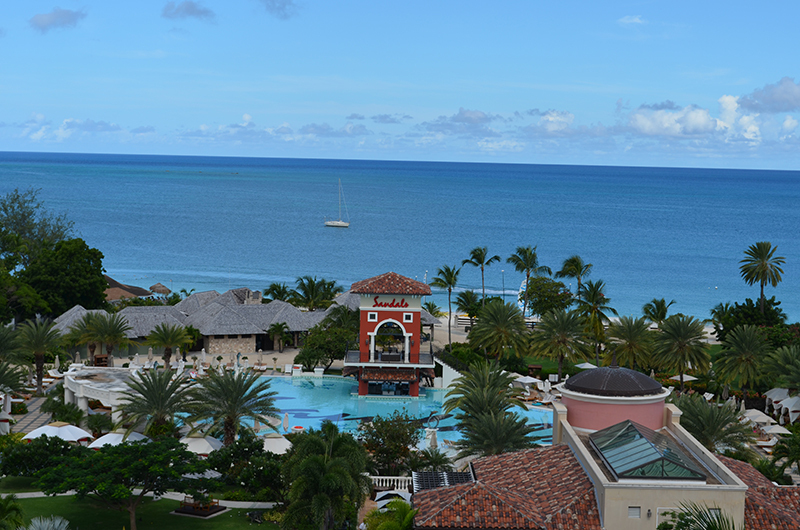 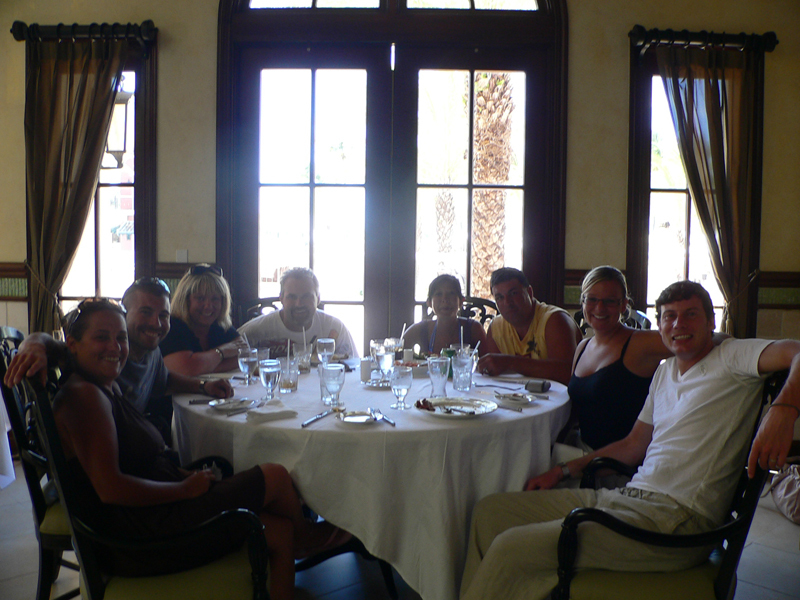 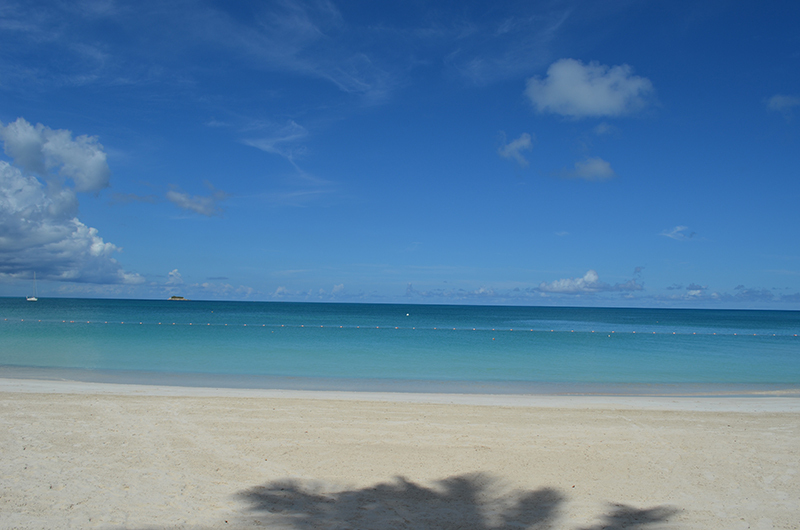 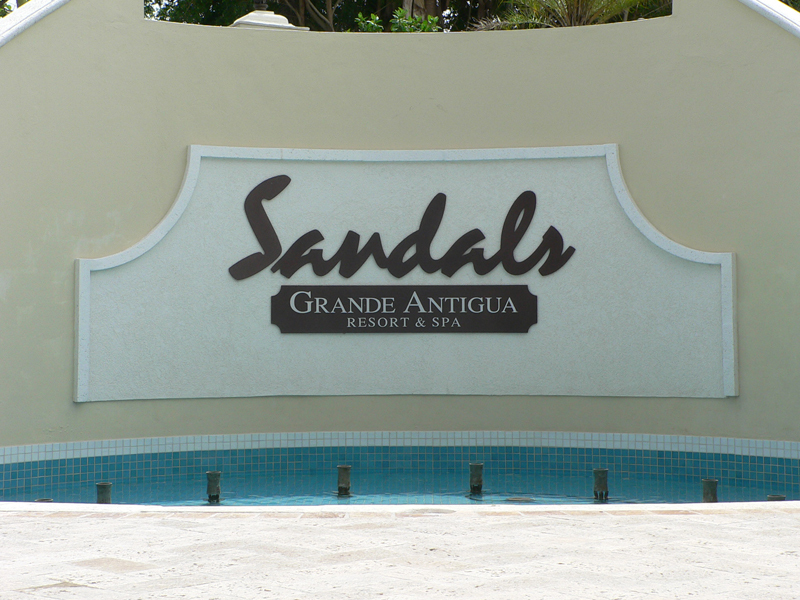 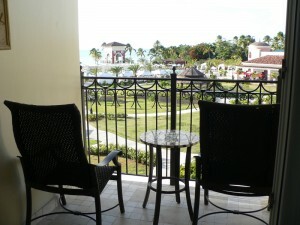 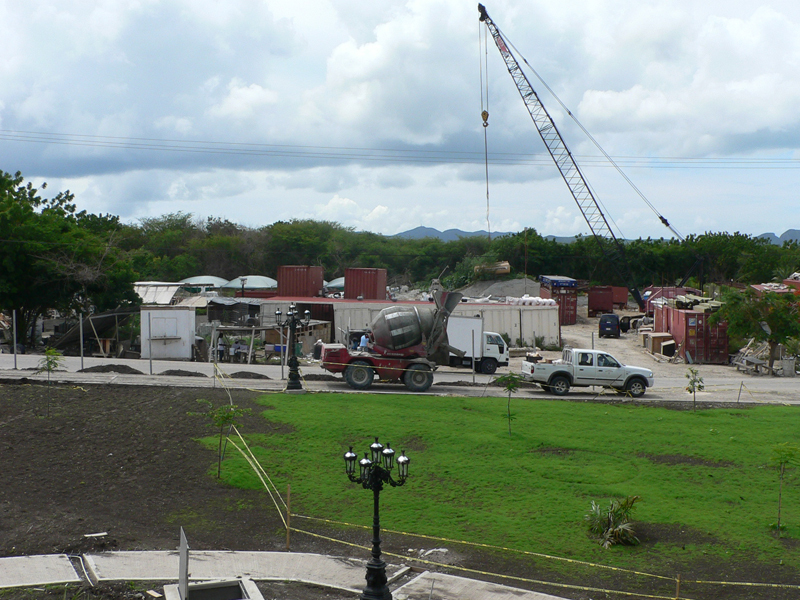 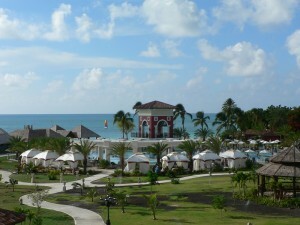 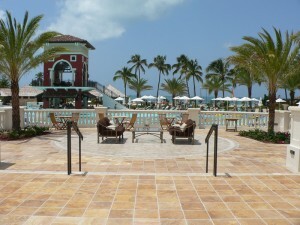 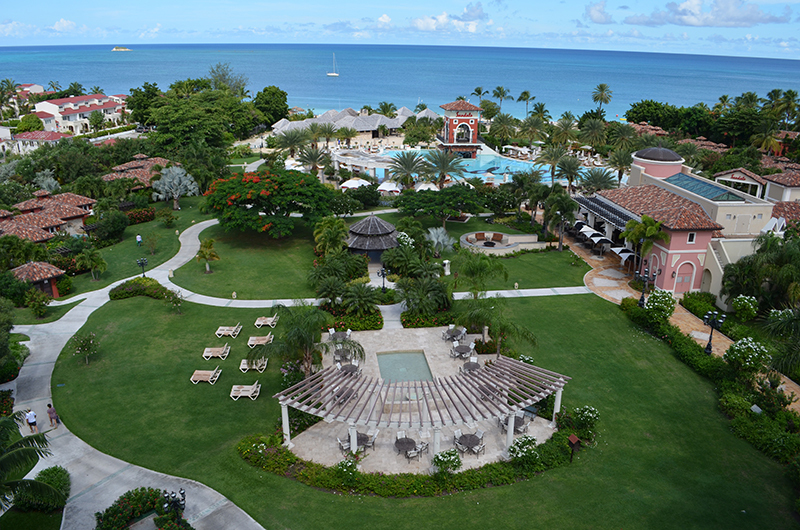 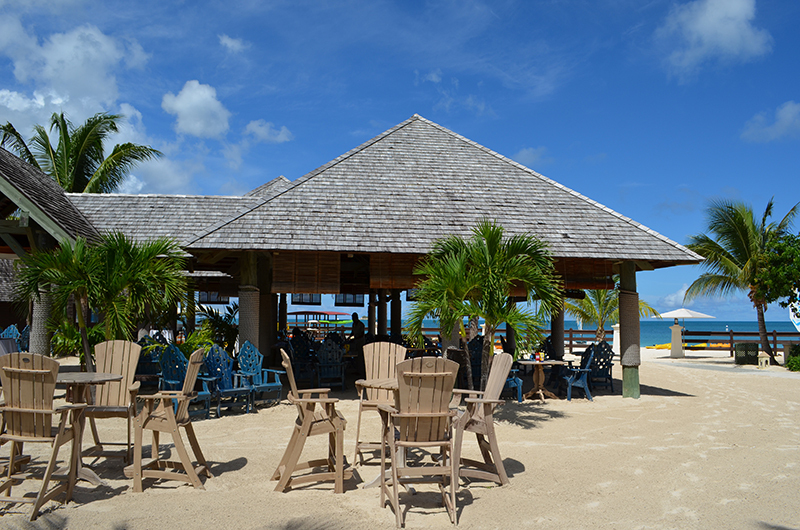 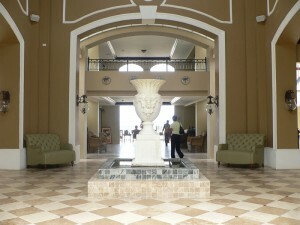 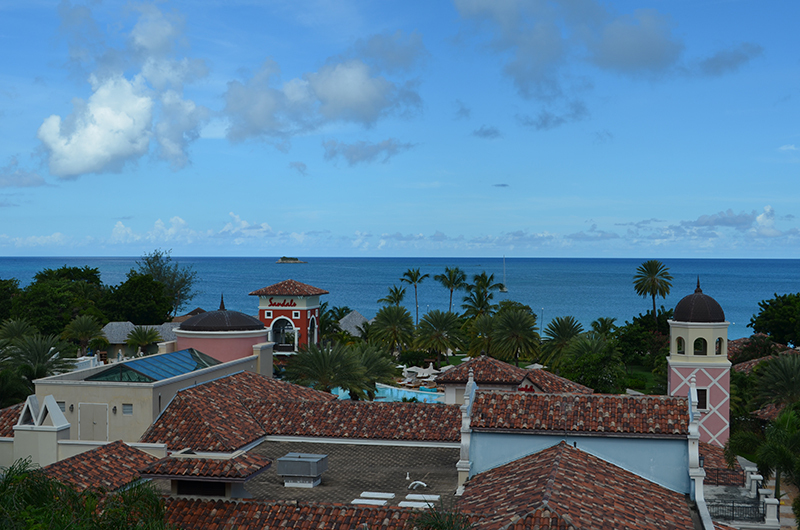 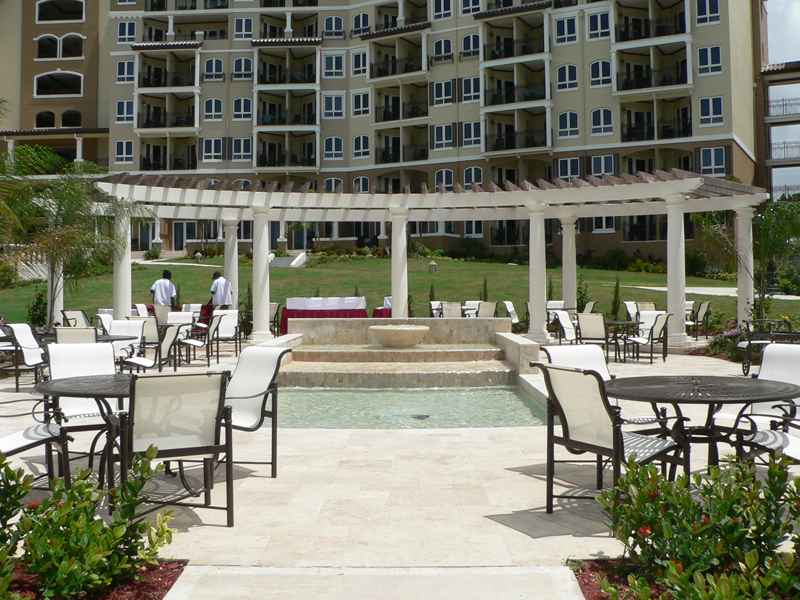 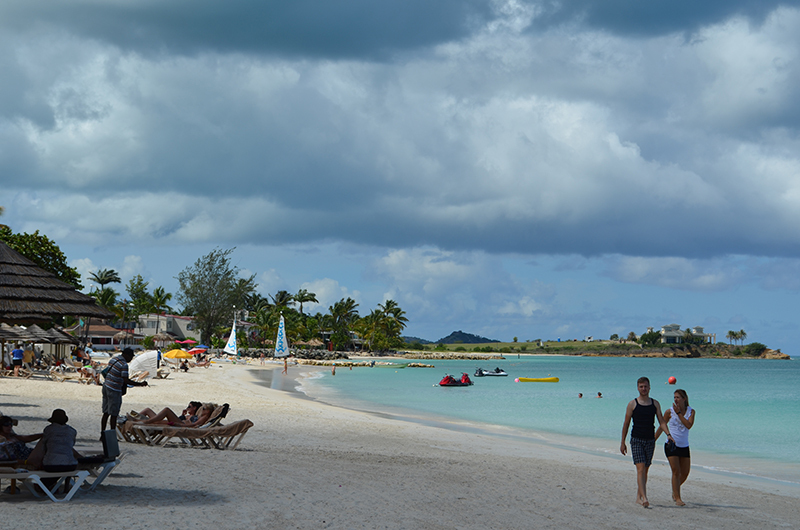 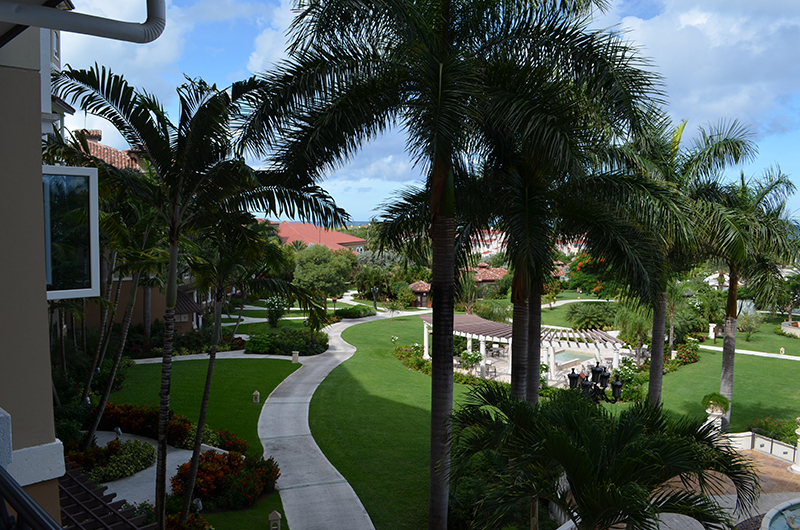 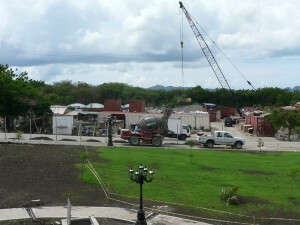 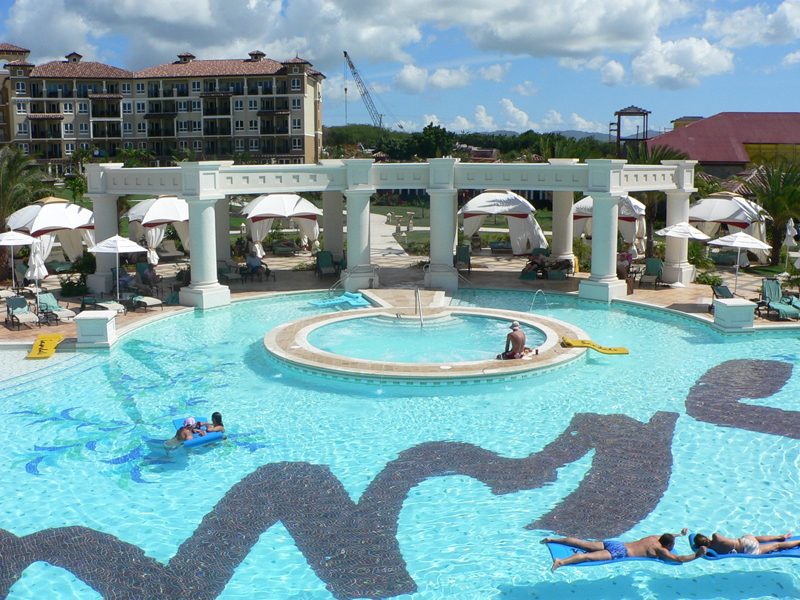 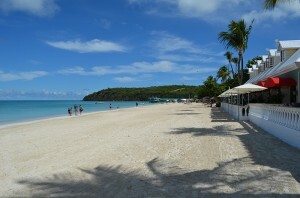 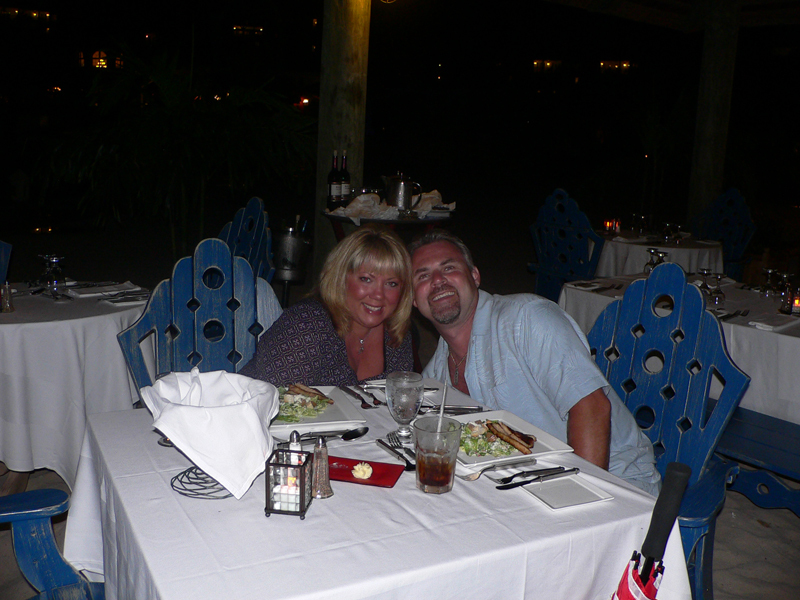 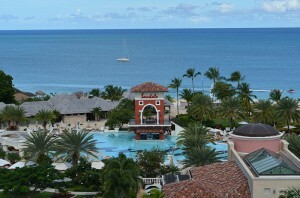 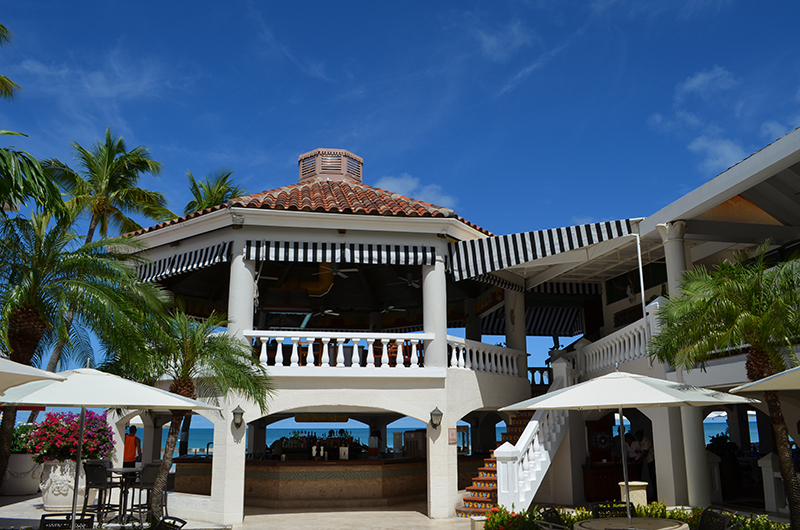 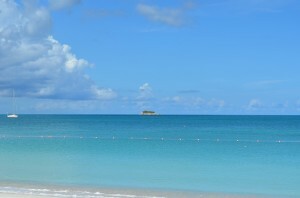 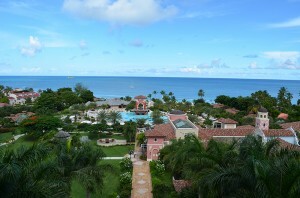 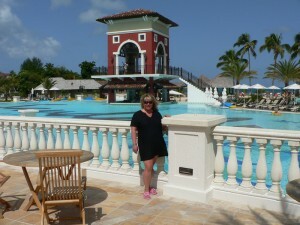 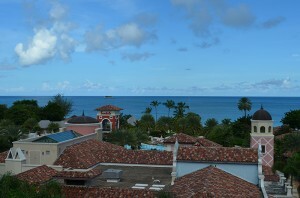 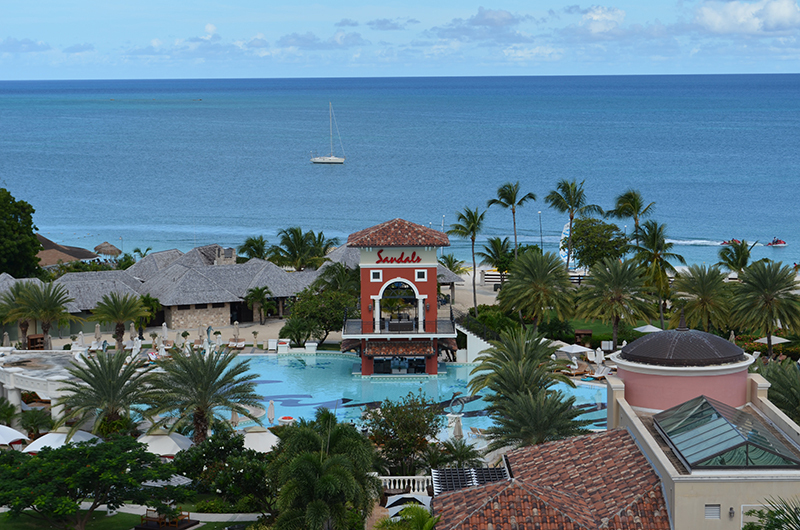 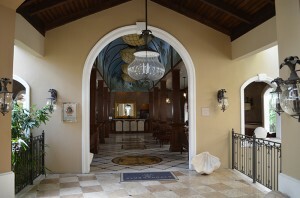 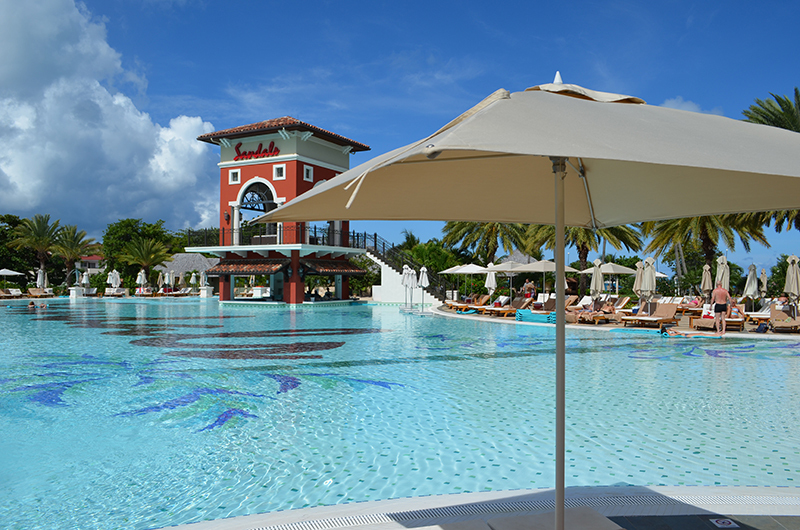 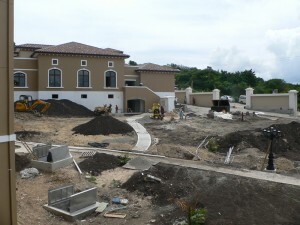 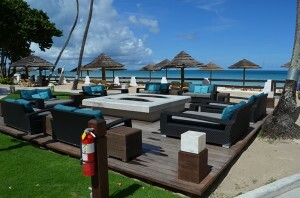 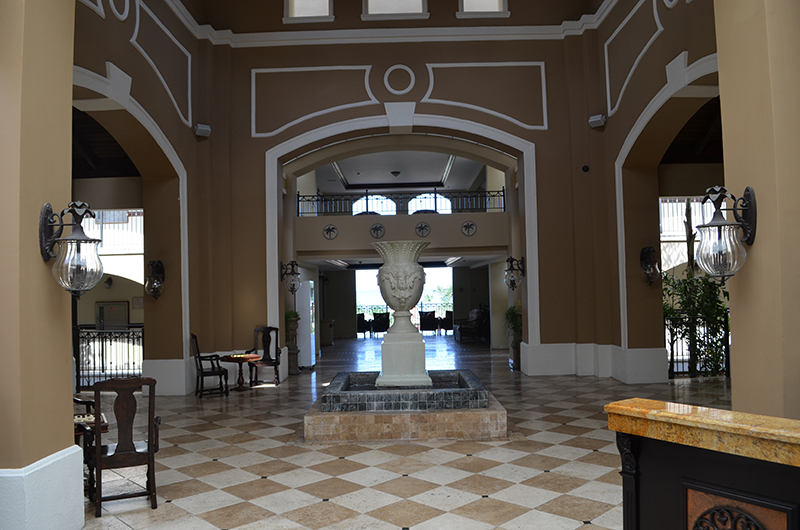 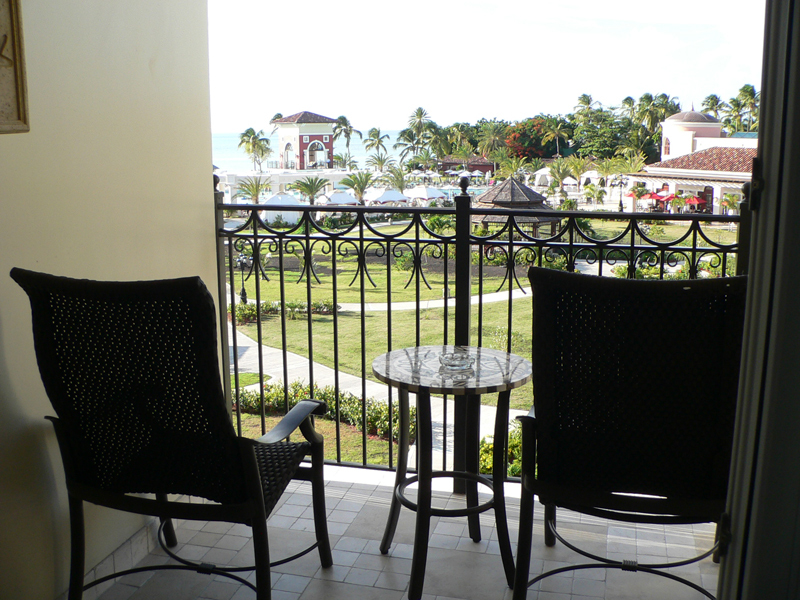 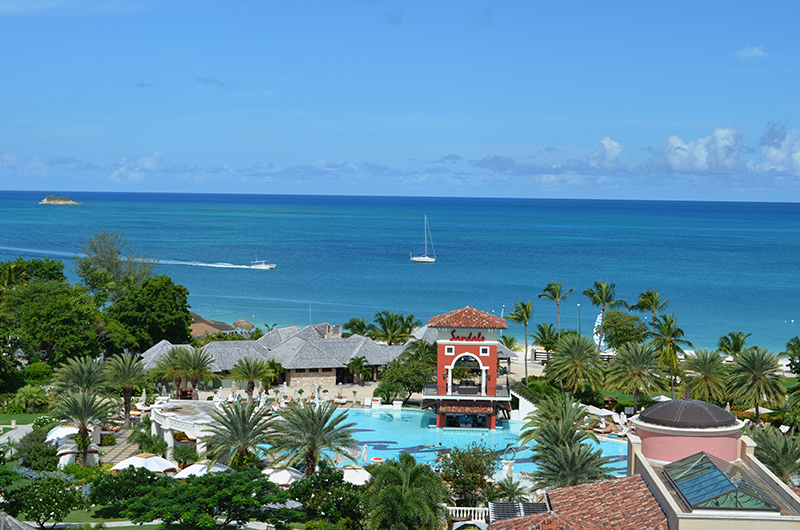 Sandals Grande Antigua boasts 10 restaurants and only 373 rooms. 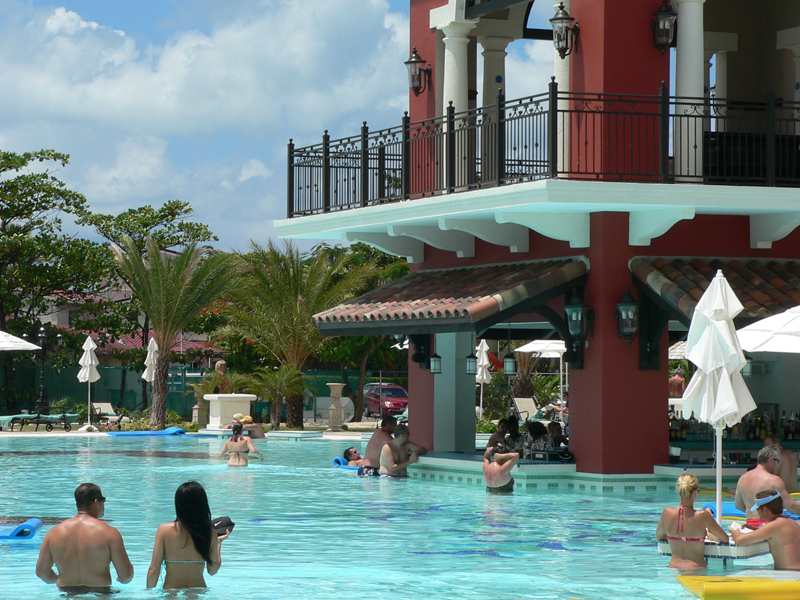 The resort is located 10 minutes from the airport, 5 minutes from downtown shopping, and walking distance to a local casino. 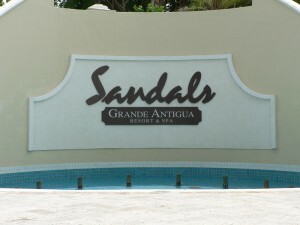 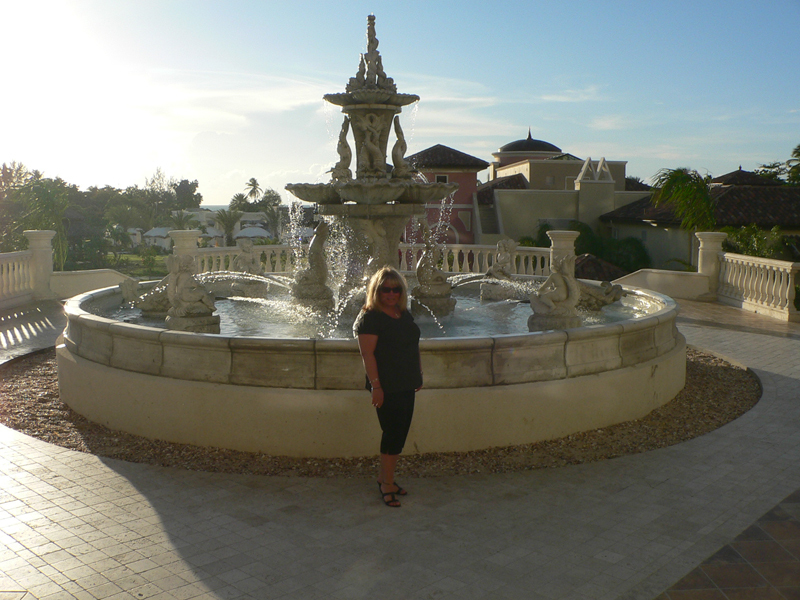 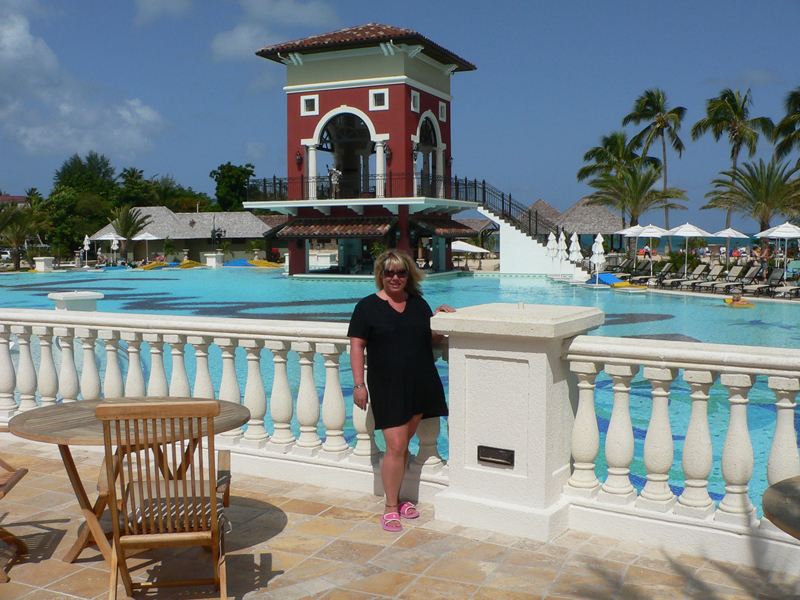 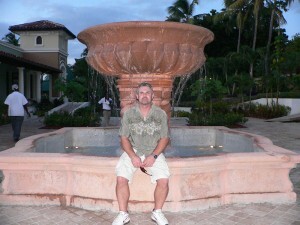 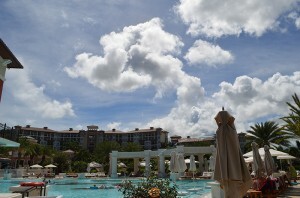 Sandals Grande Antigua is one of my favorite resorts. 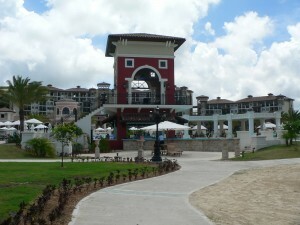 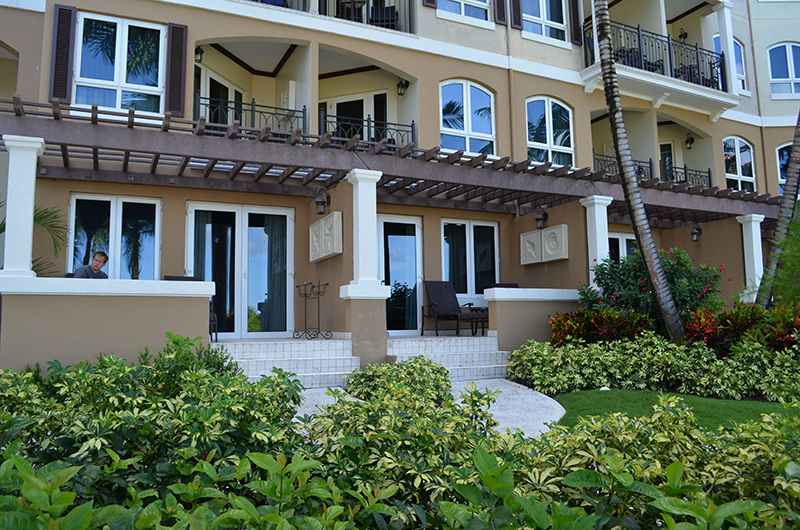 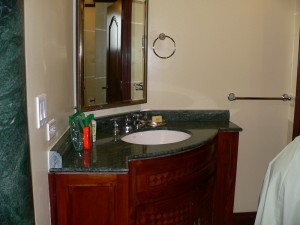 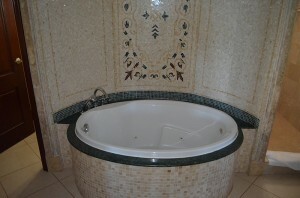 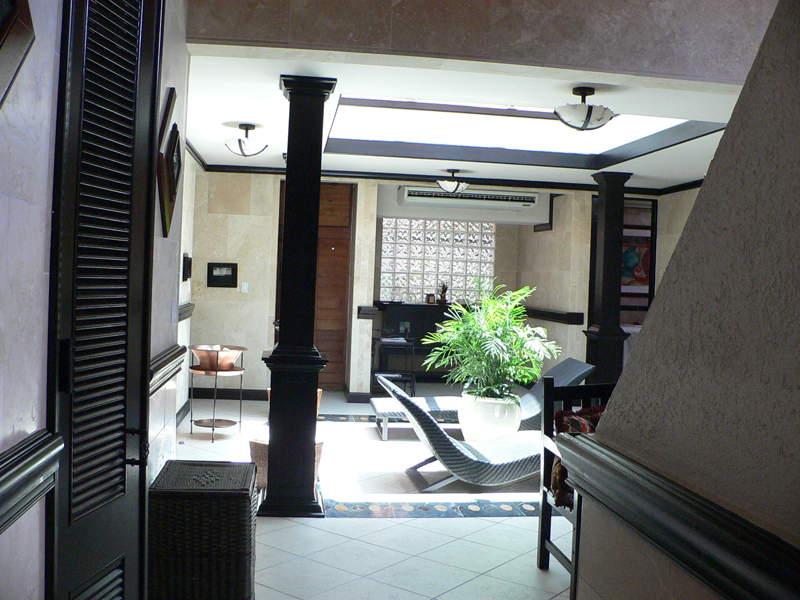 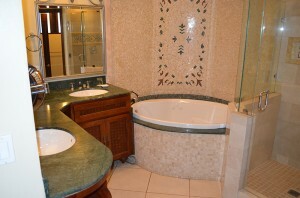 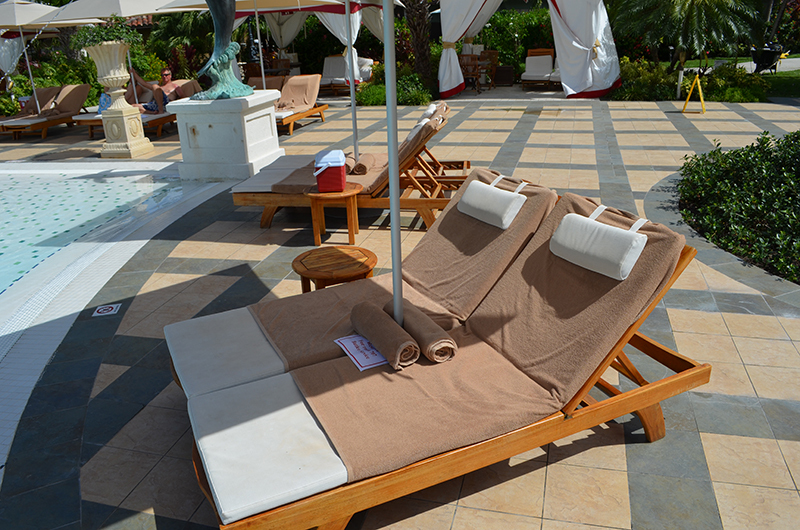 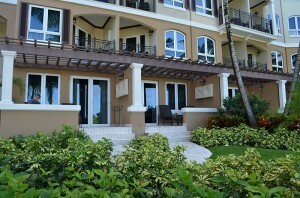 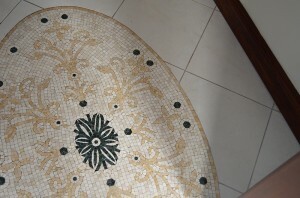 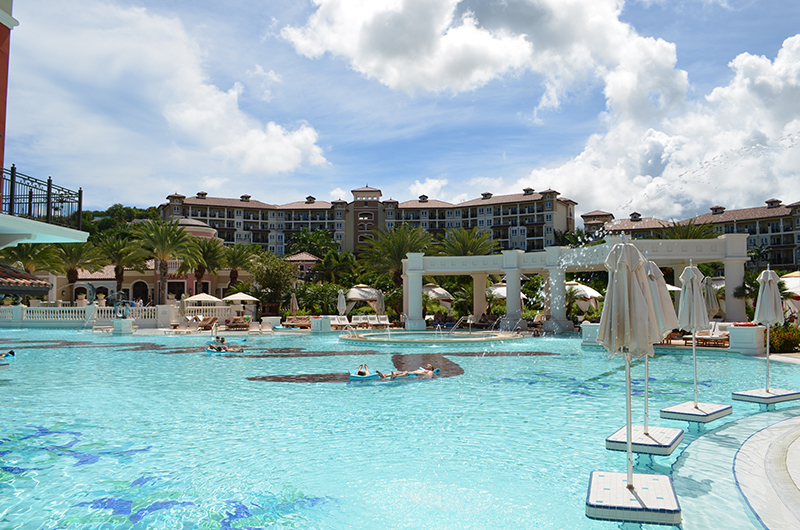 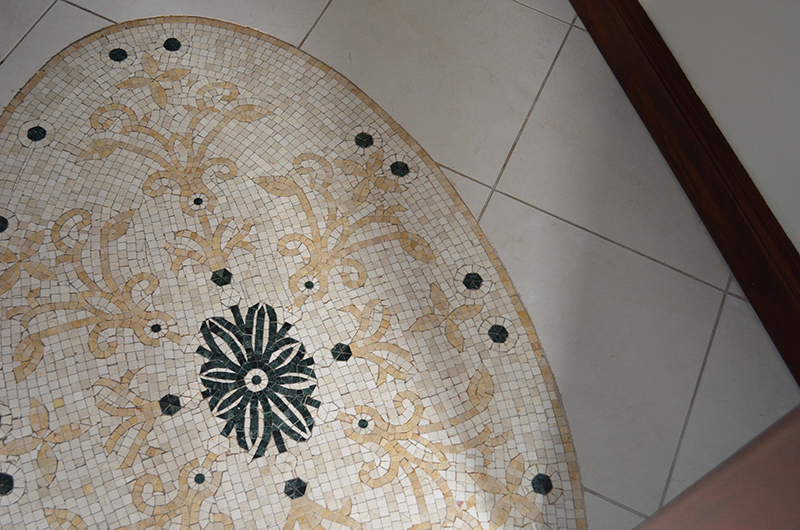 It has an amazing beach, huge pool, and great rooms (in the Mediterranean Village). 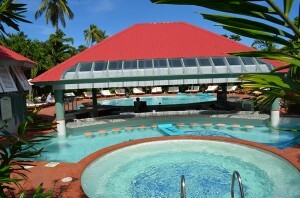 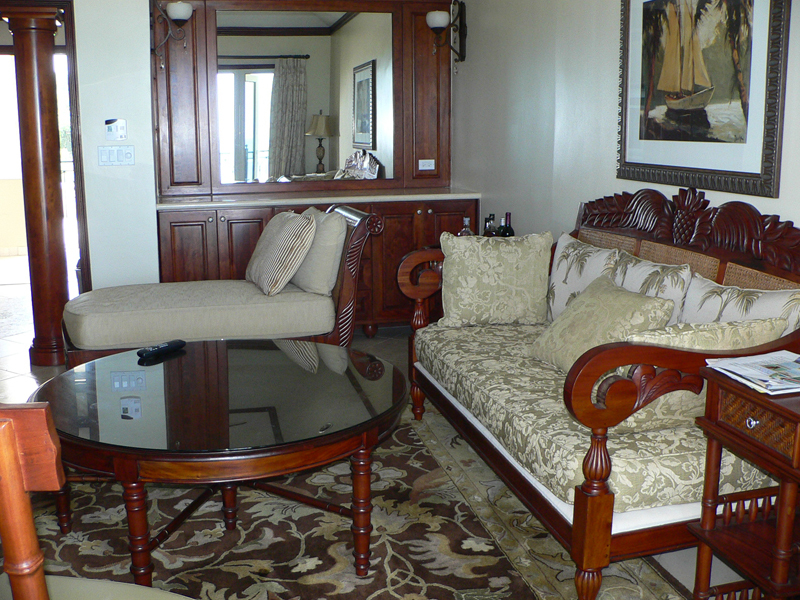 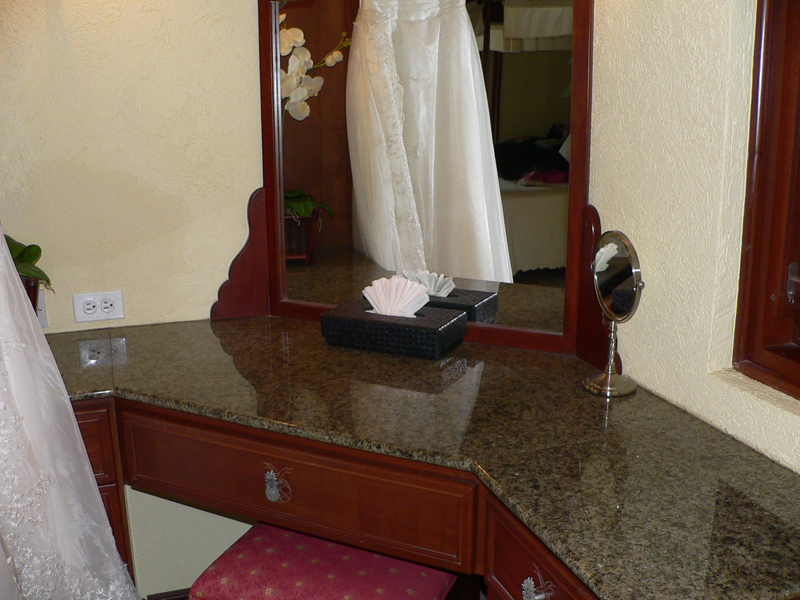 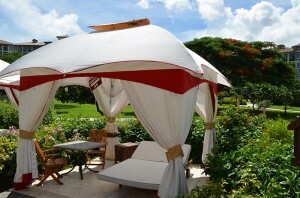 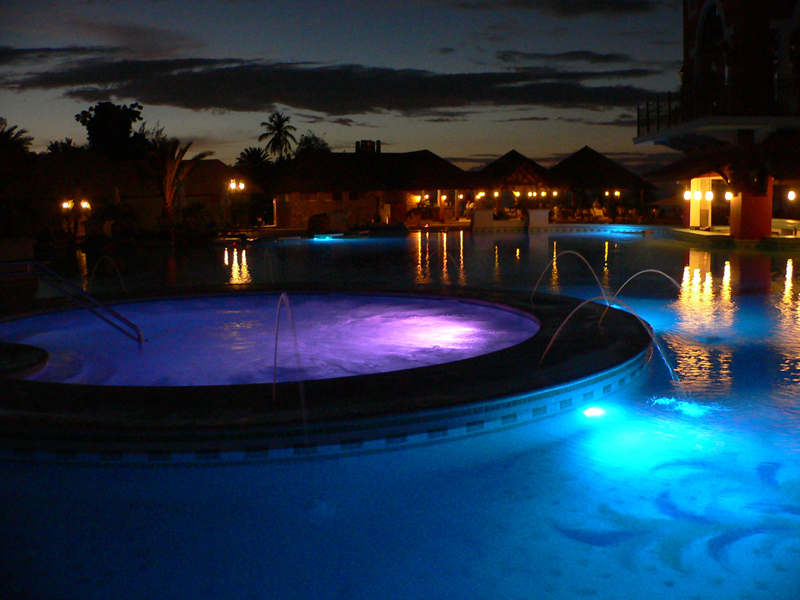 This is a perfect resort for honeymooners or romance seekers looking for an exotic locale with luxury amenities.